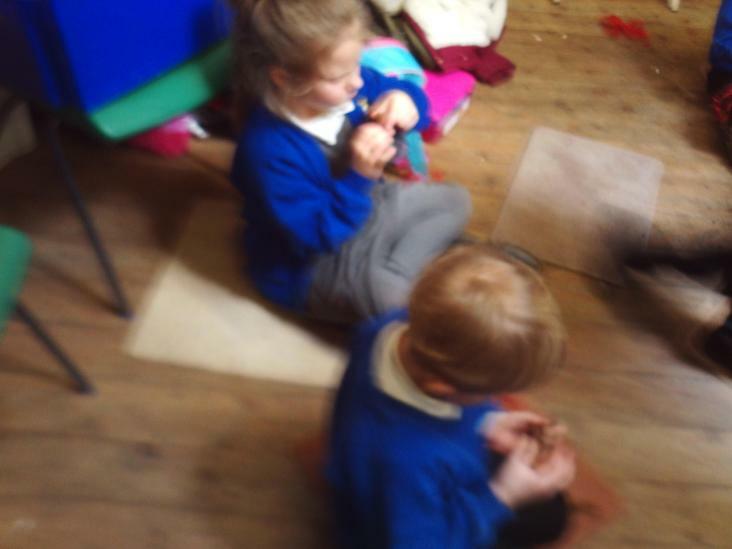 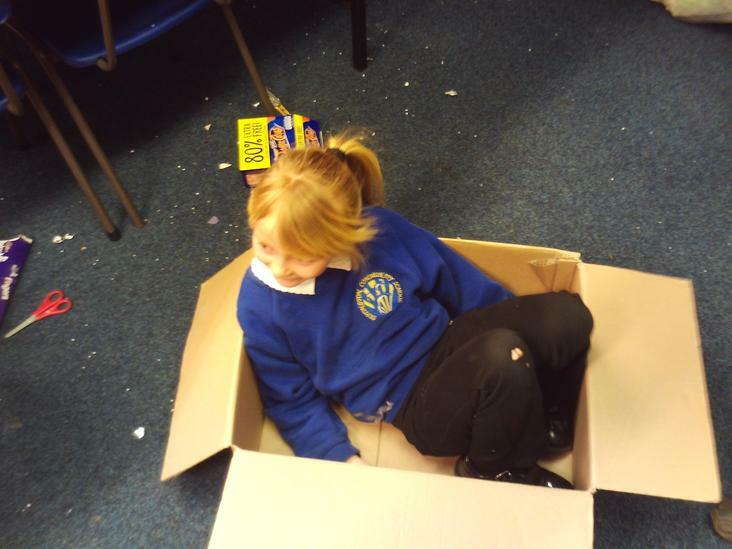 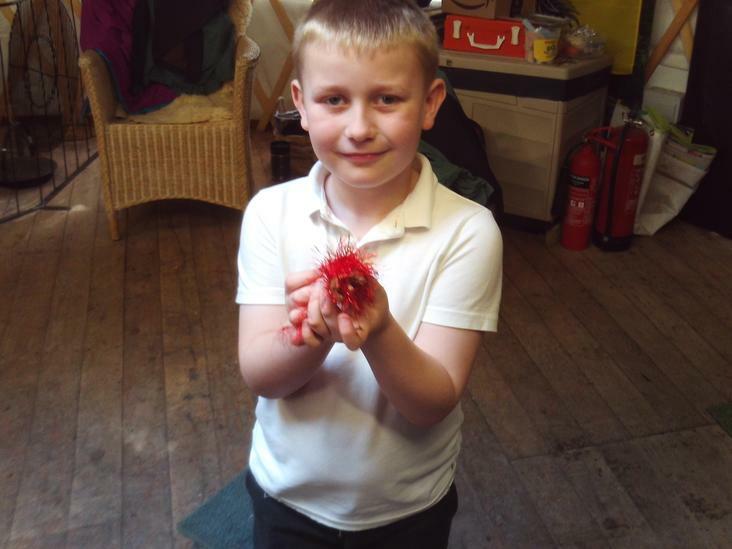 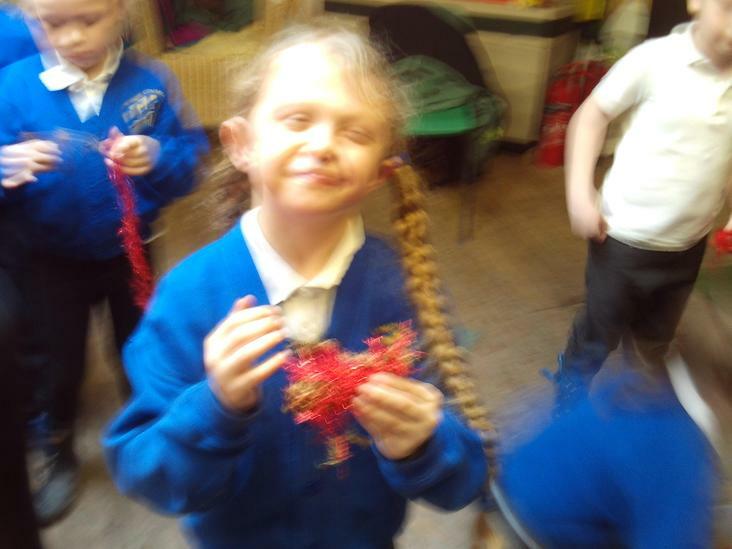 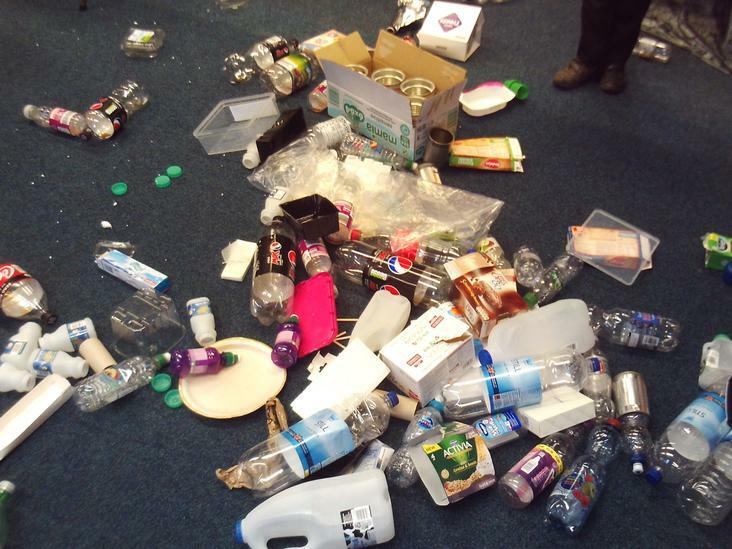 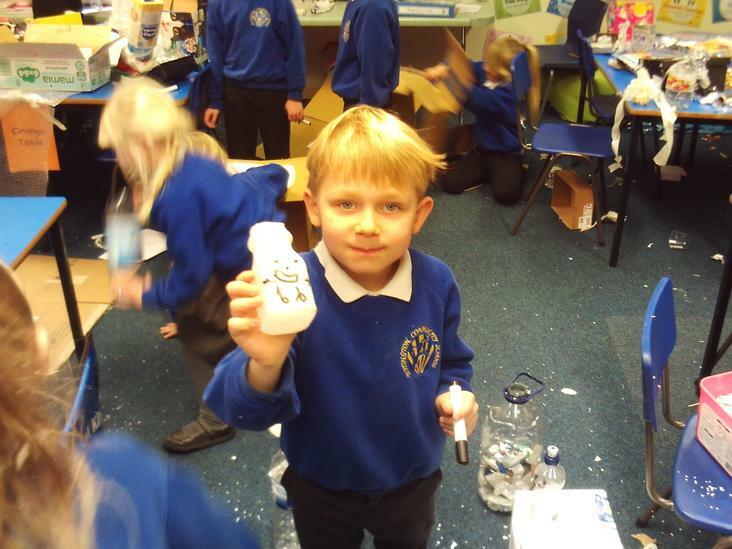 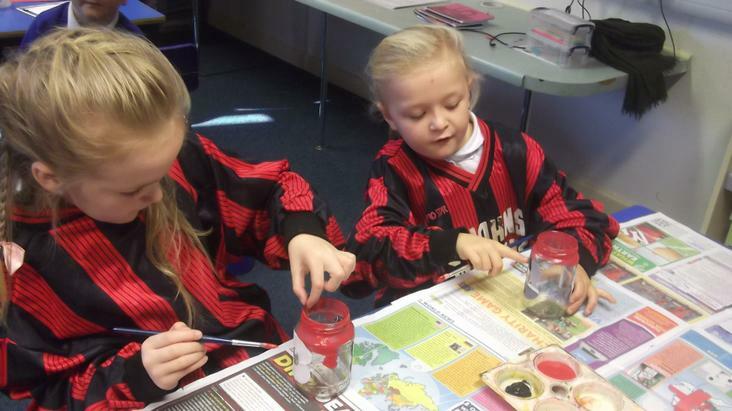 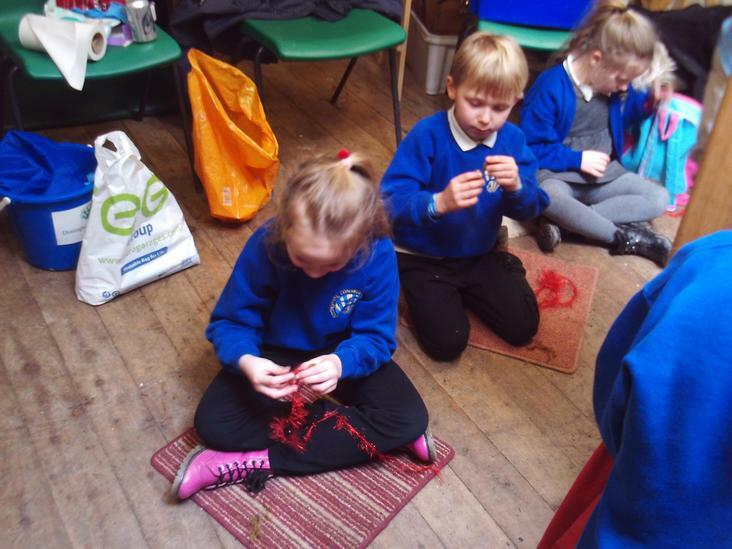 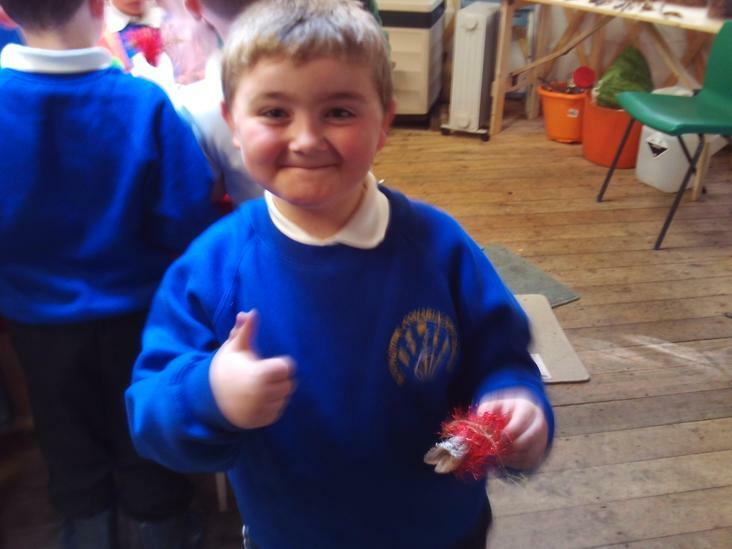 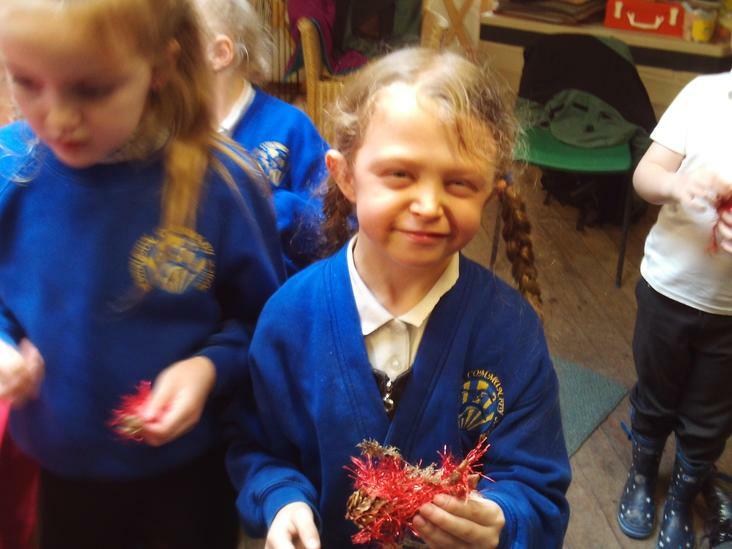 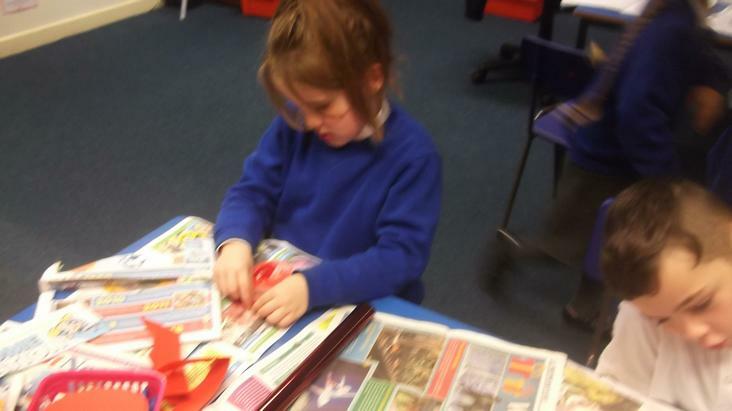 You will find lots of important information about our class on this page. 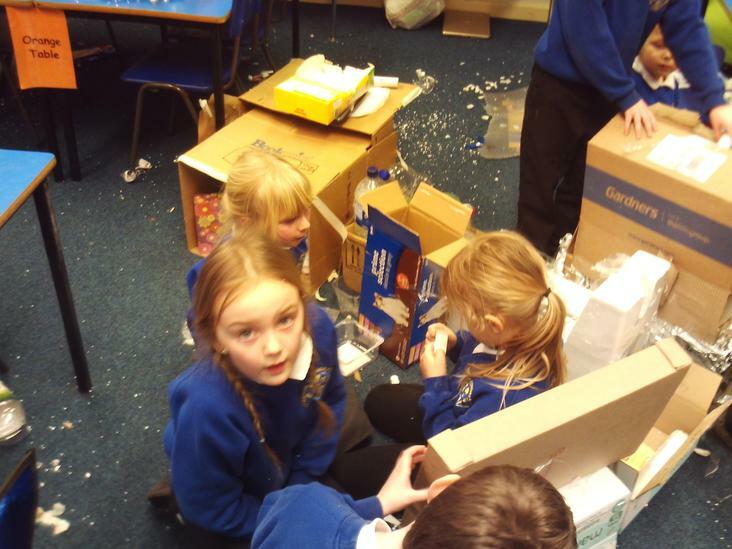 Below is a snap-shot of what we have been getting up to! 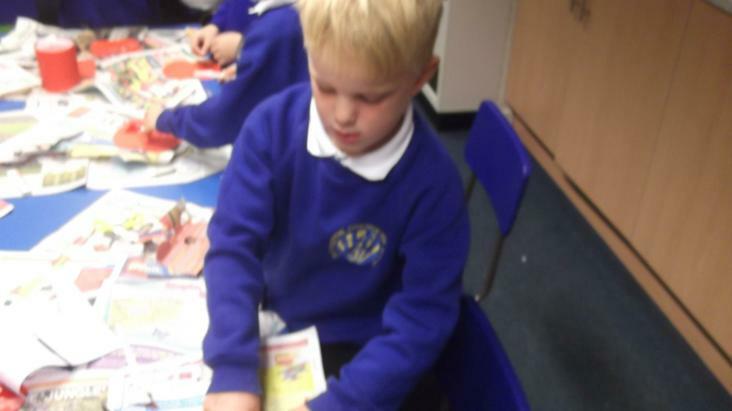 We are a class of 18 children, our teacher is Mr Barnes and our teaching assistant is Miss Quarry. 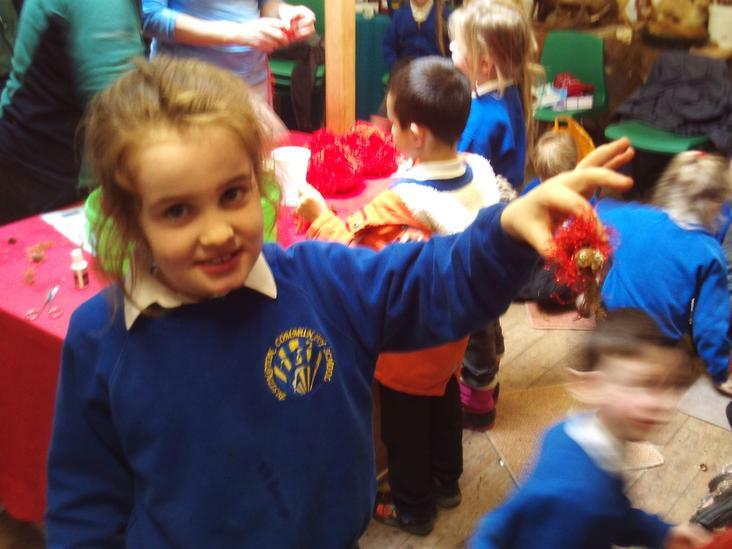 A reminder that parents can also keep up to date with their child's academic achievements via Earwig (https://earwig.uk.com/). 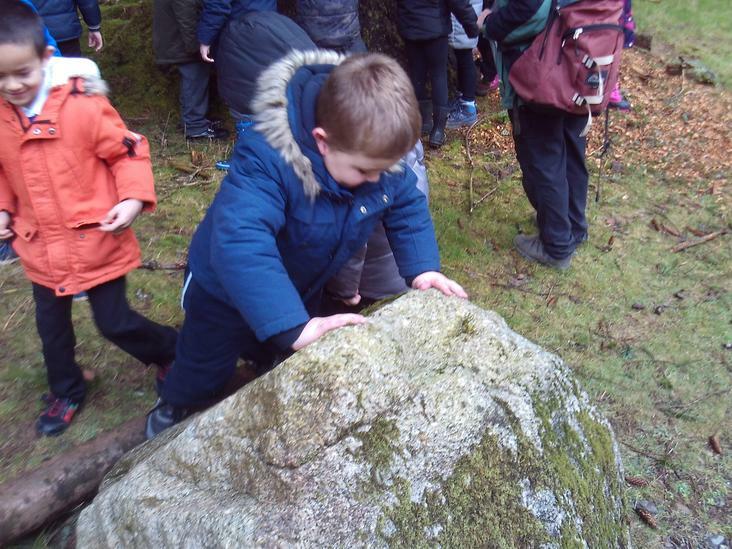 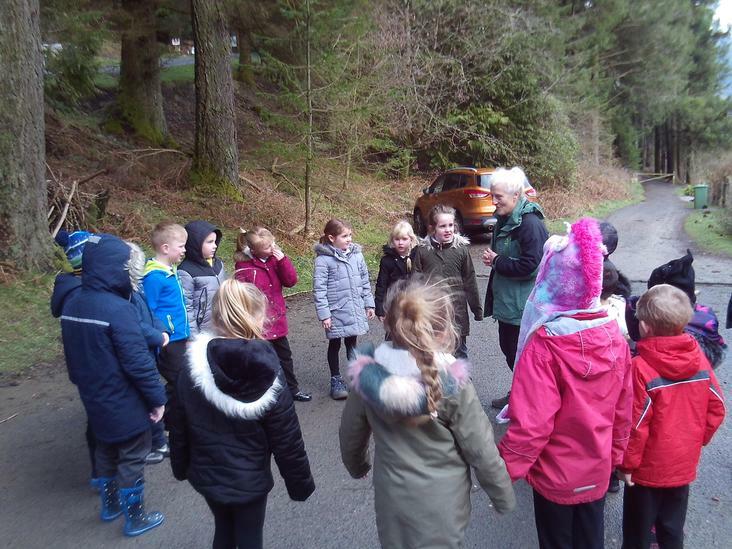 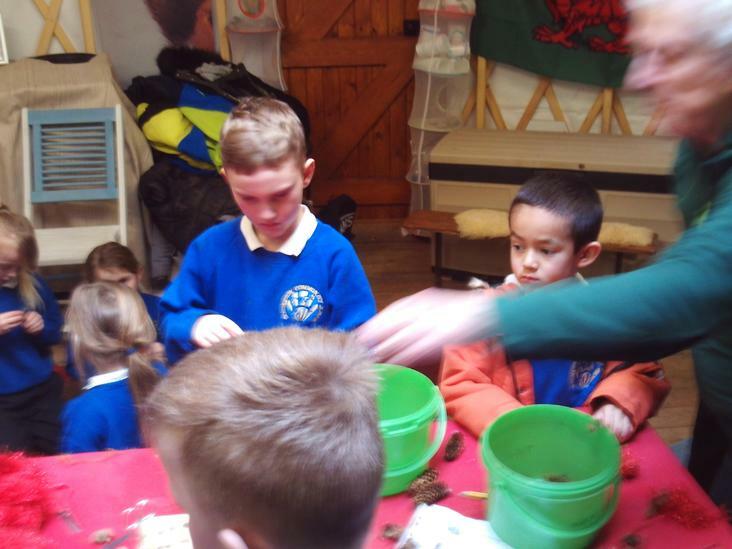 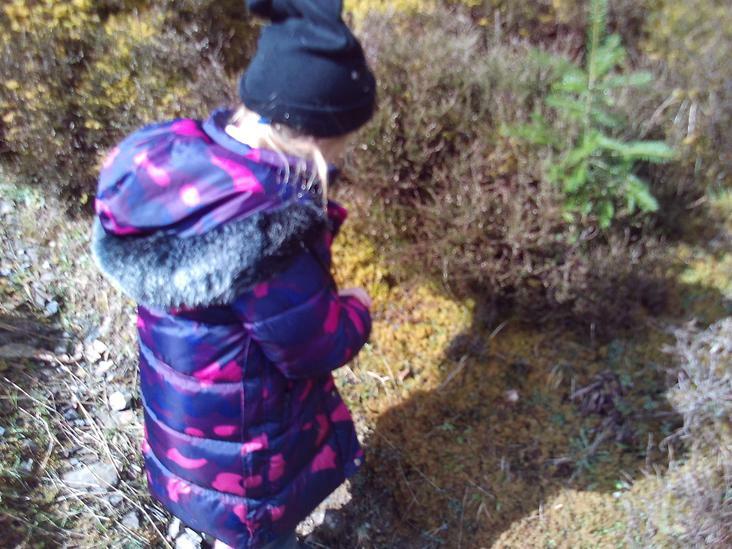 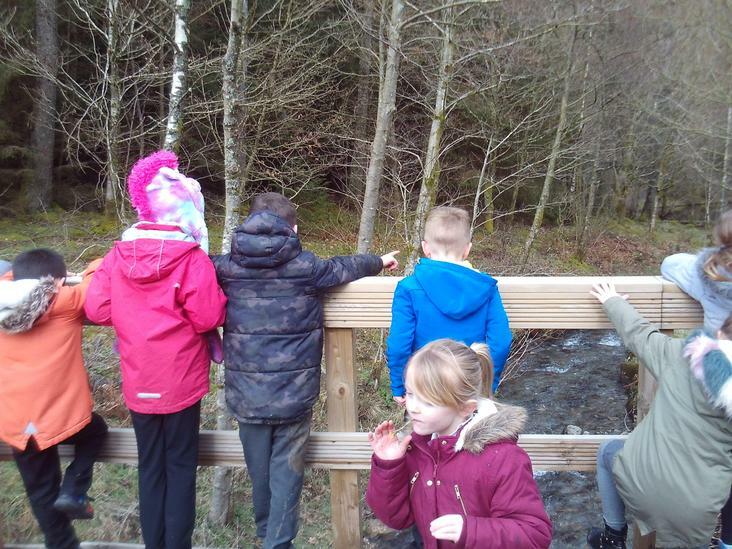 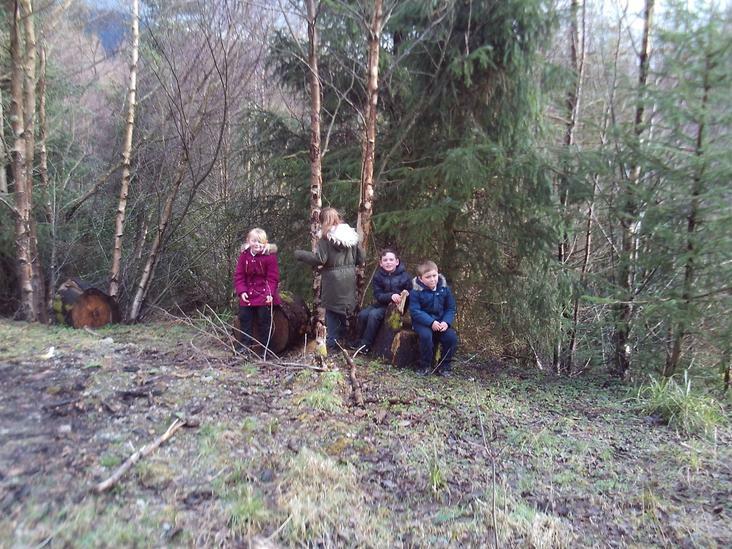 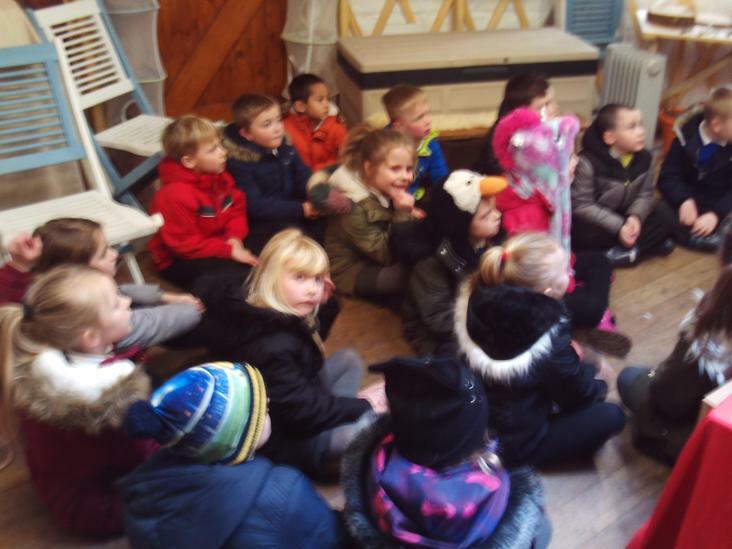 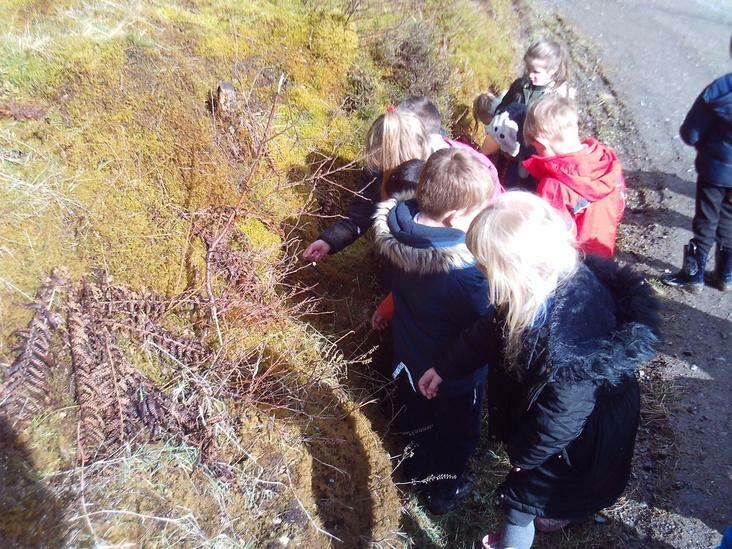 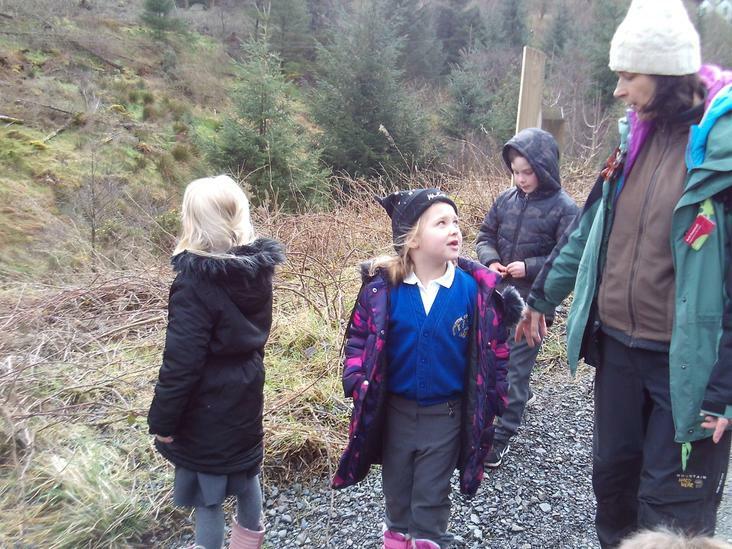 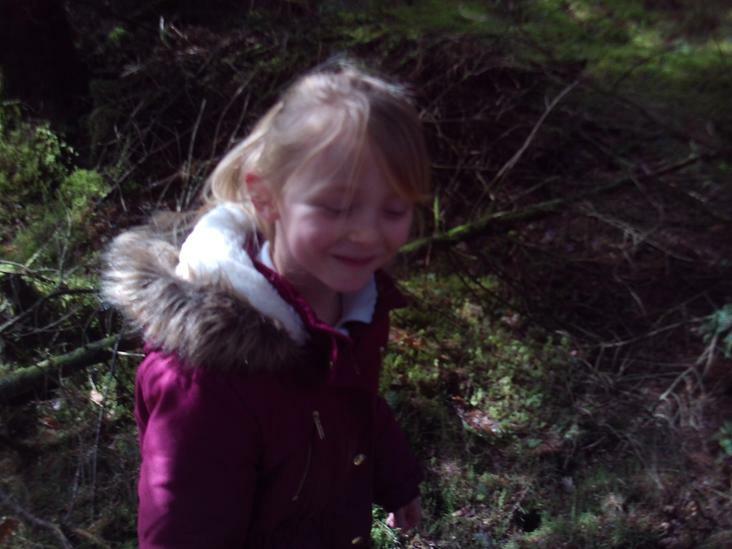 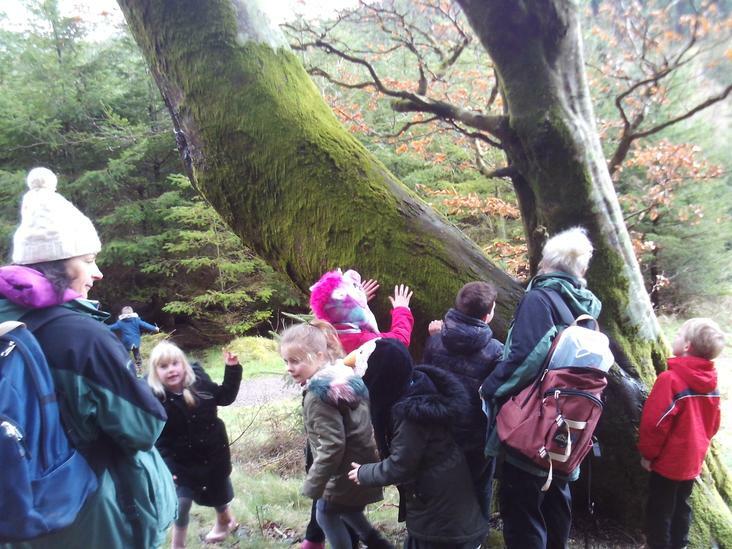 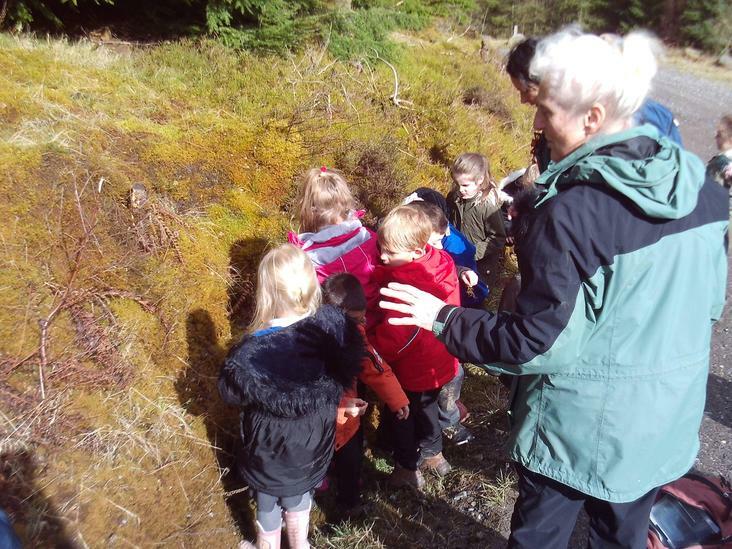 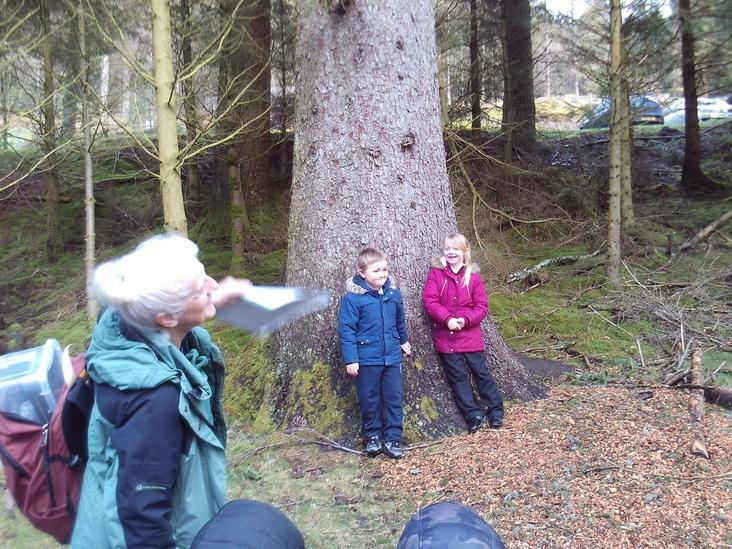 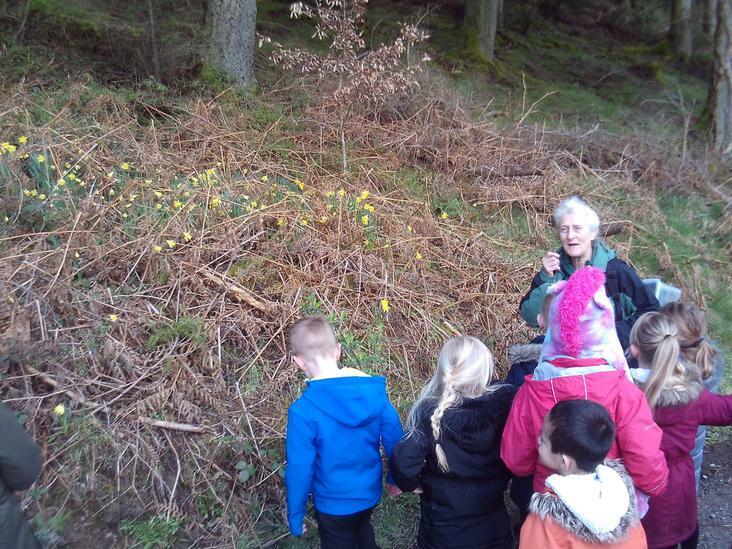 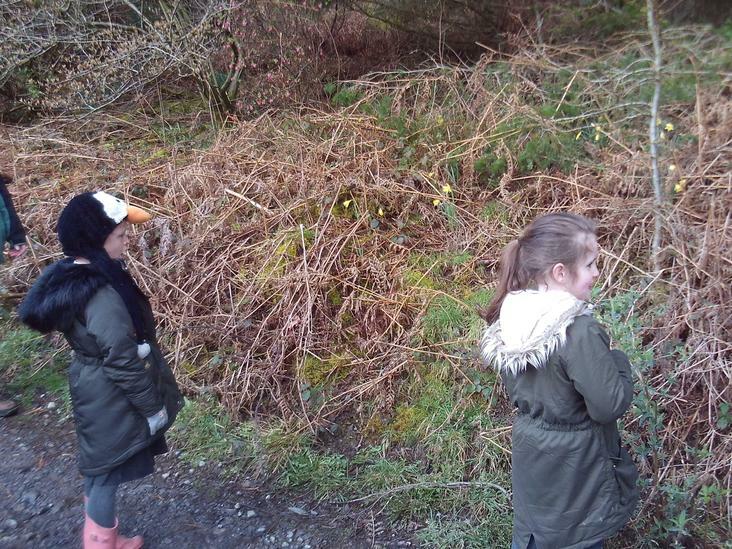 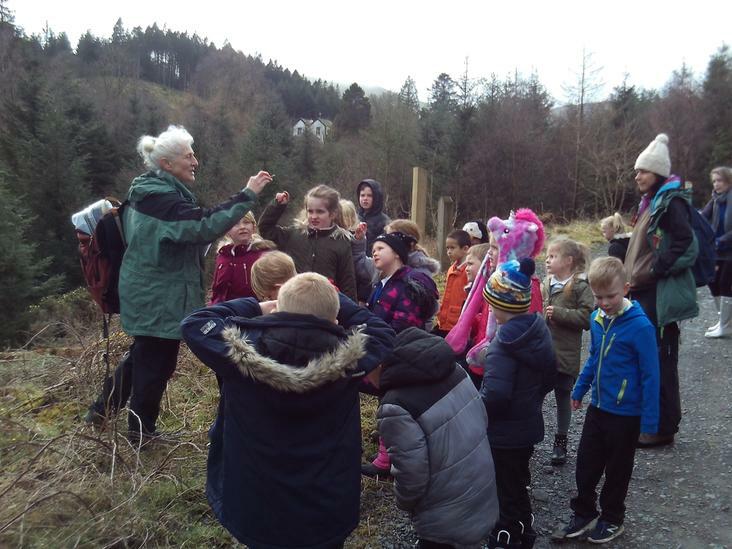 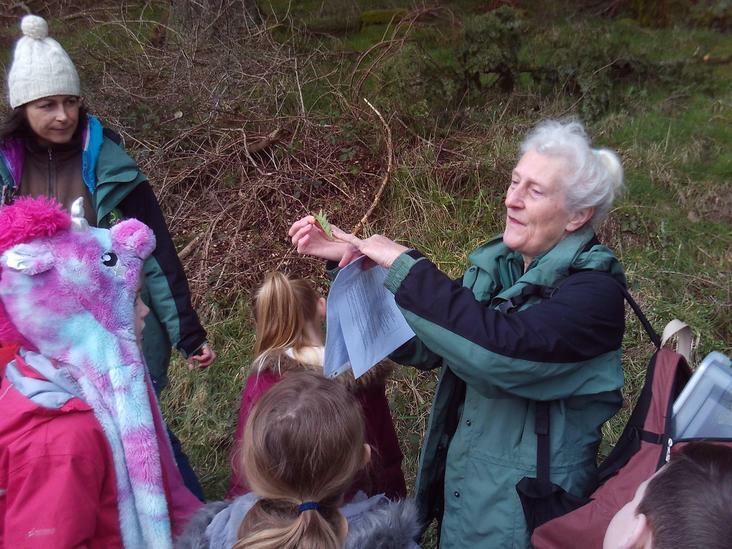 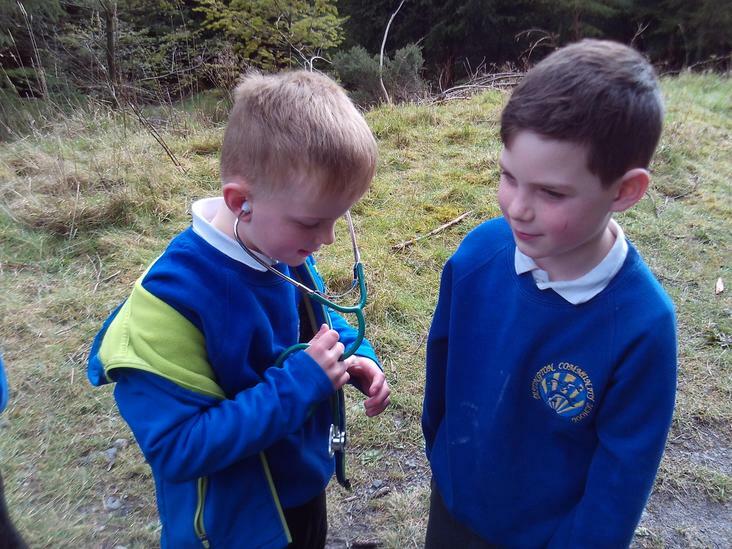 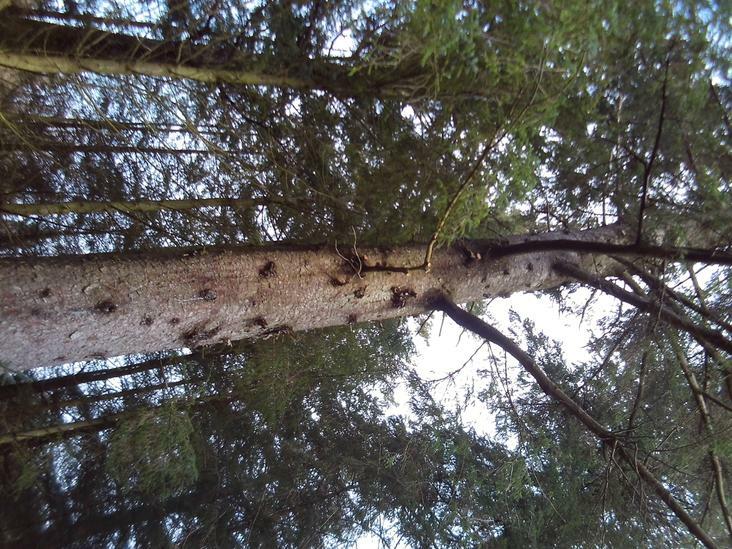 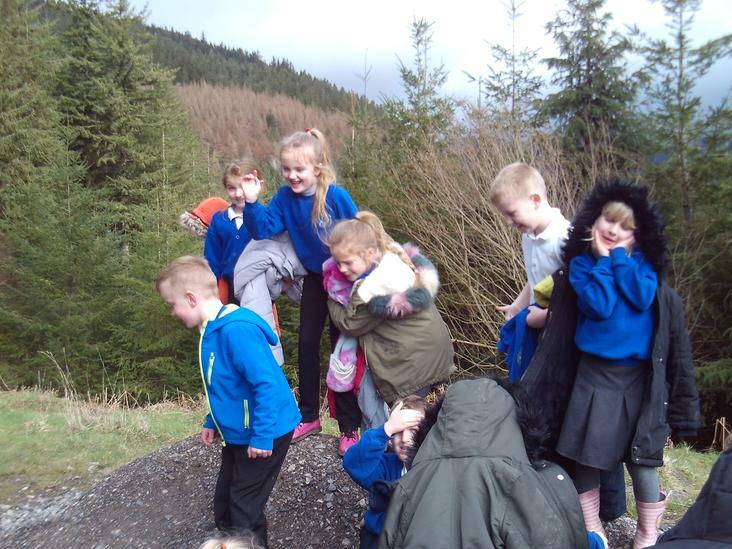 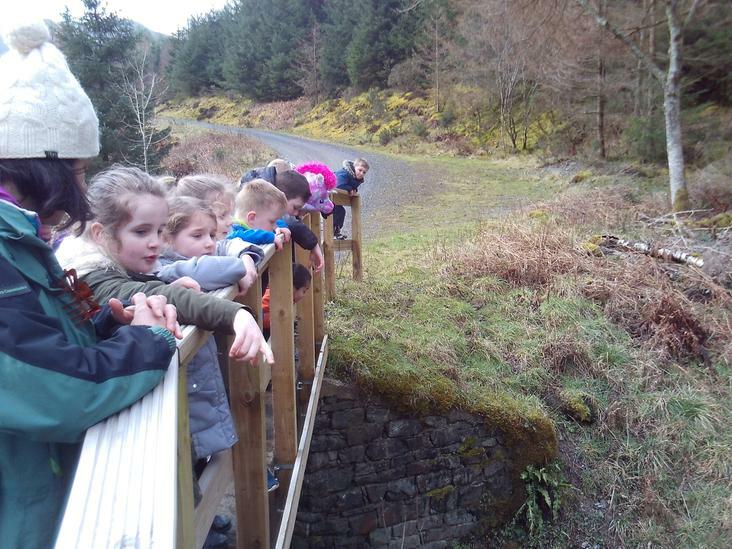 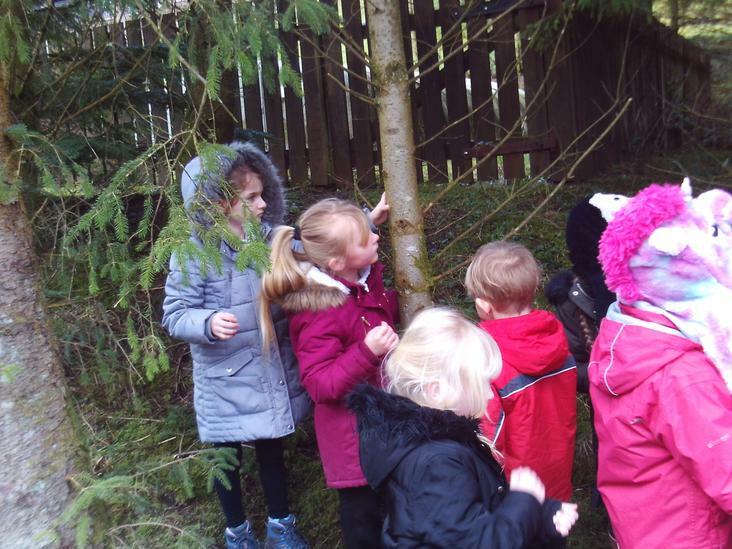 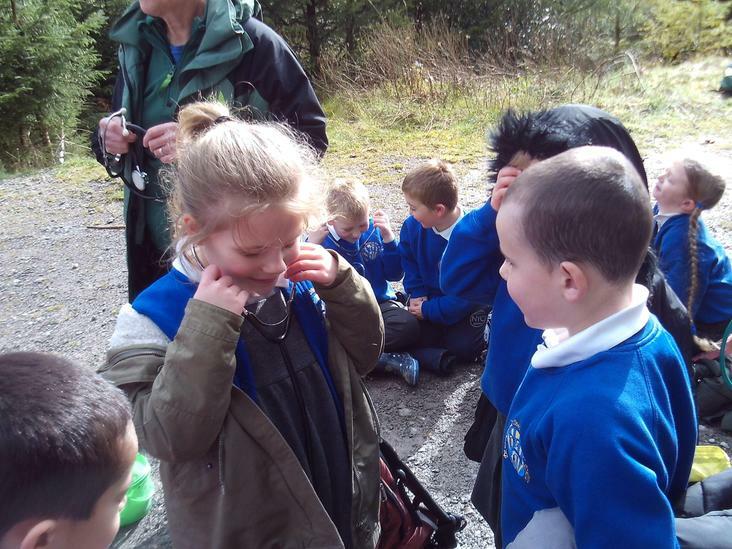 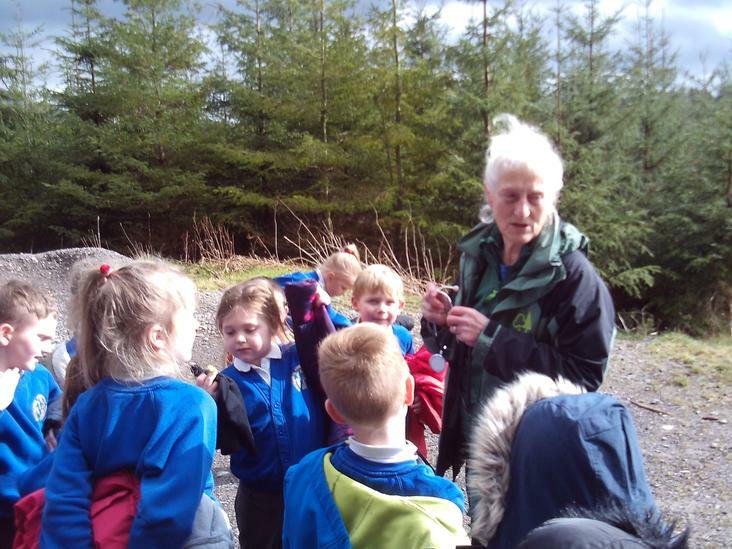 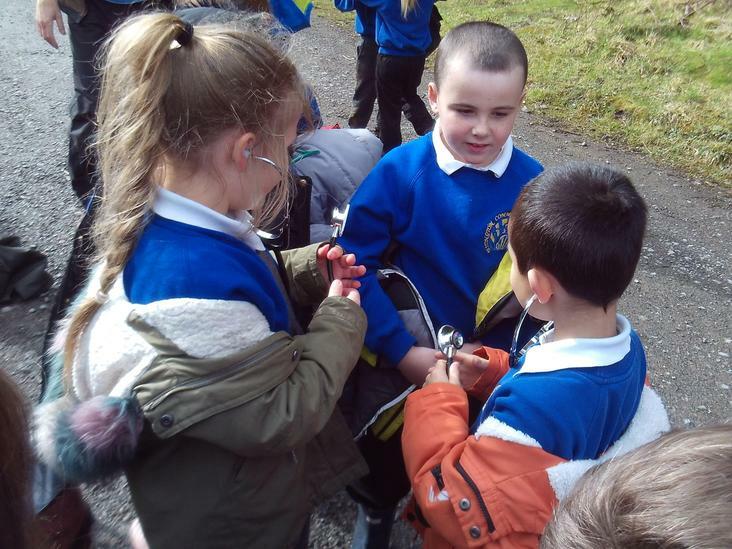 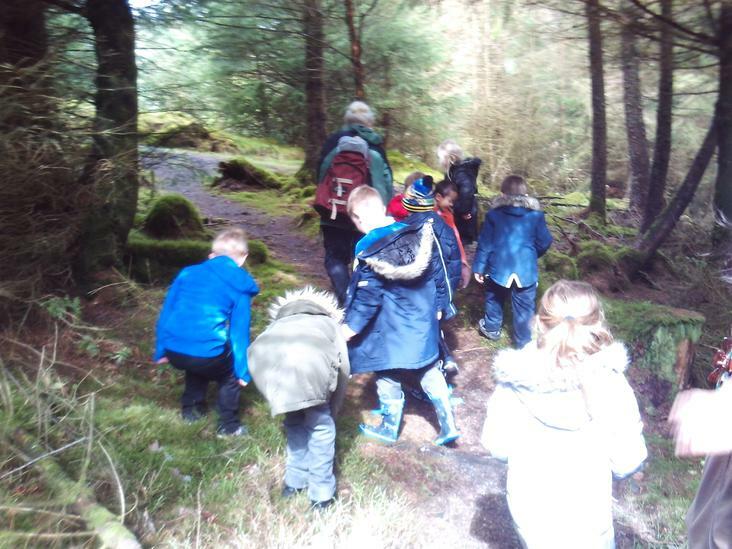 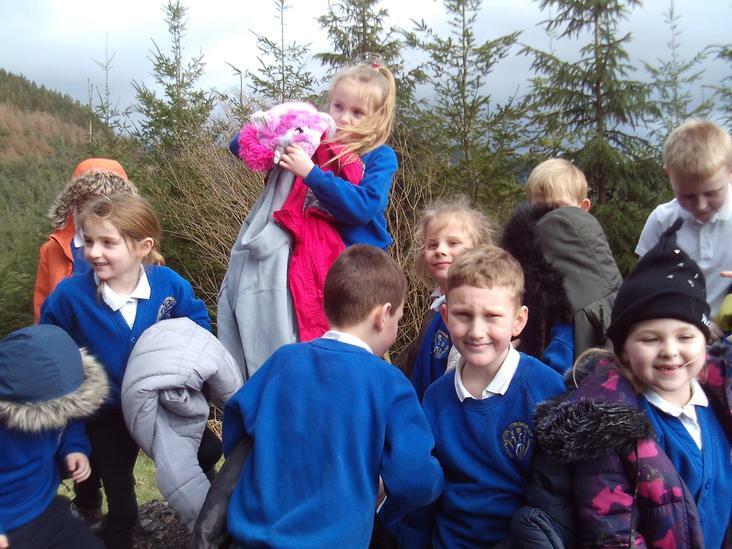 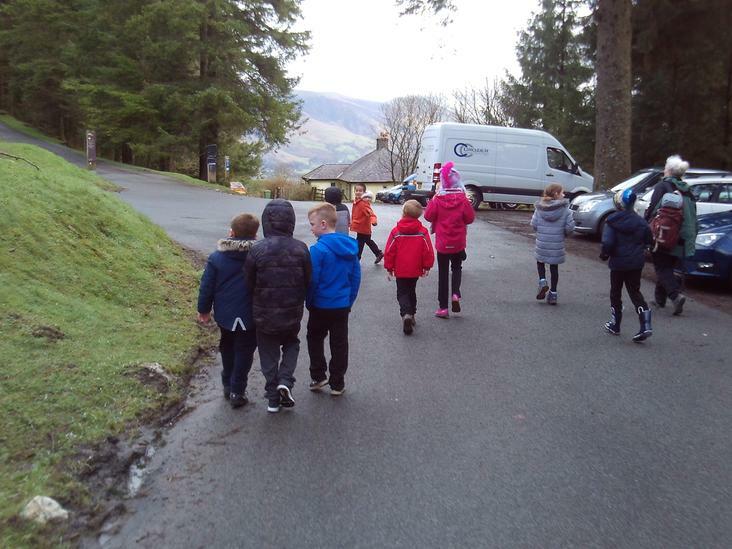 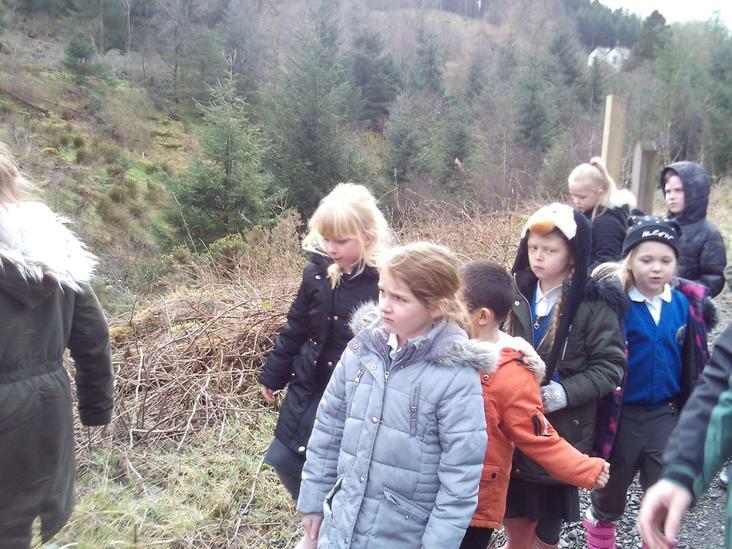 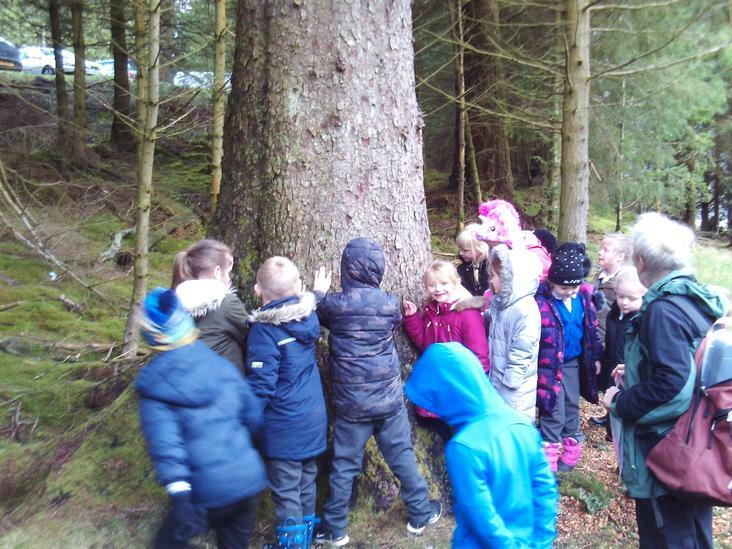 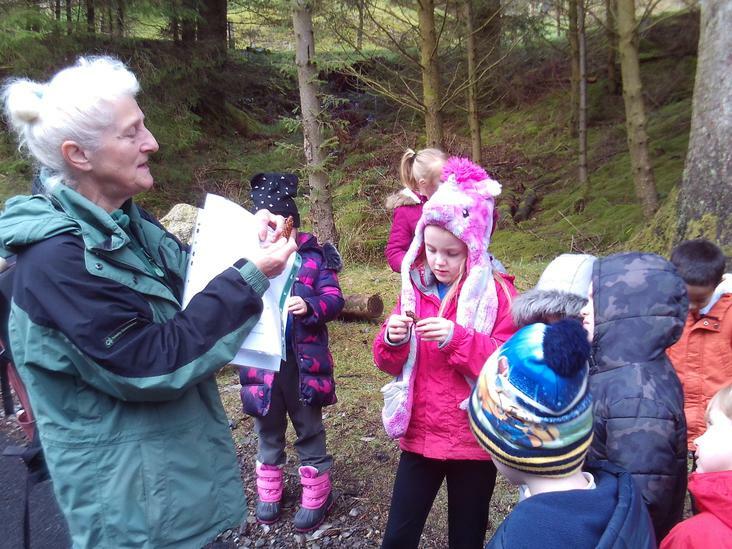 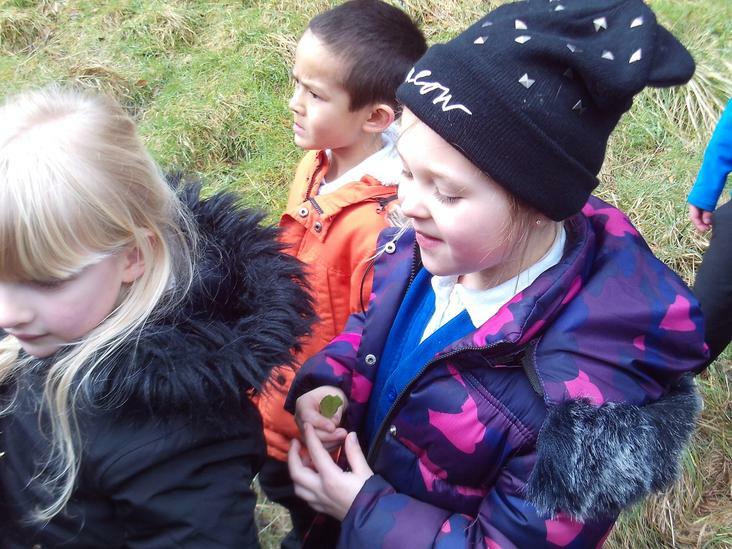 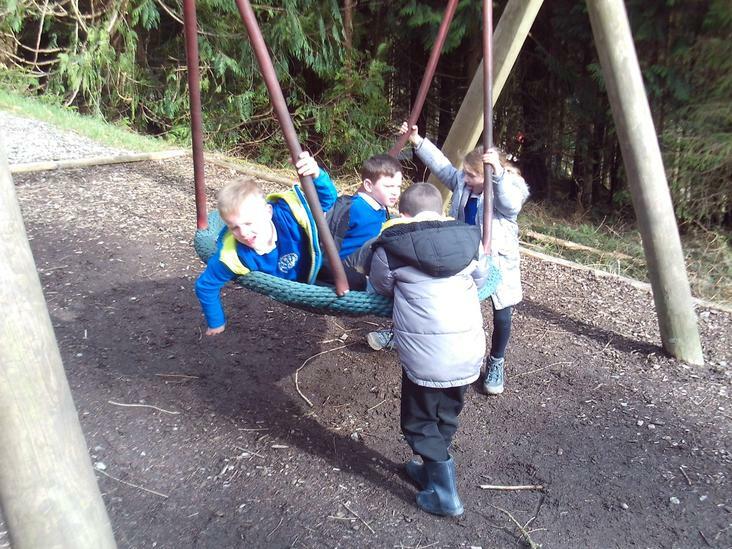 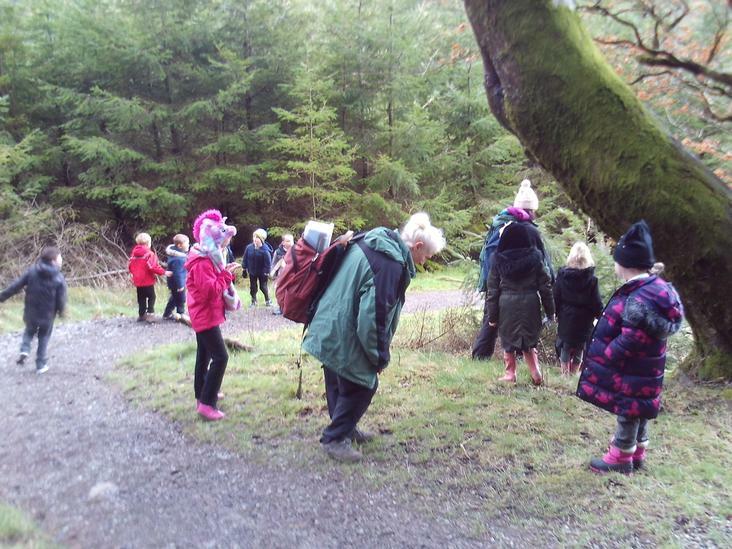 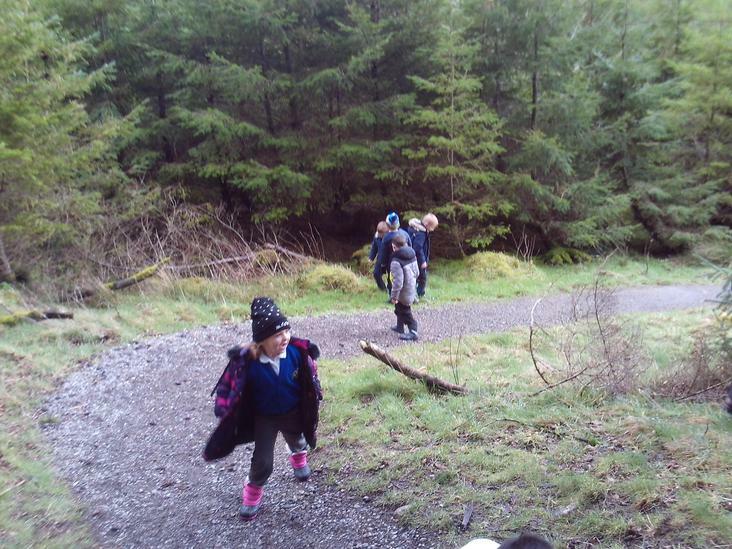 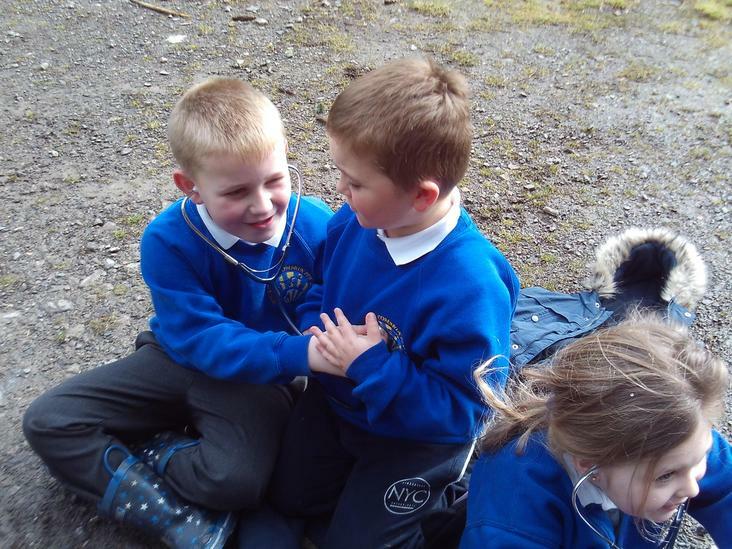 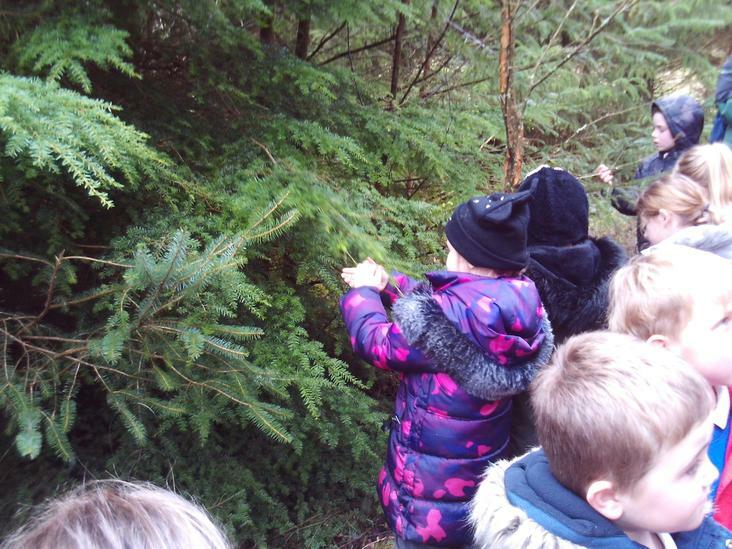 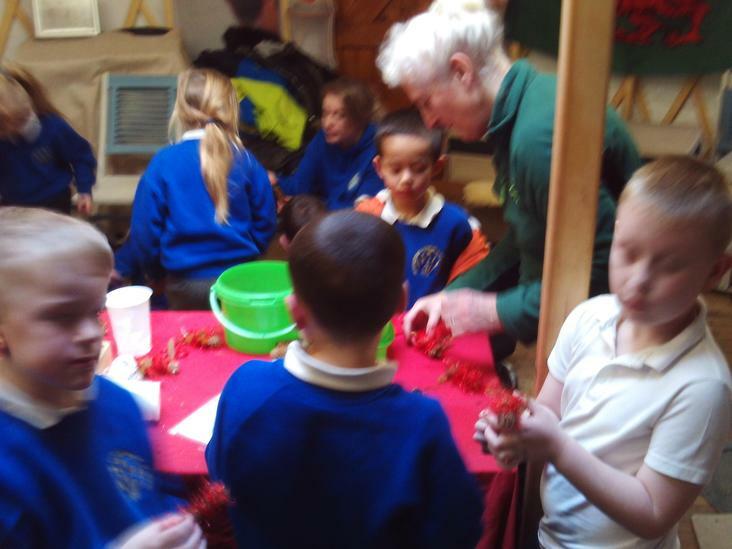 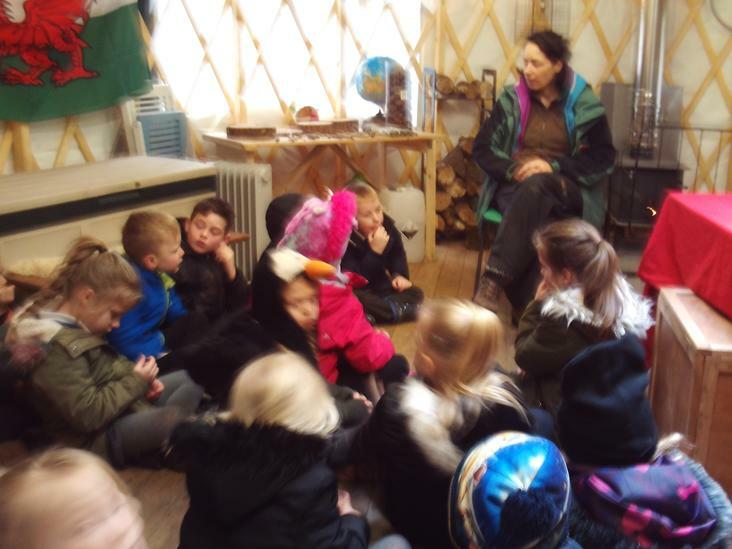 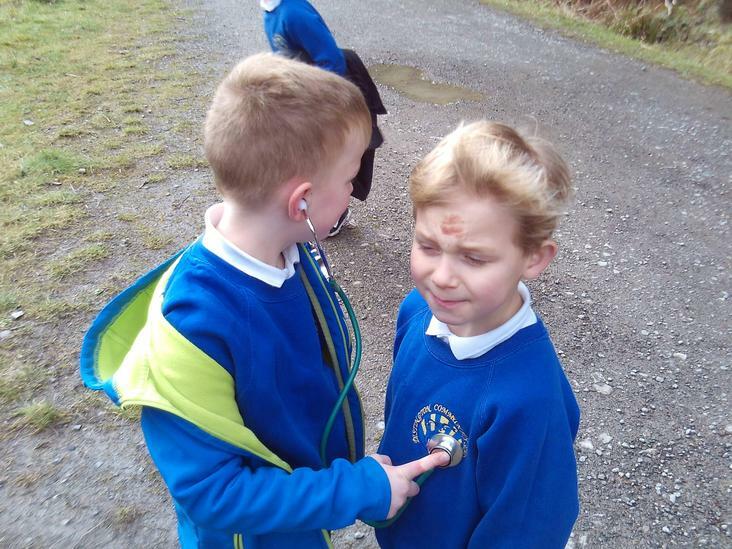 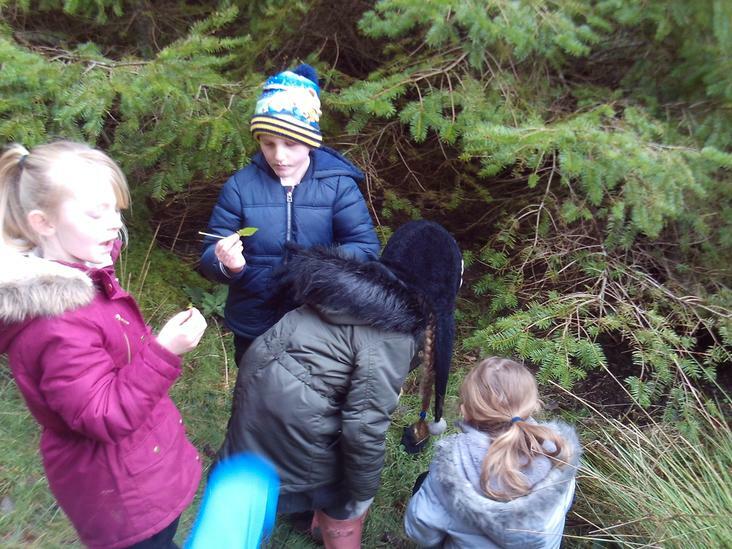 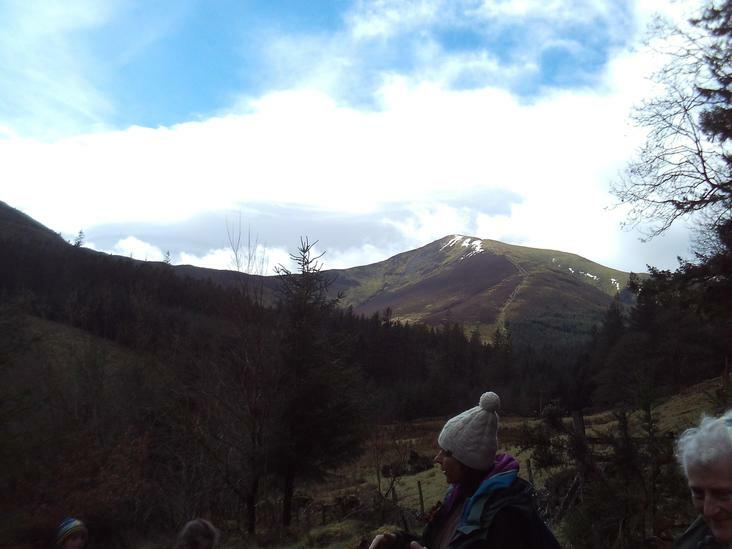 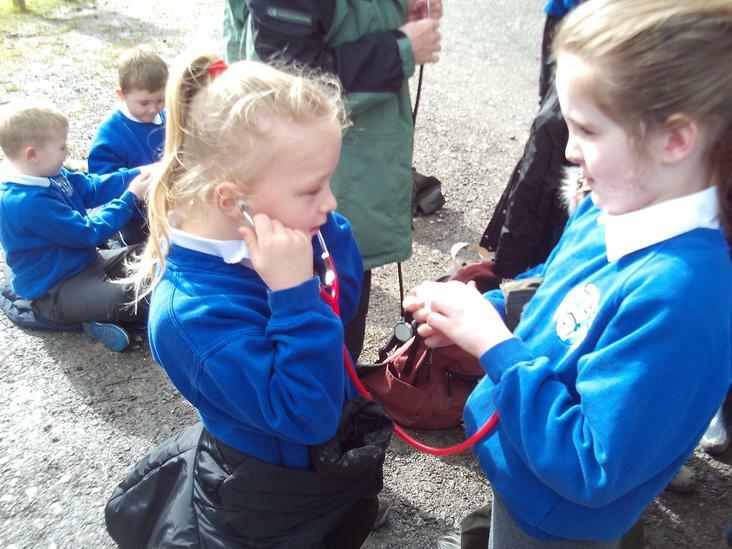 The year 2 children visited Whinlatter Forest to develop and extent our learning of plants, animals and our local geography. 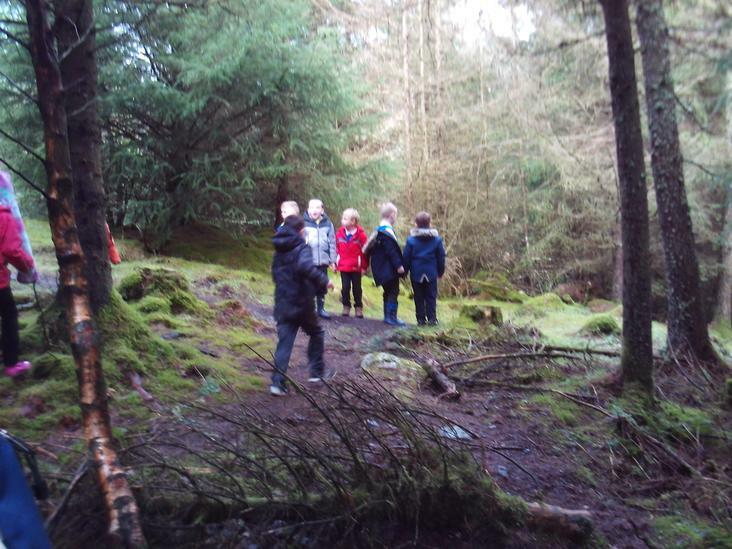 We spent the day exploring the forest as well as finding clues along the Zog trail. 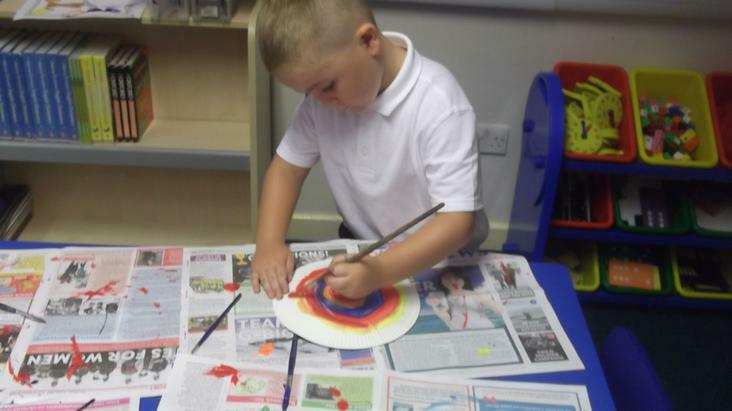 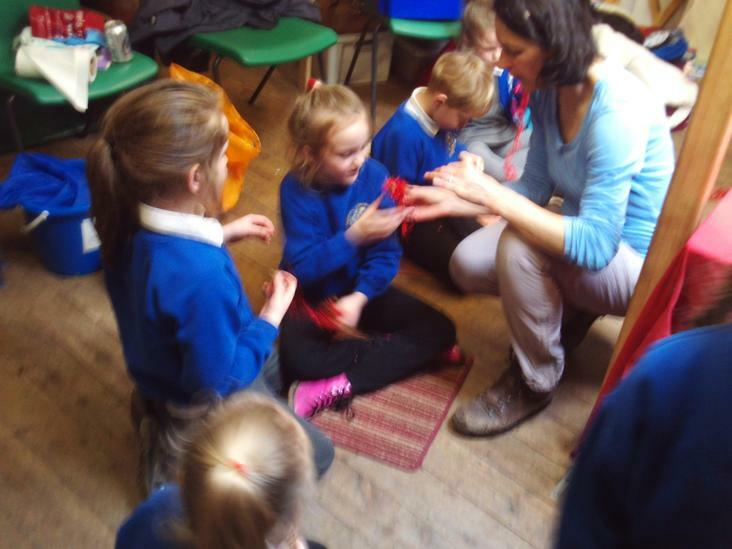 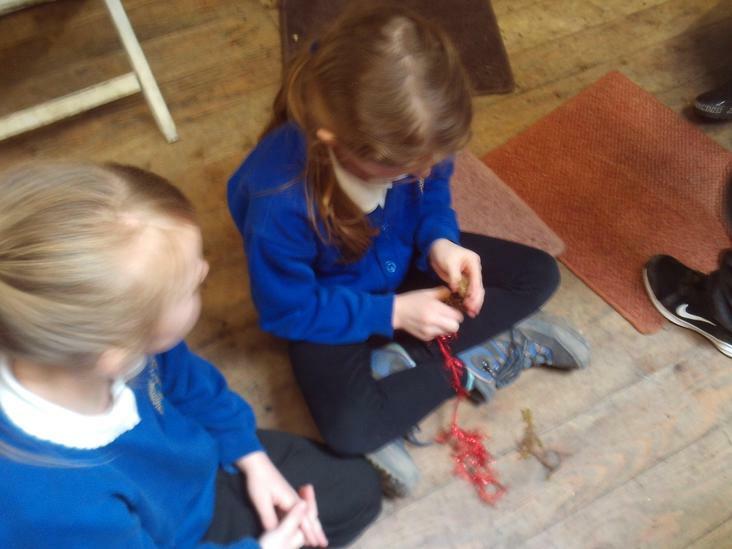 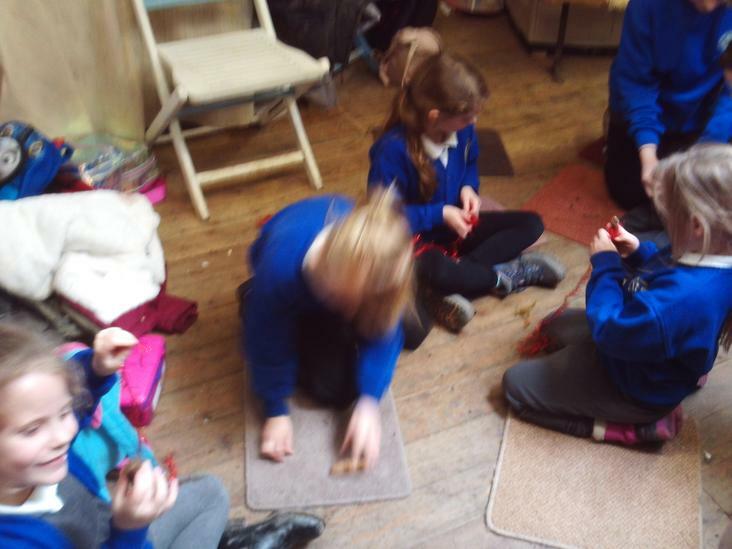 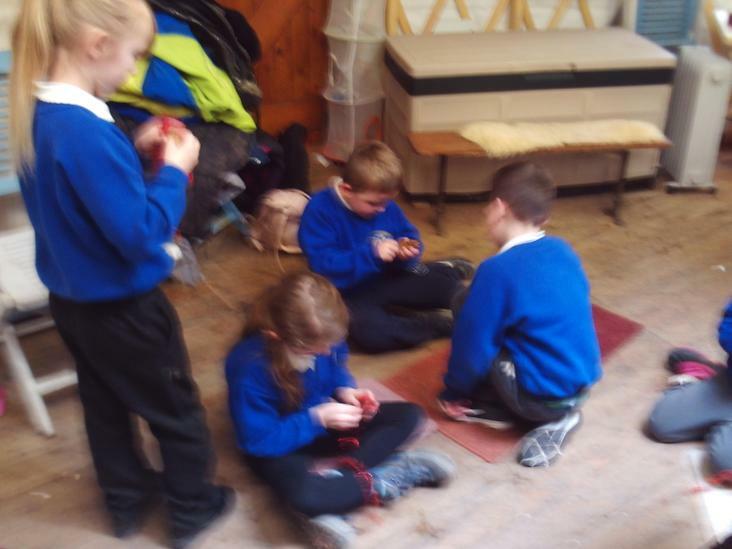 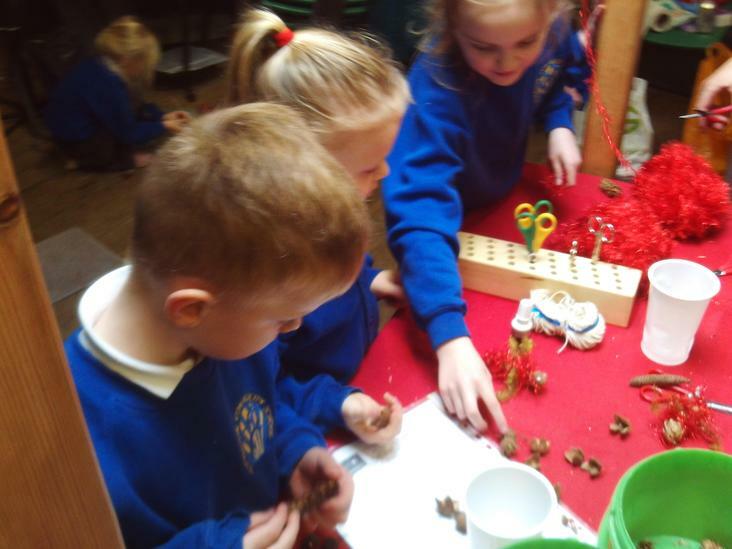 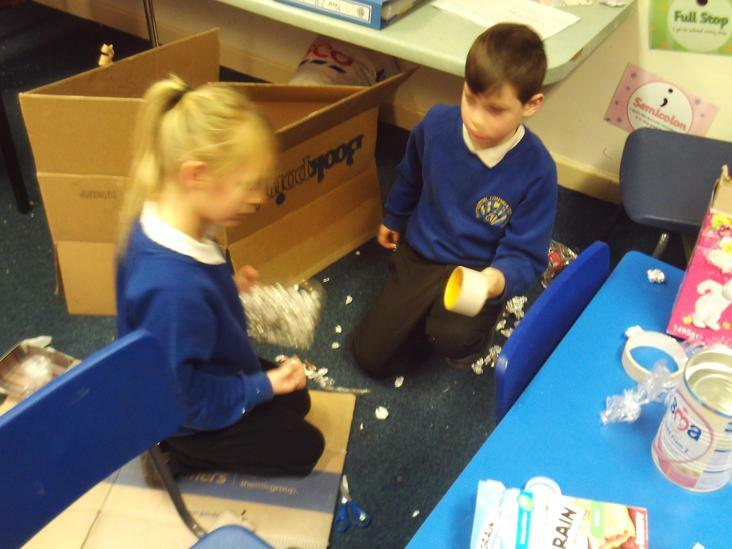 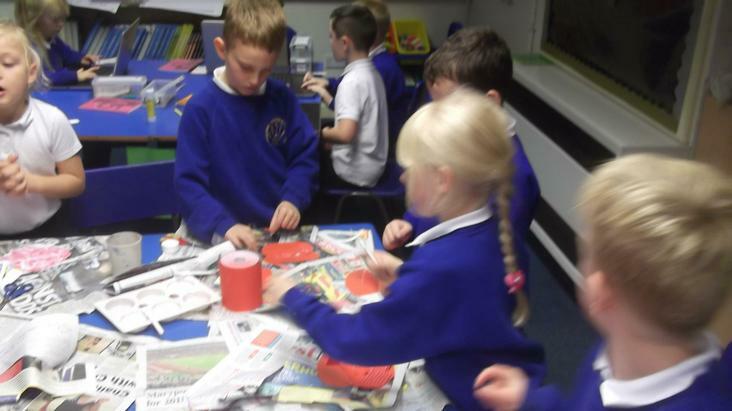 We also created mini Zogs using items from the forest. 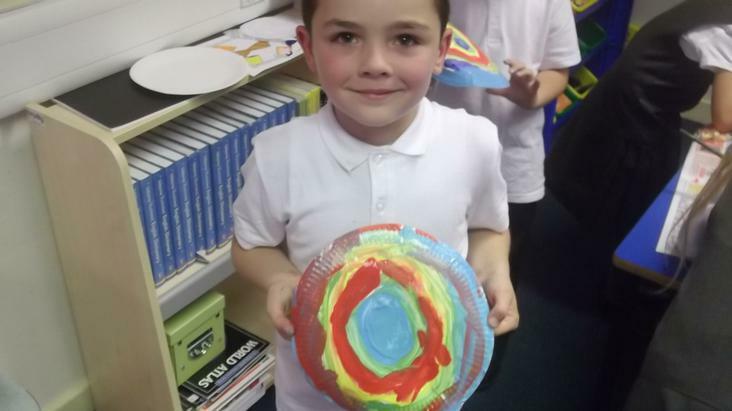 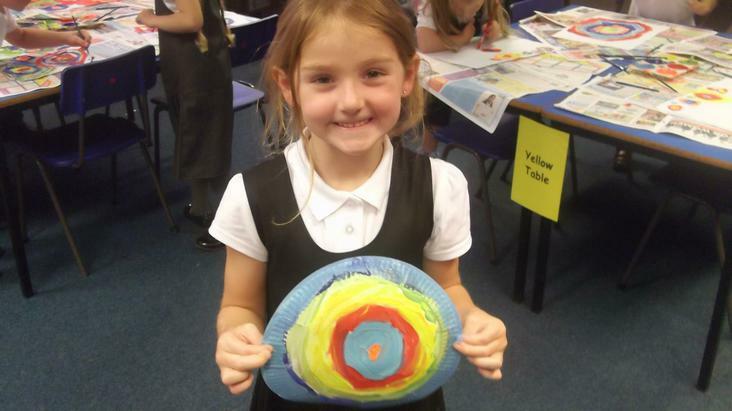 As part of our topic 'What do aliens think of earth? 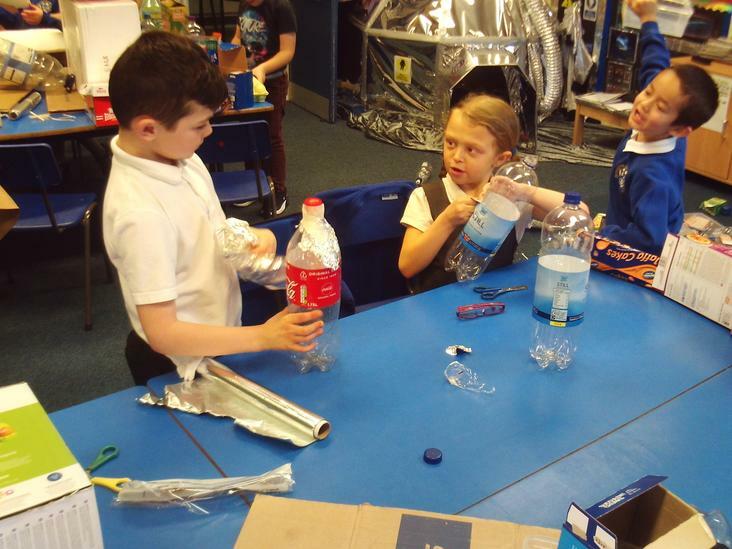 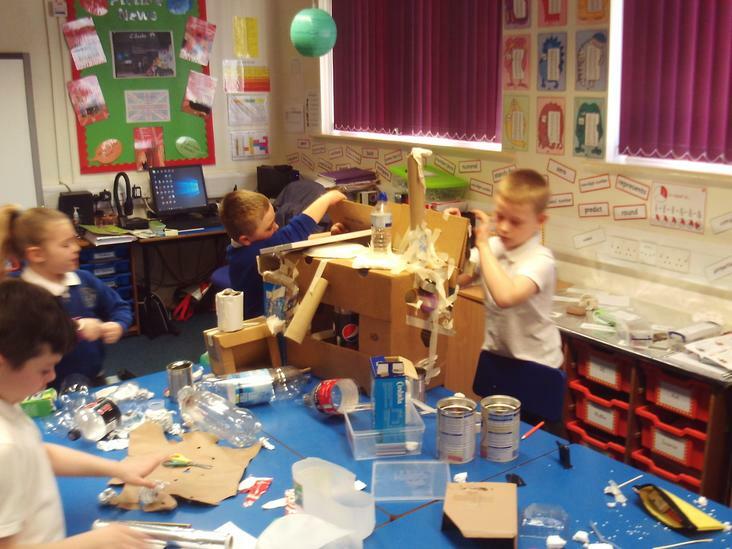 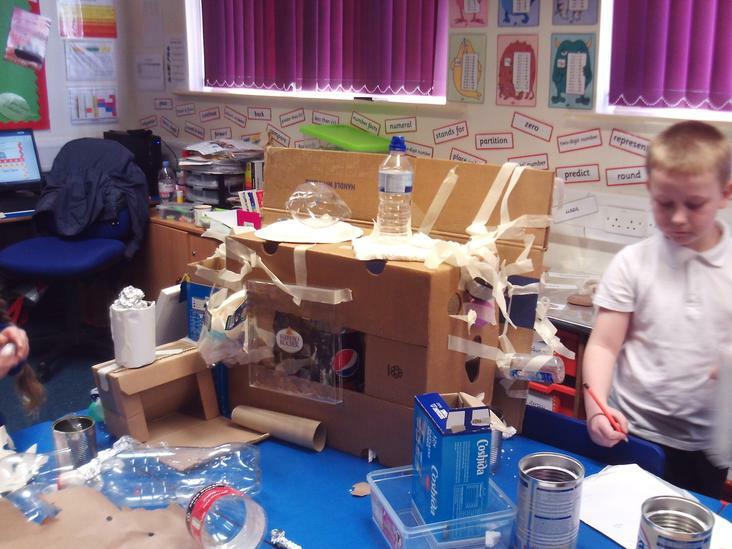 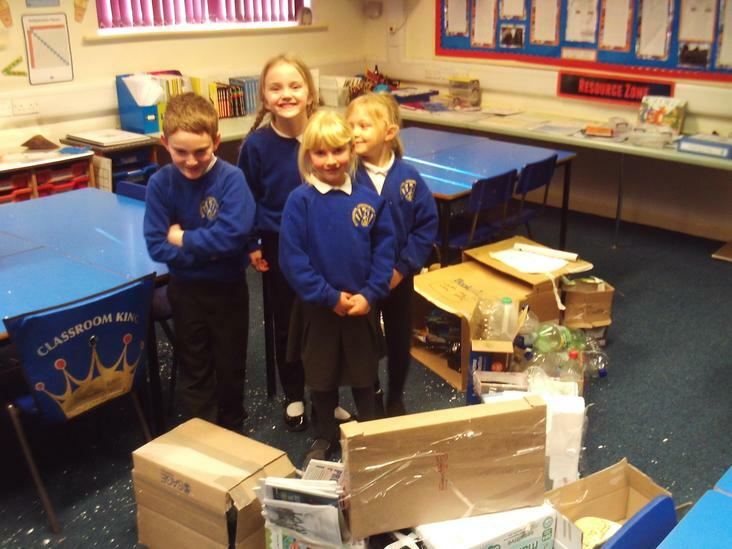 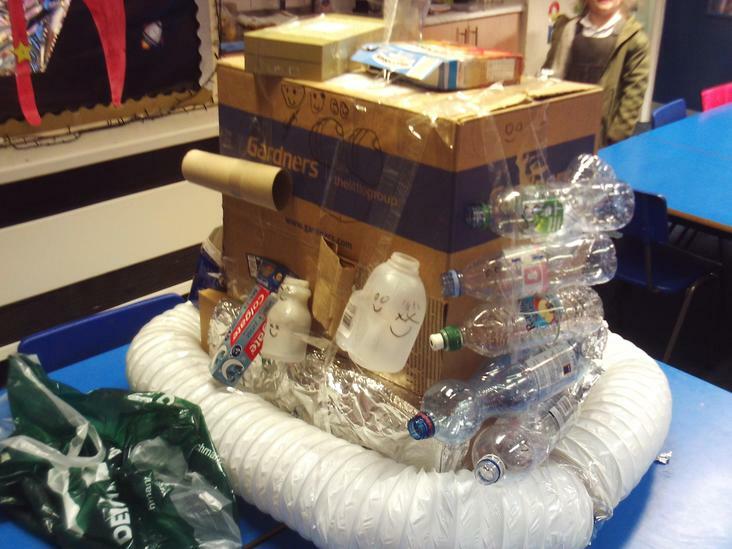 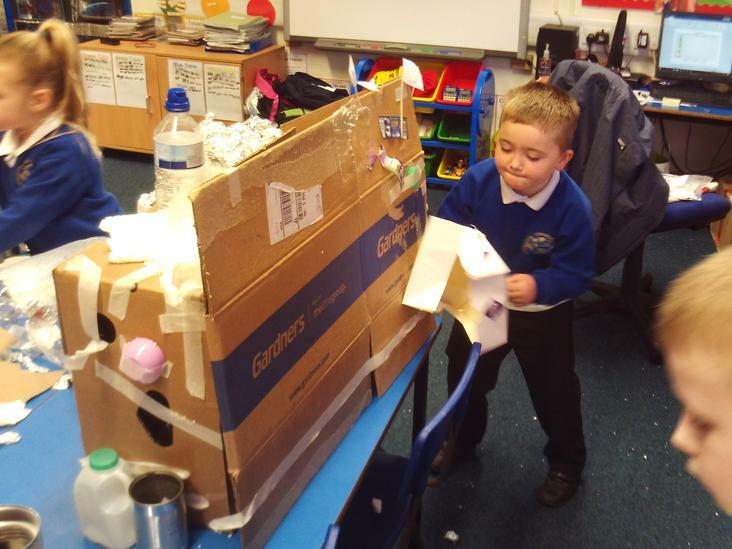 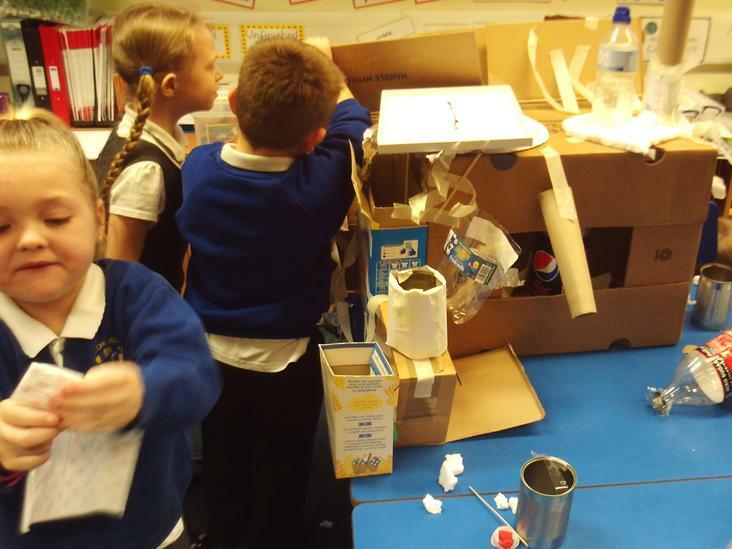 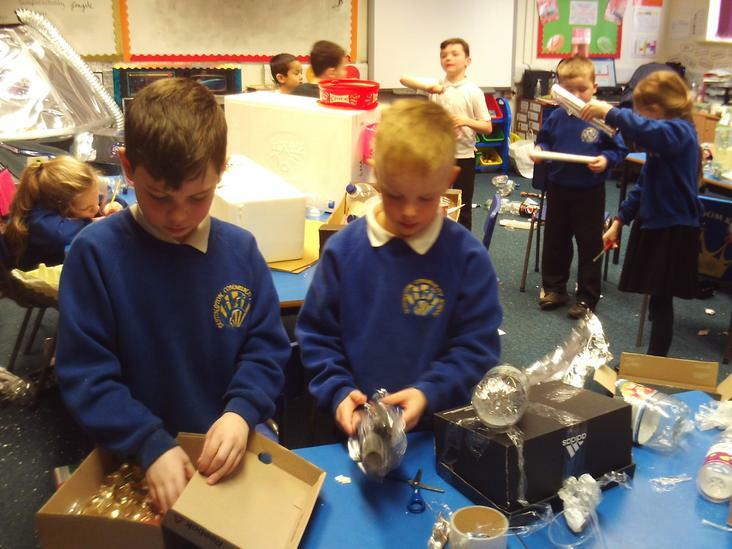 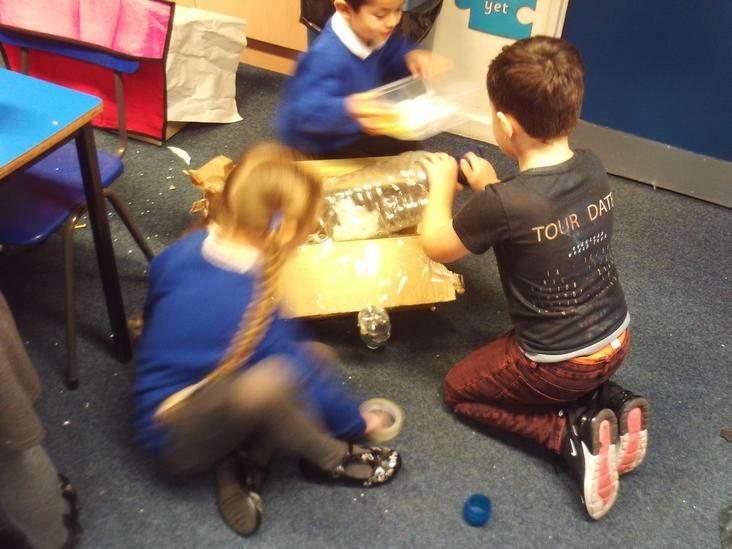 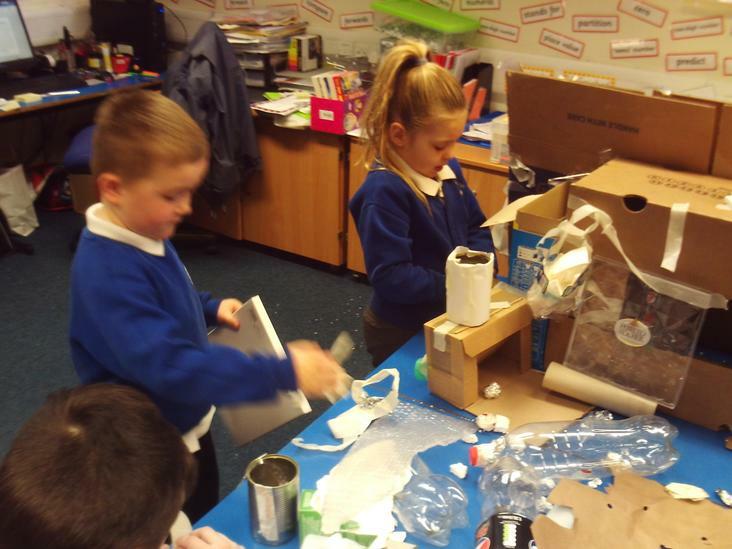 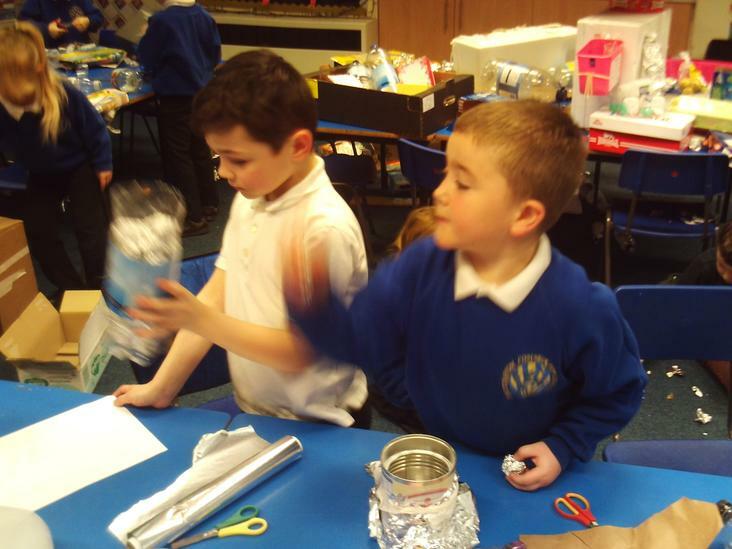 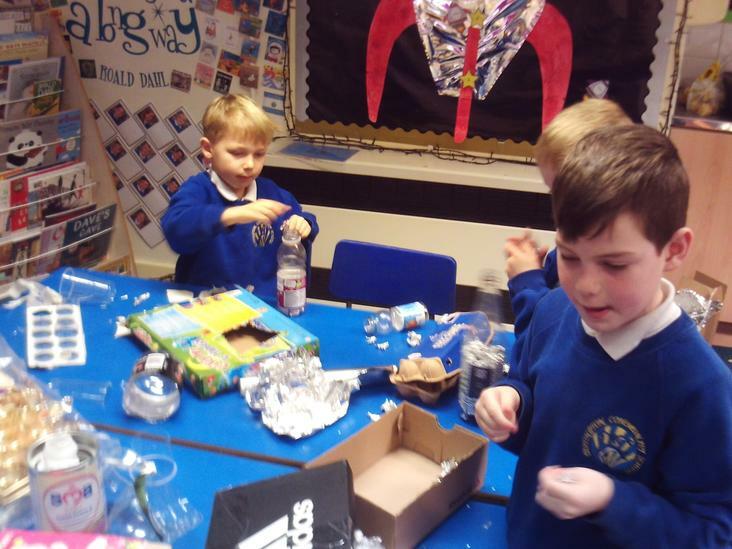 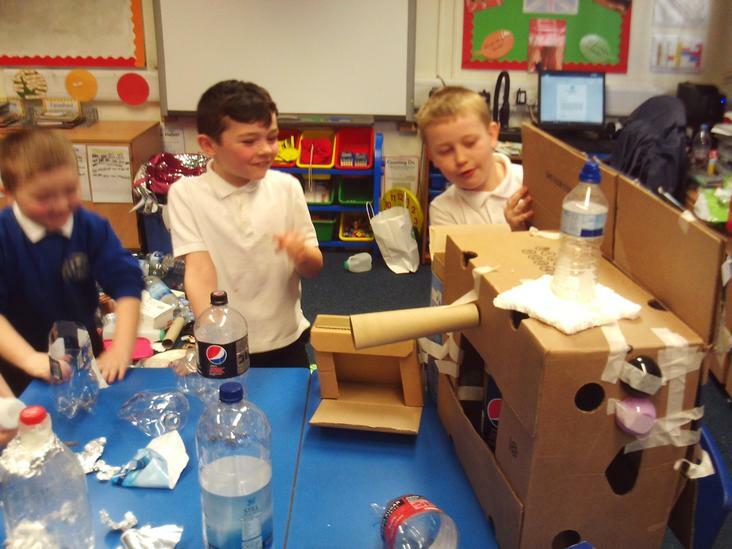 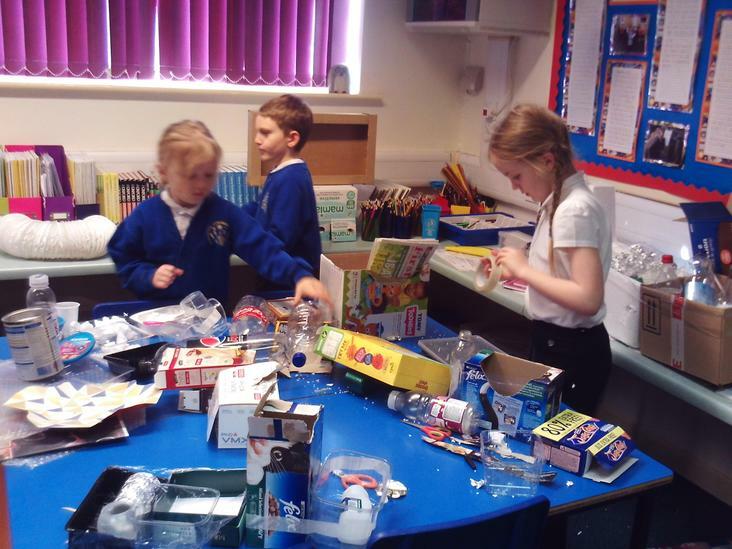 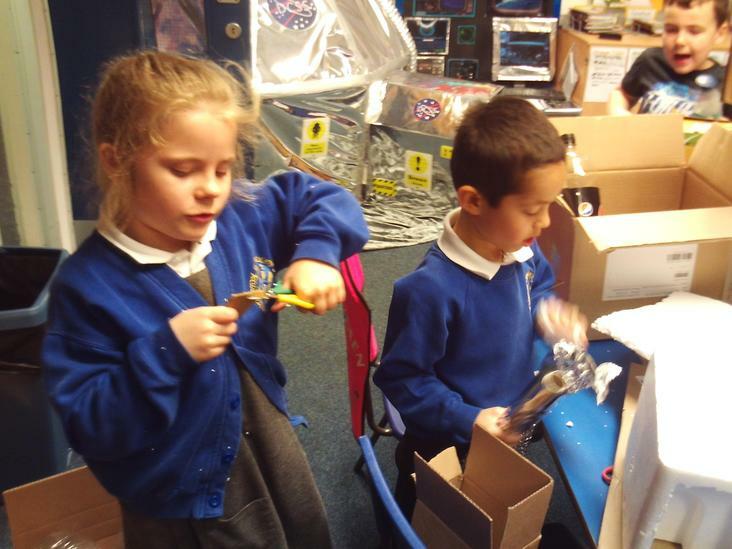 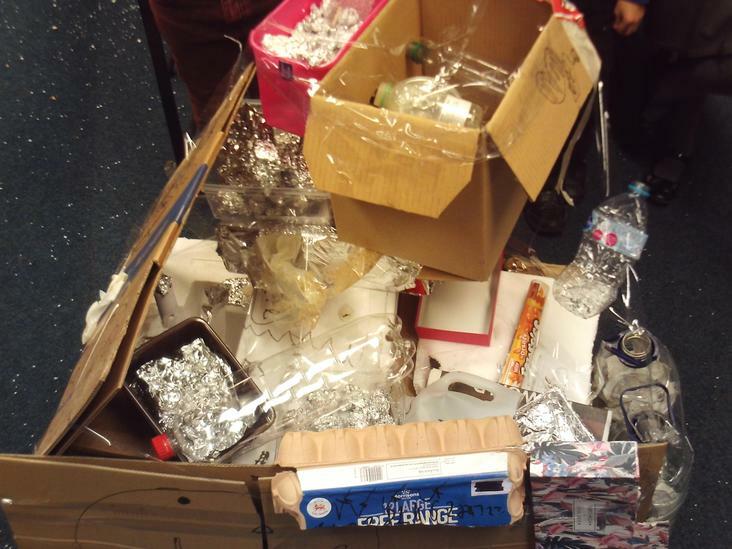 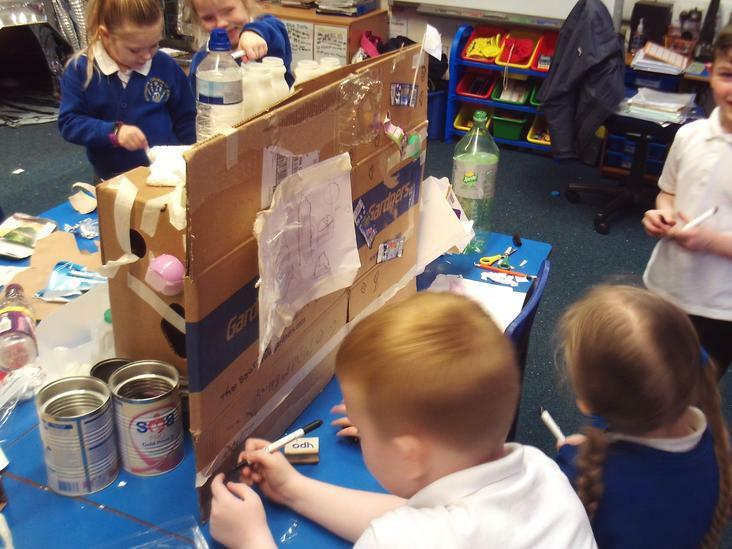 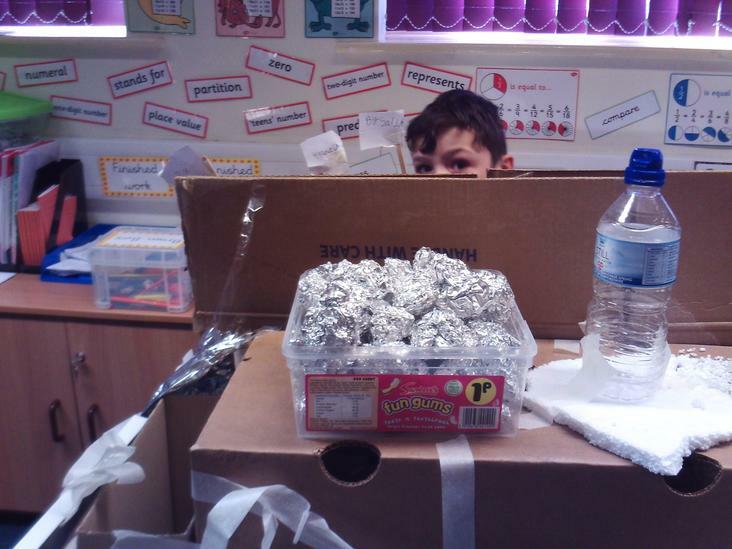 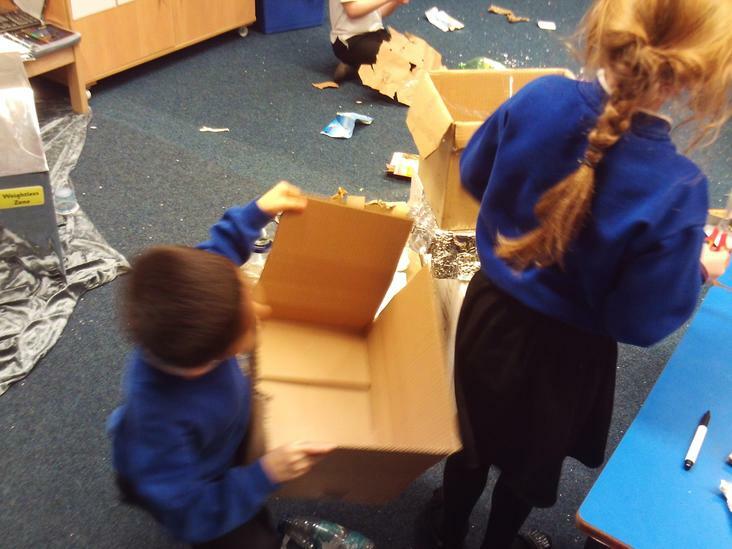 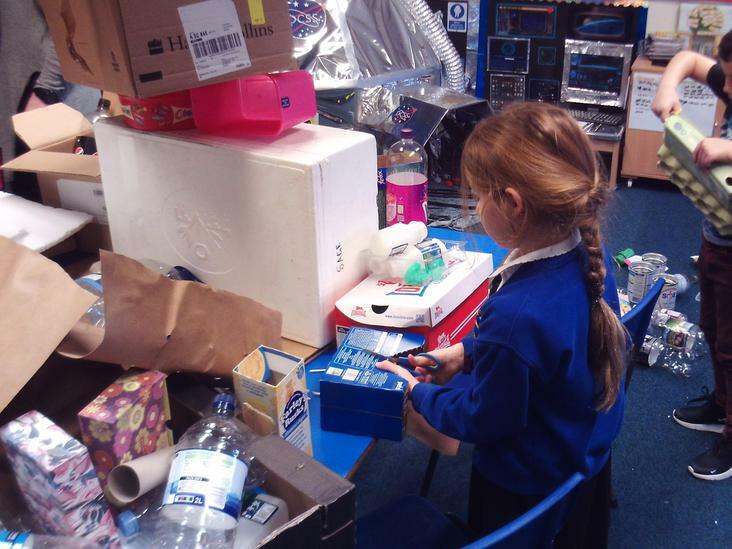 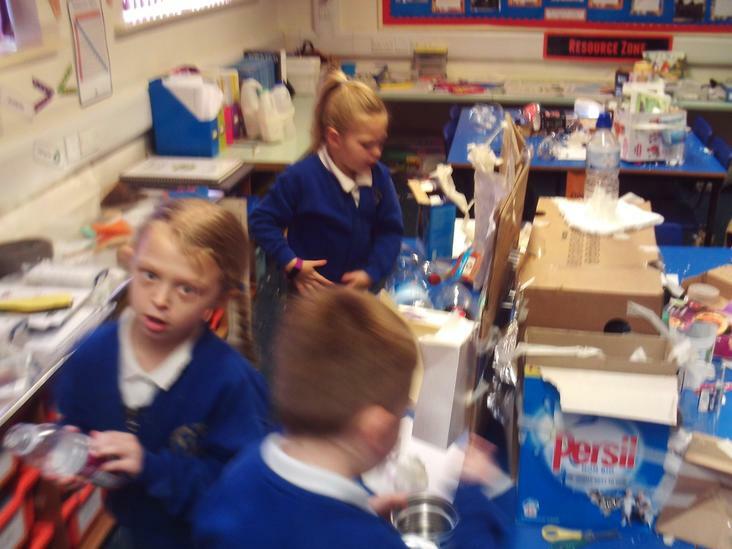 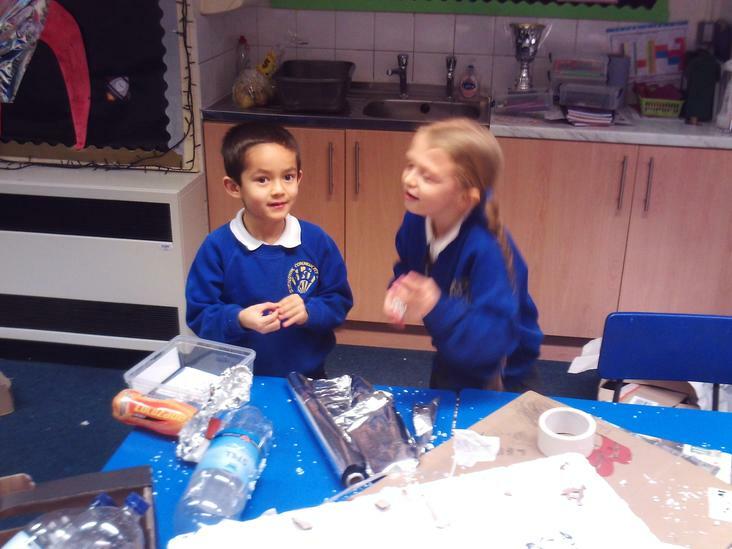 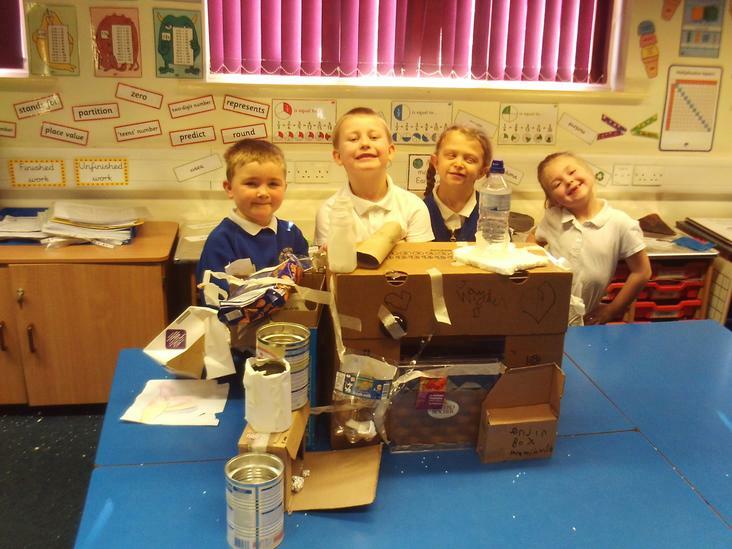 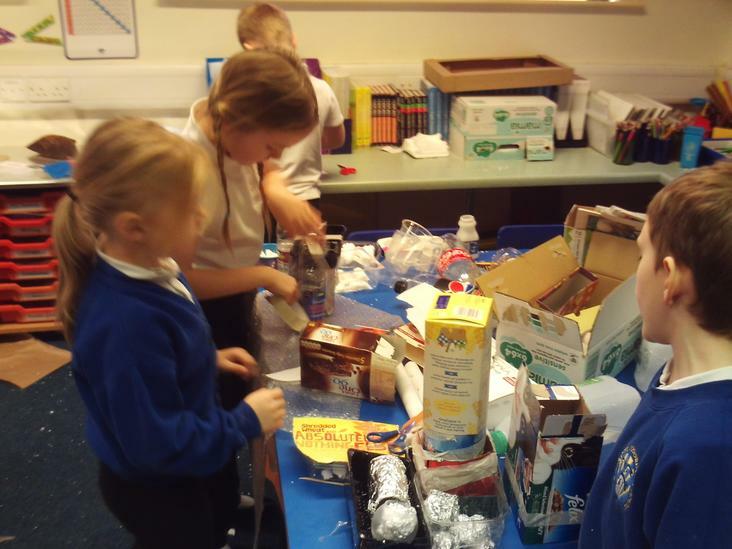 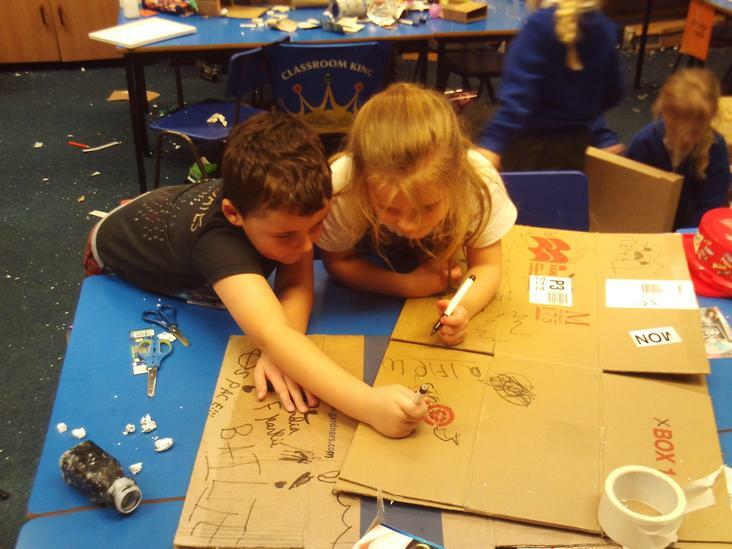 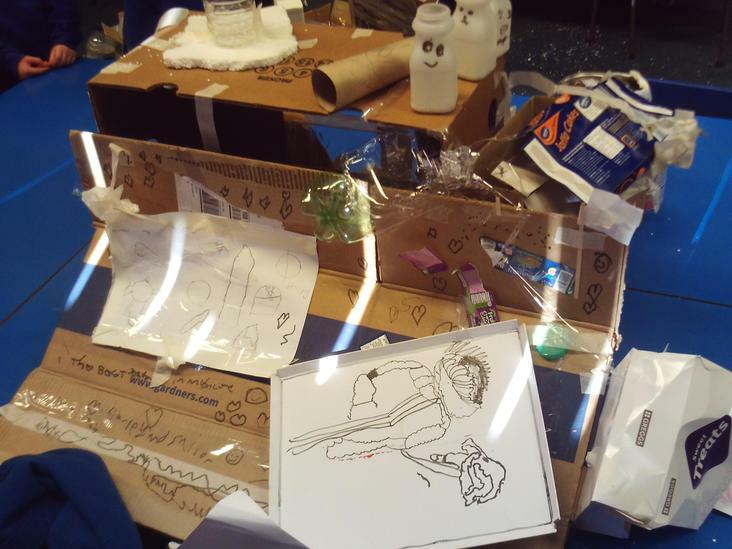 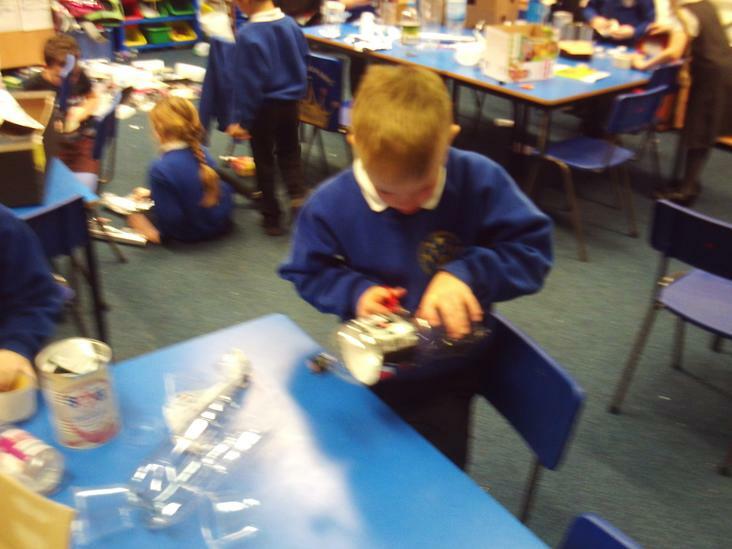 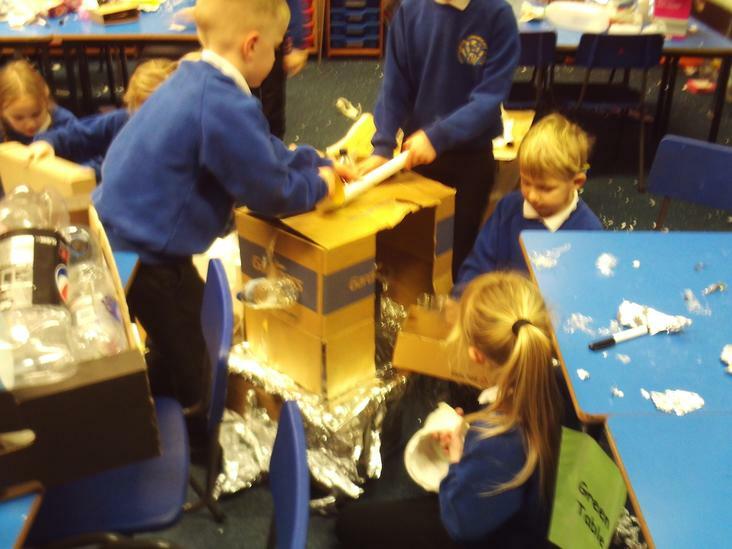 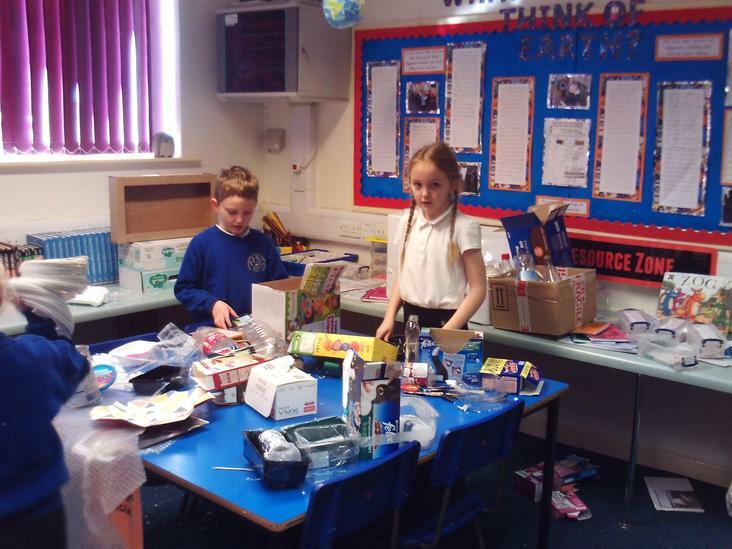 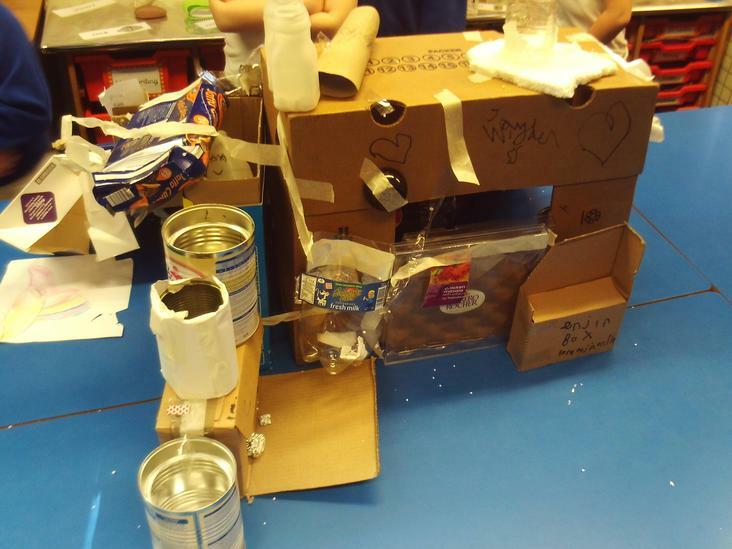 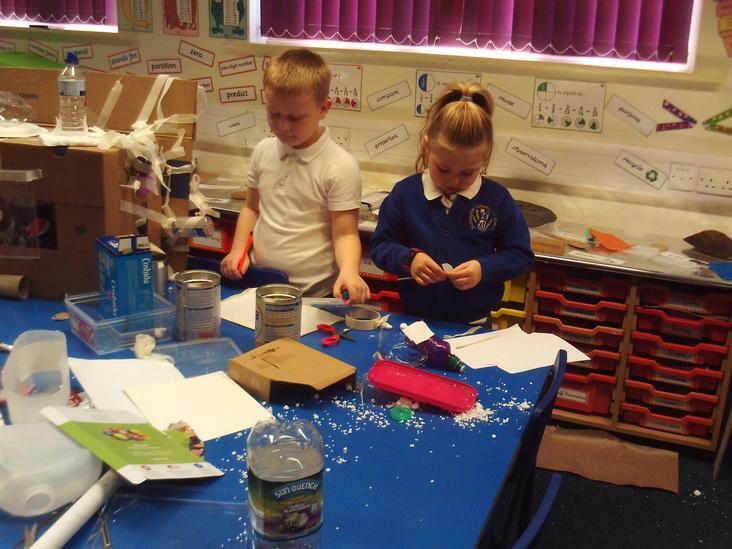 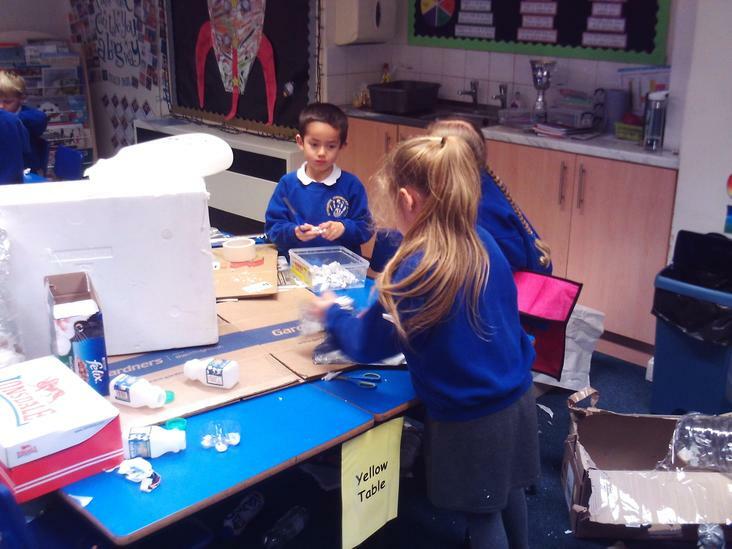 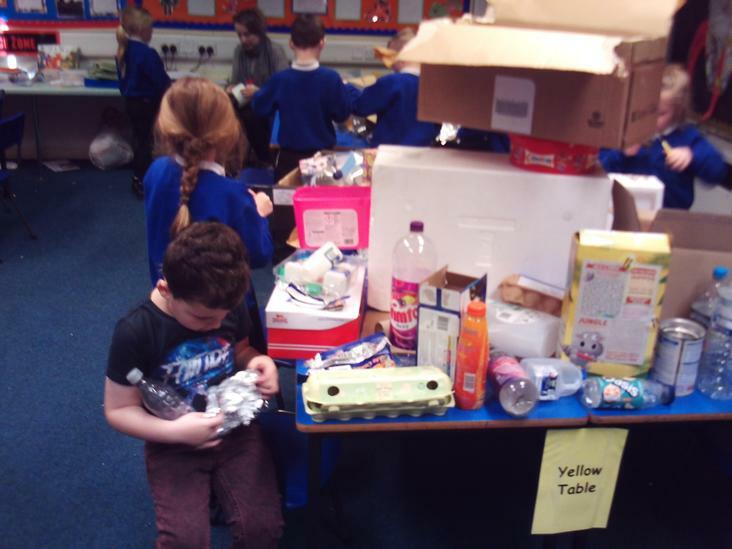 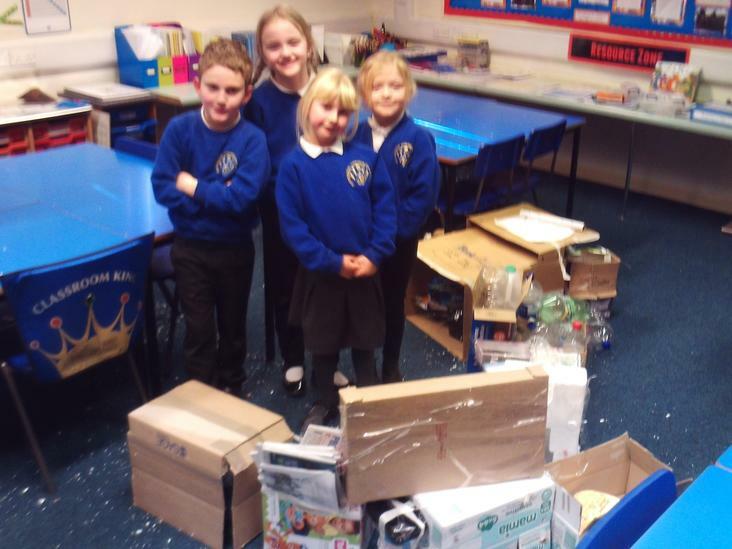 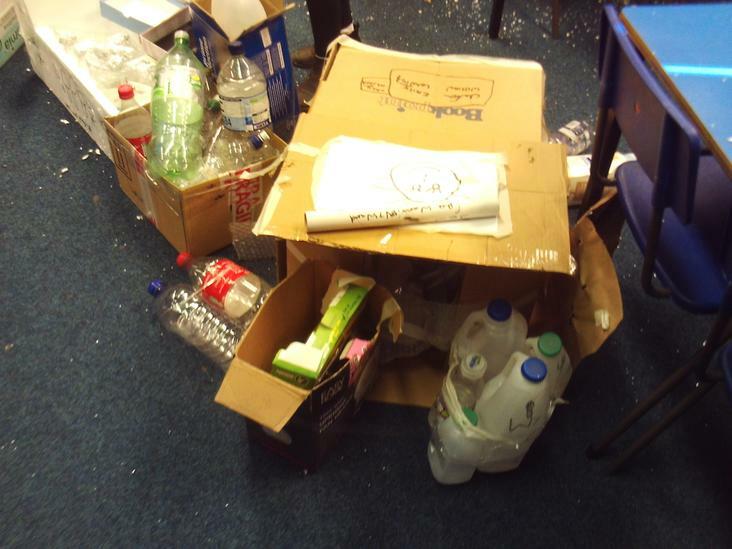 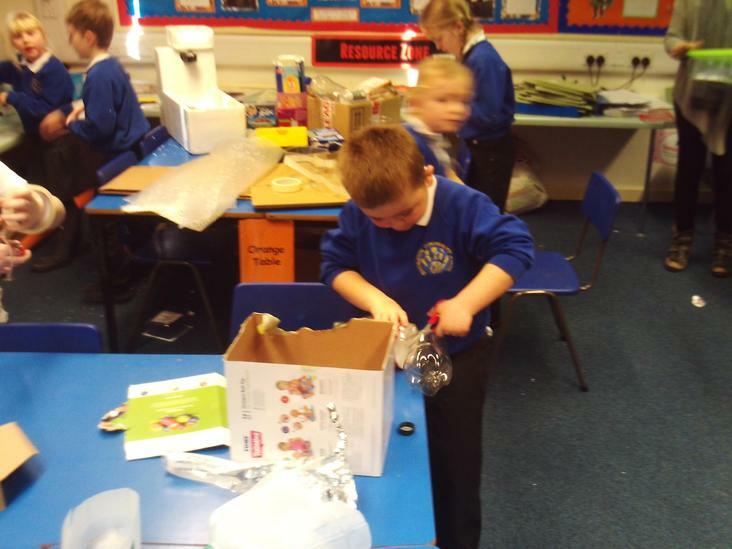 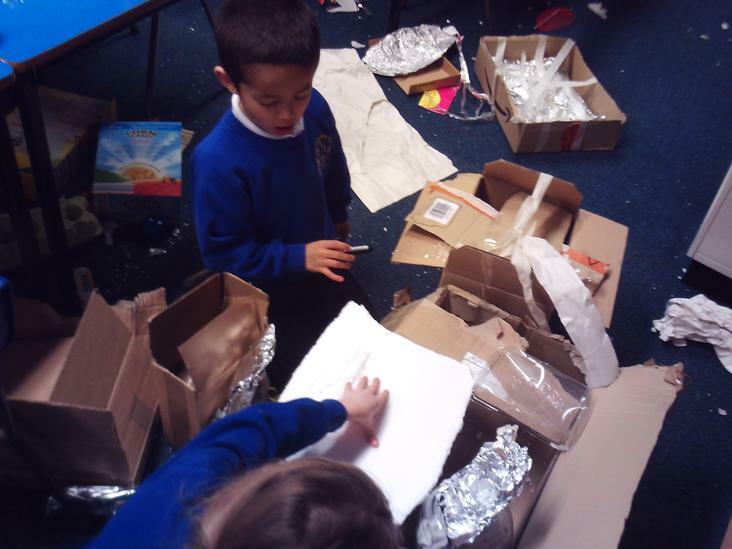 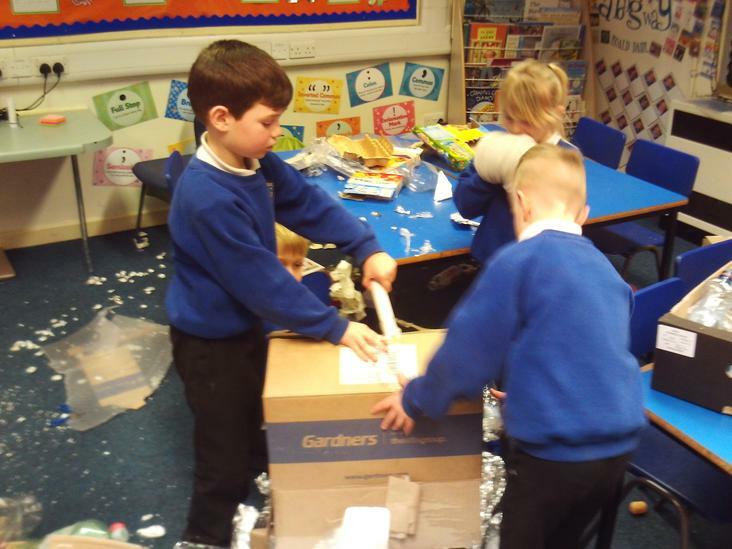 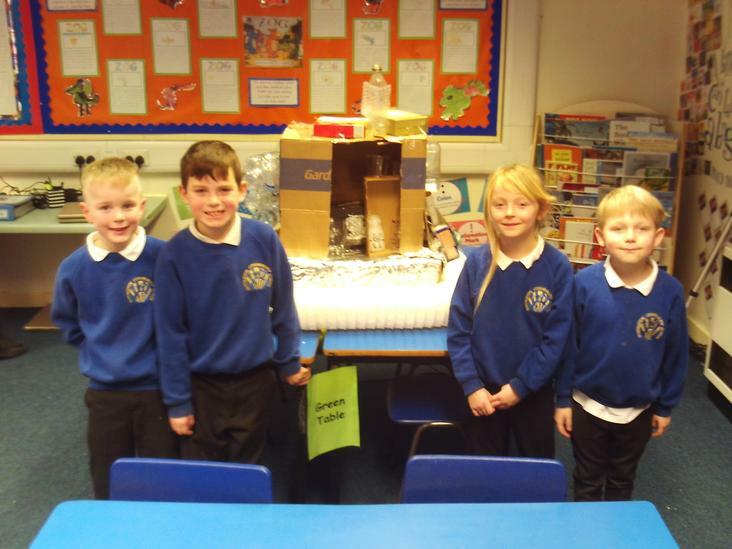 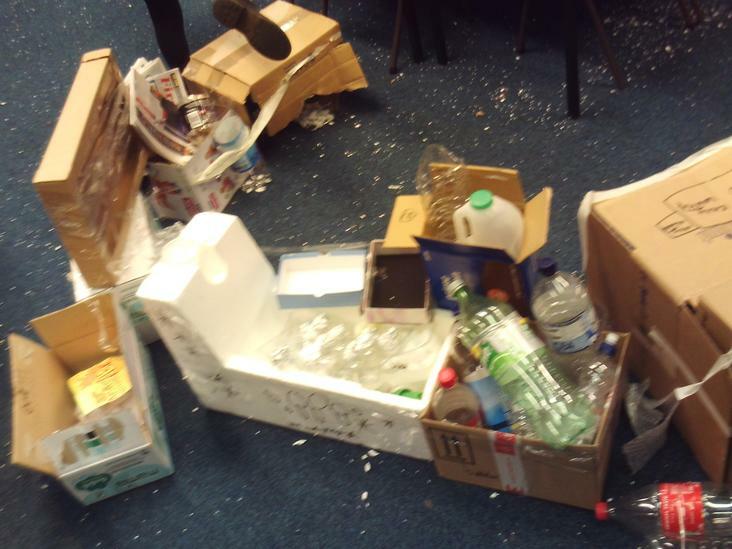 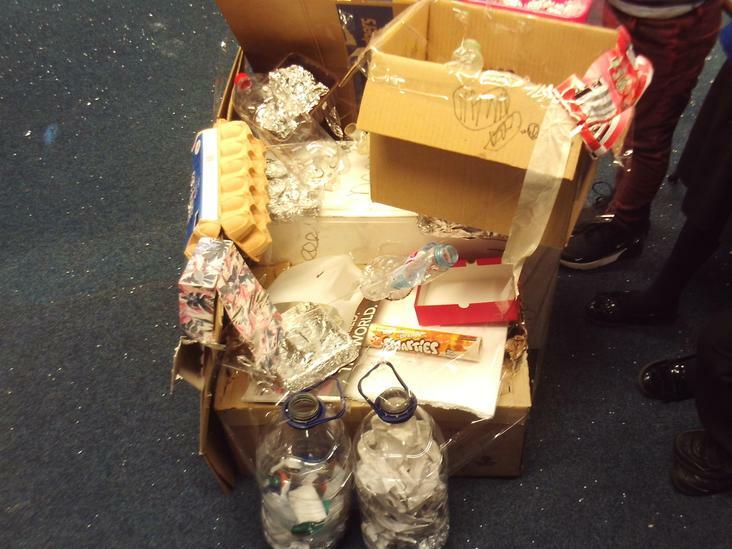 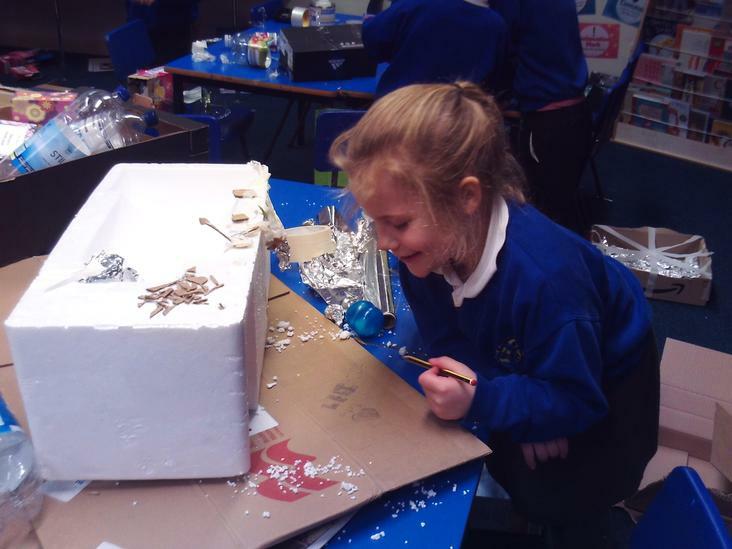 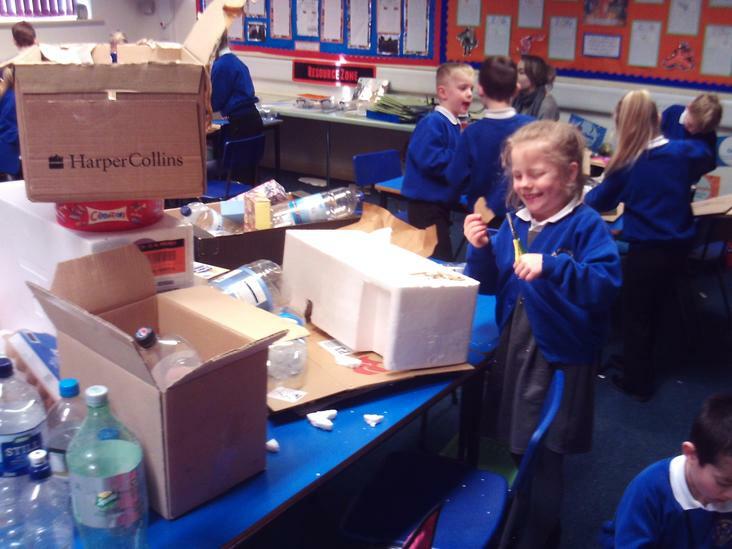 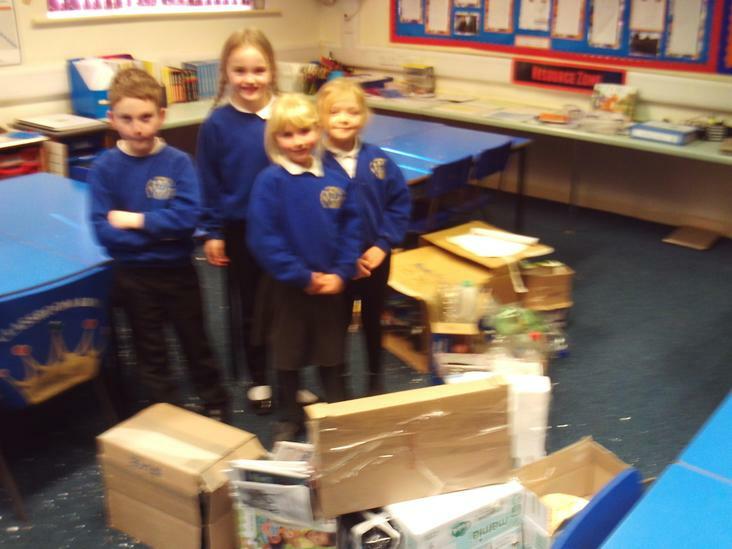 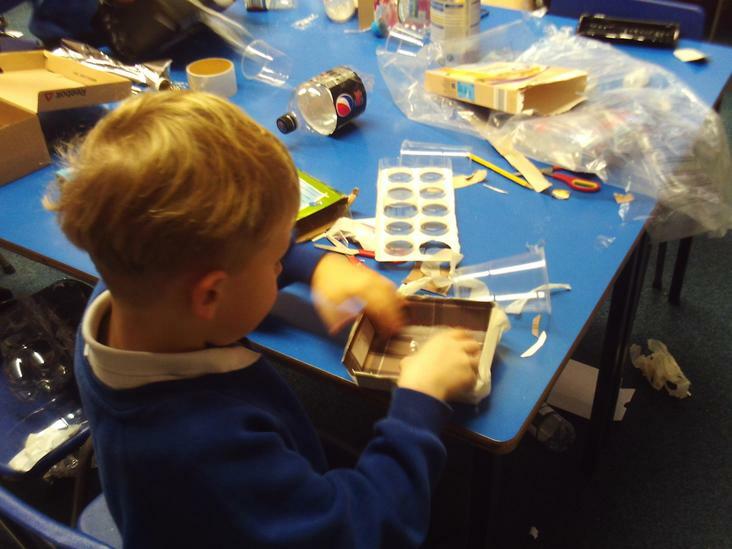 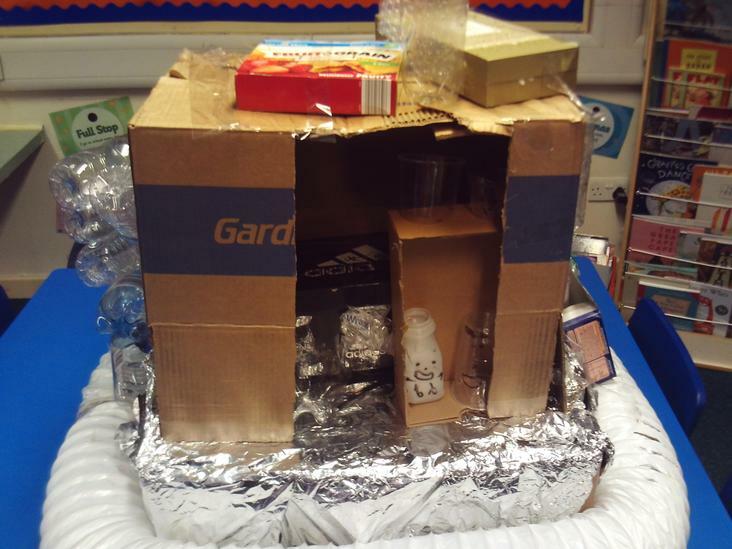 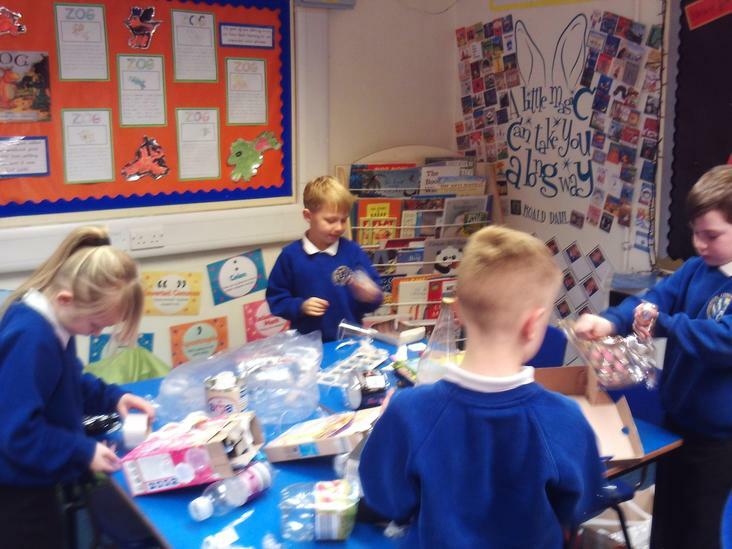 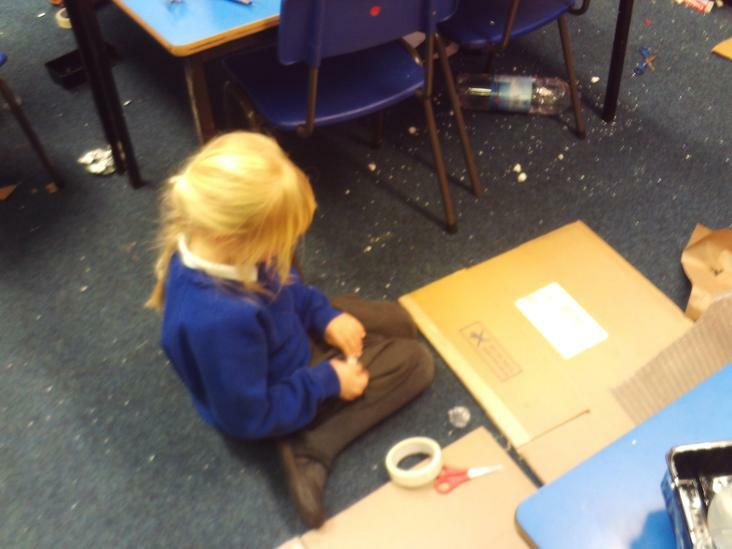 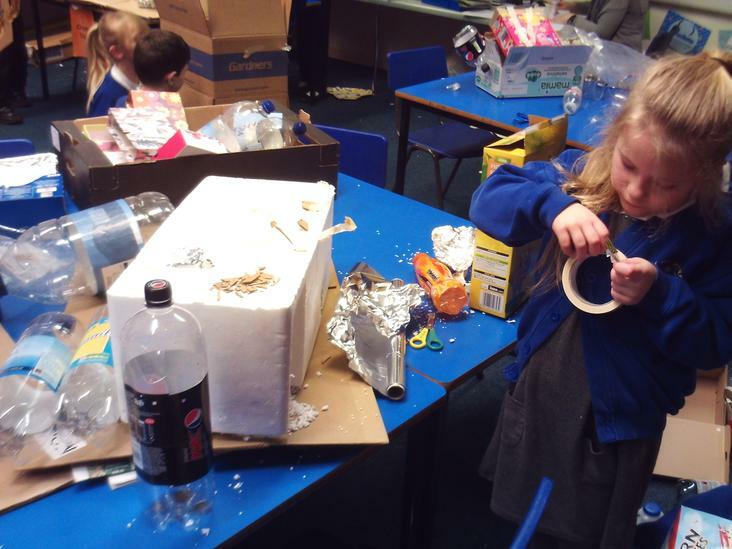 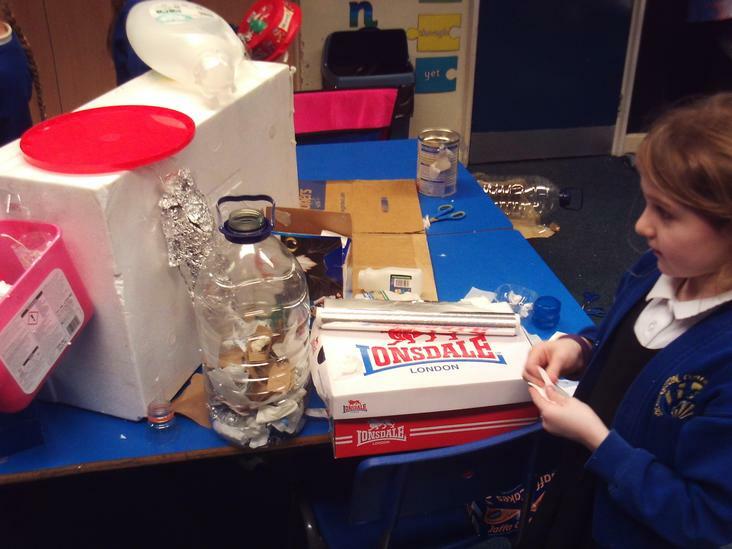 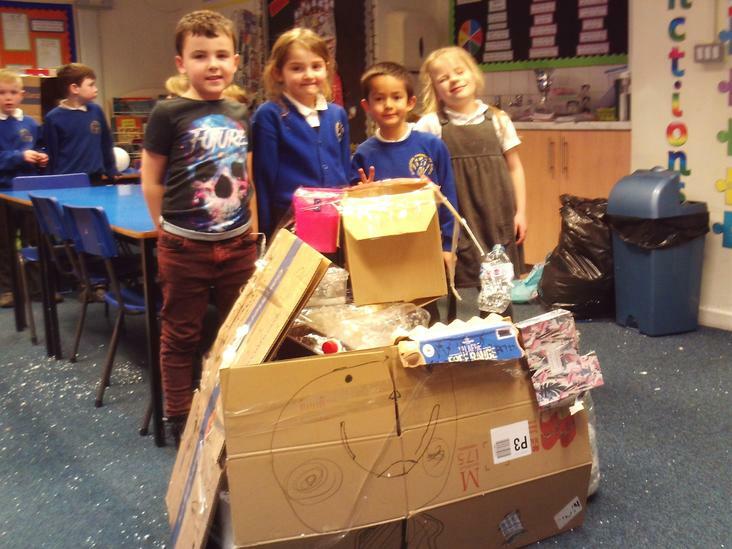 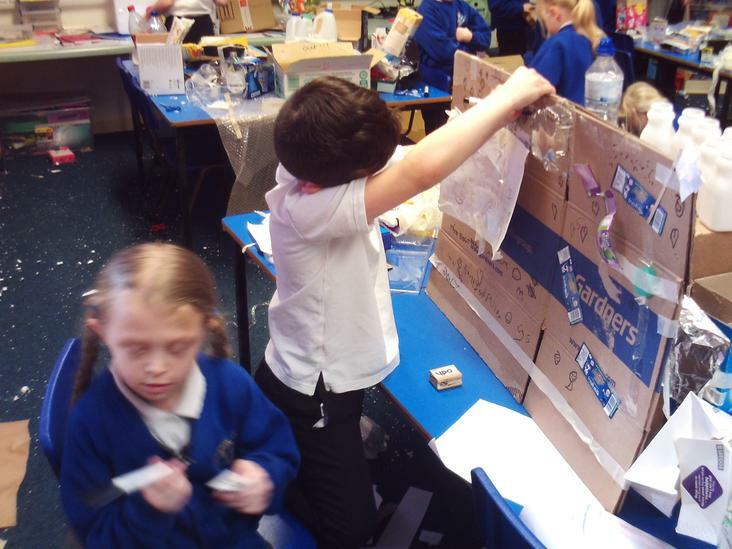 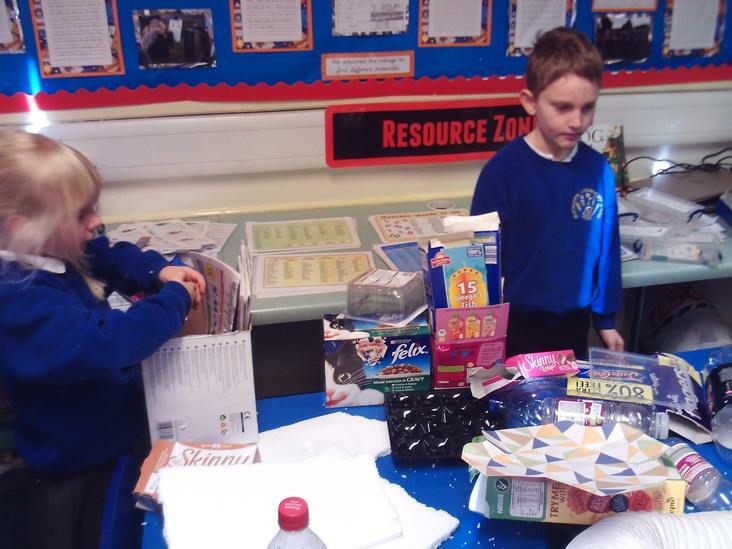 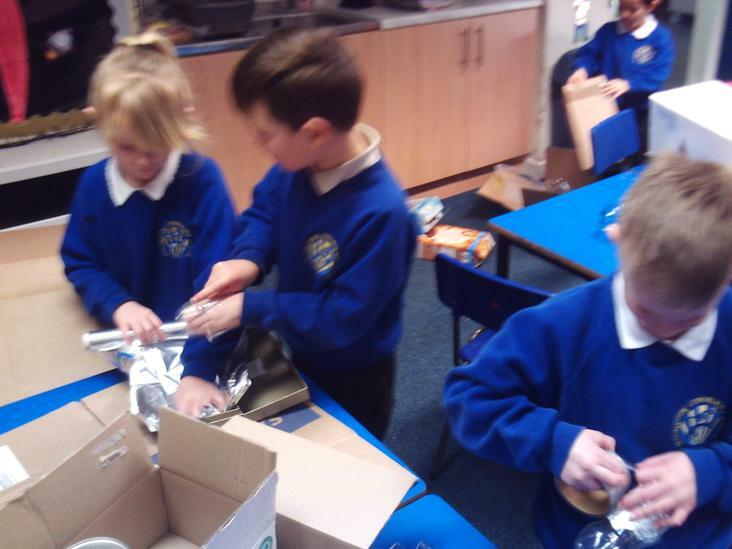 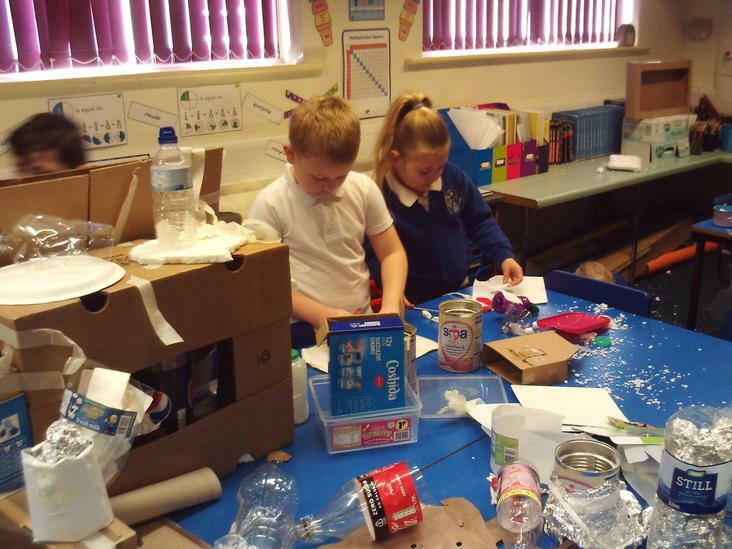 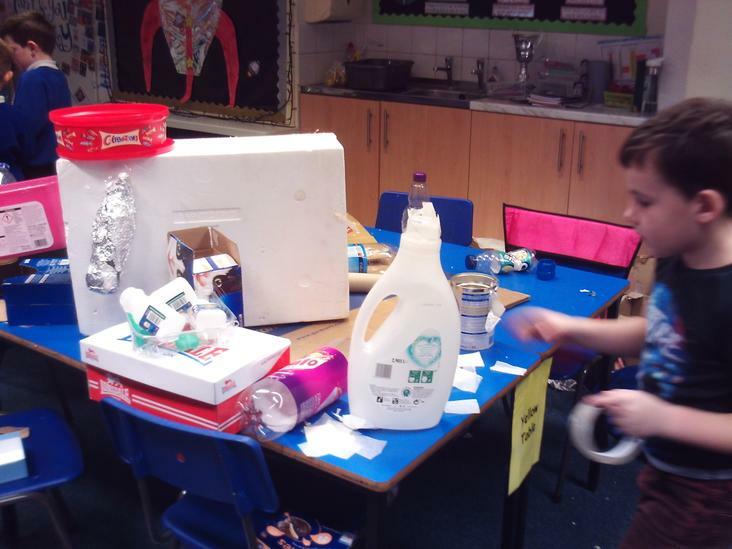 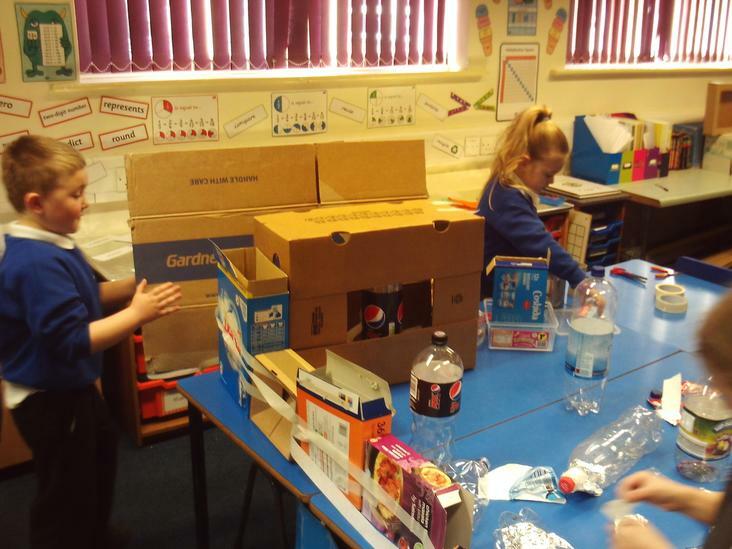 ', the children designed and created these fantastic space stations. 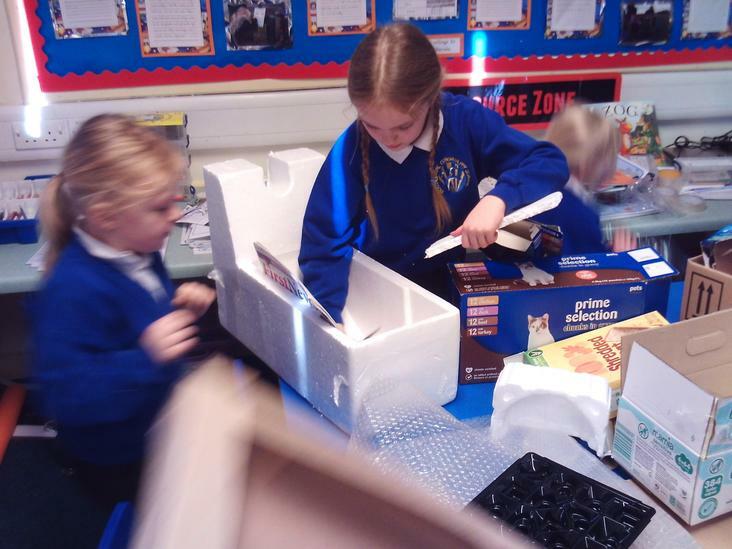 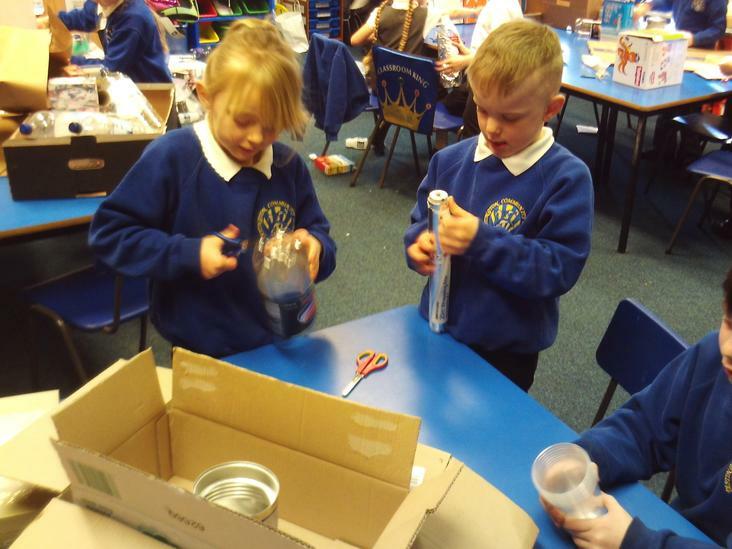 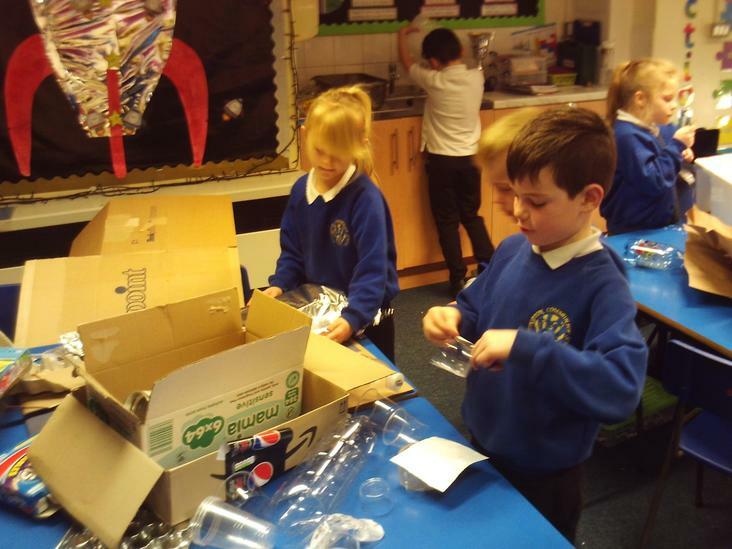 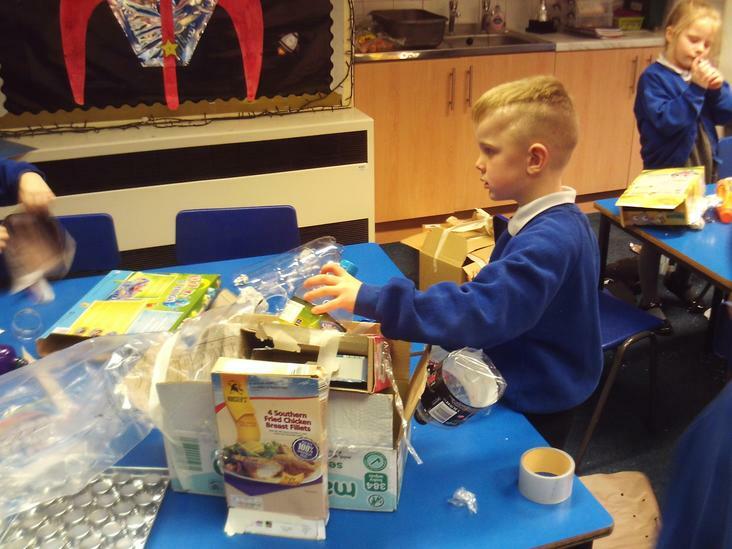 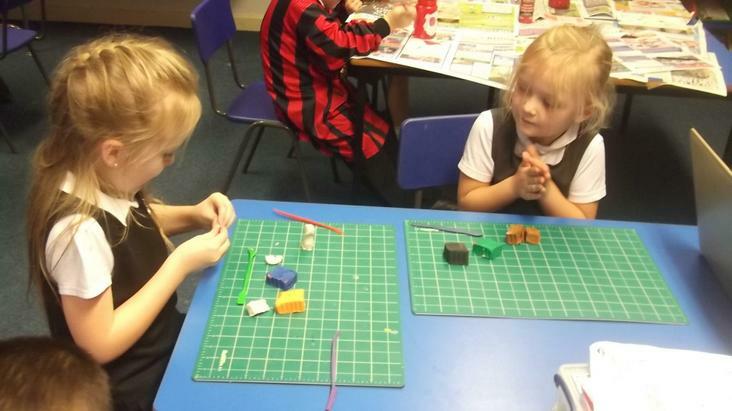 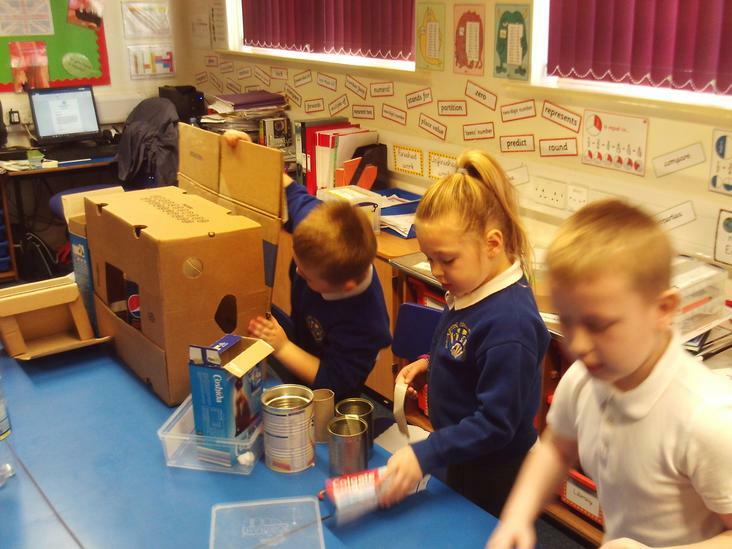 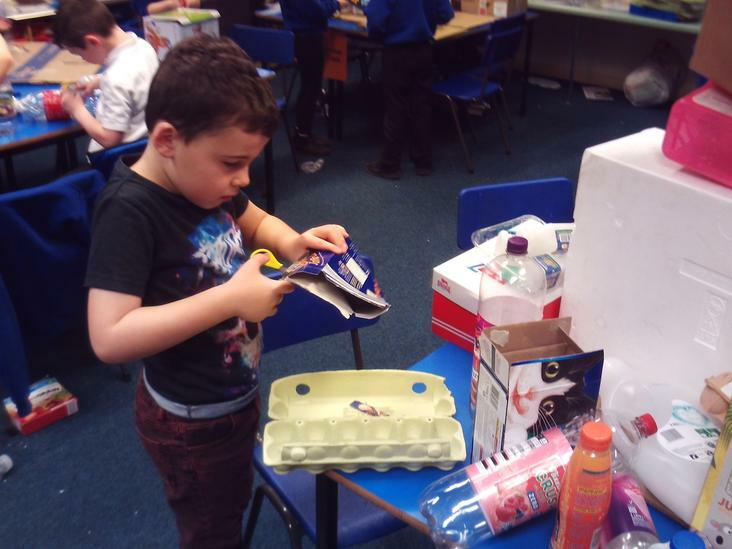 Using their knowledge of different materials that they have gained over the half term they were able to select suitable materials. 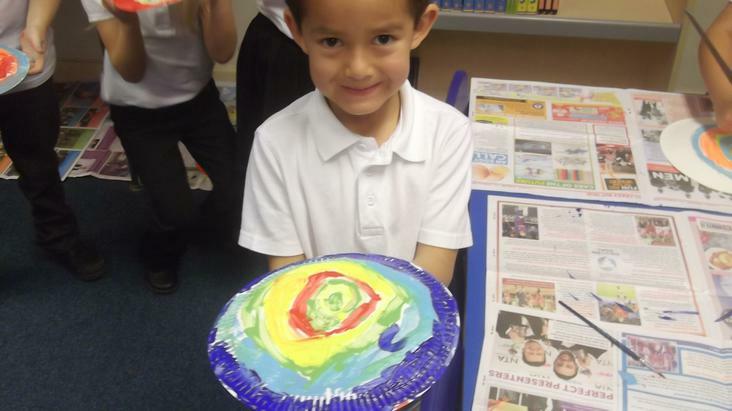 Our topic for the beginning of spring term is 'What do aliens think of earth?' 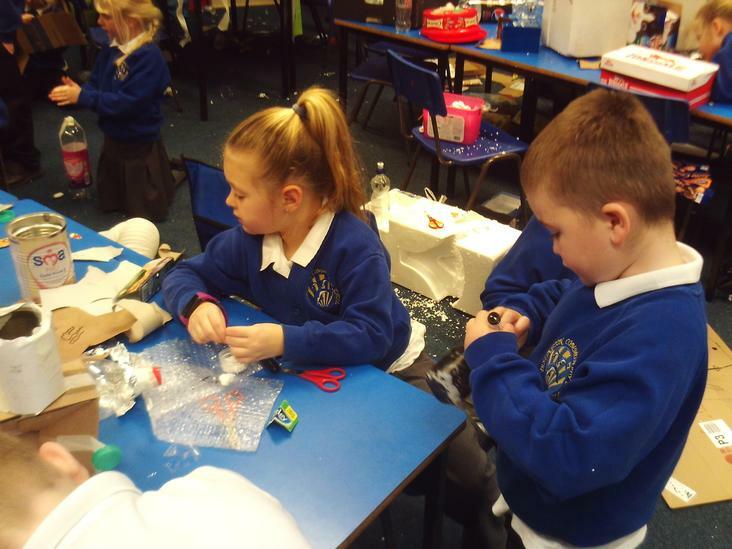 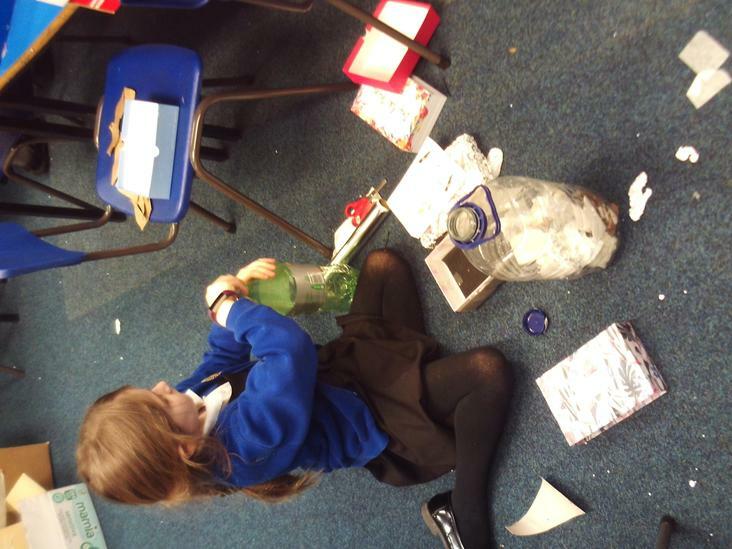 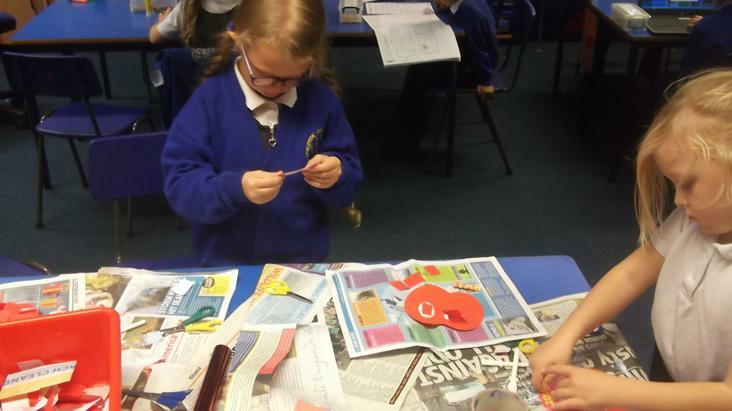 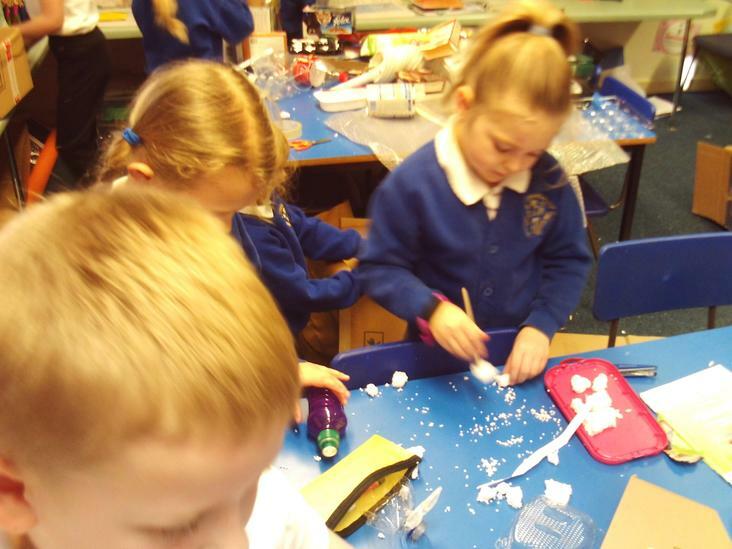 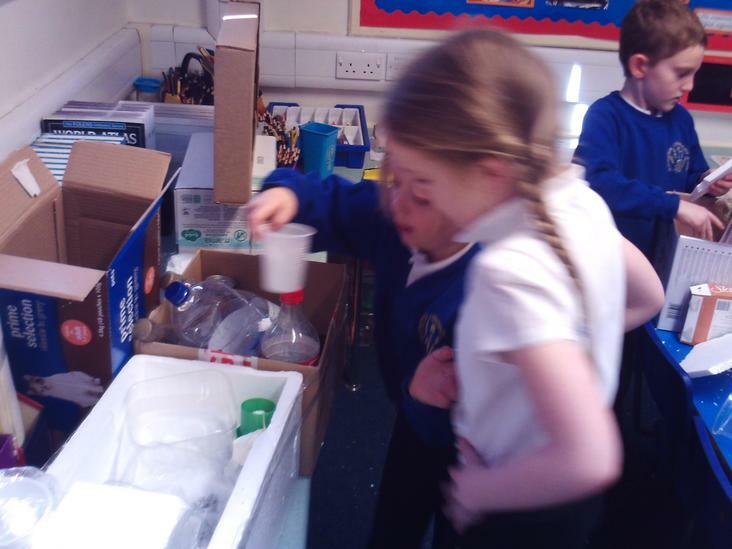 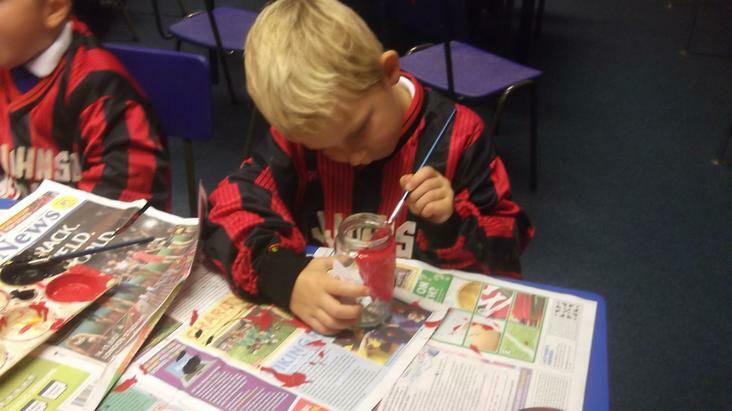 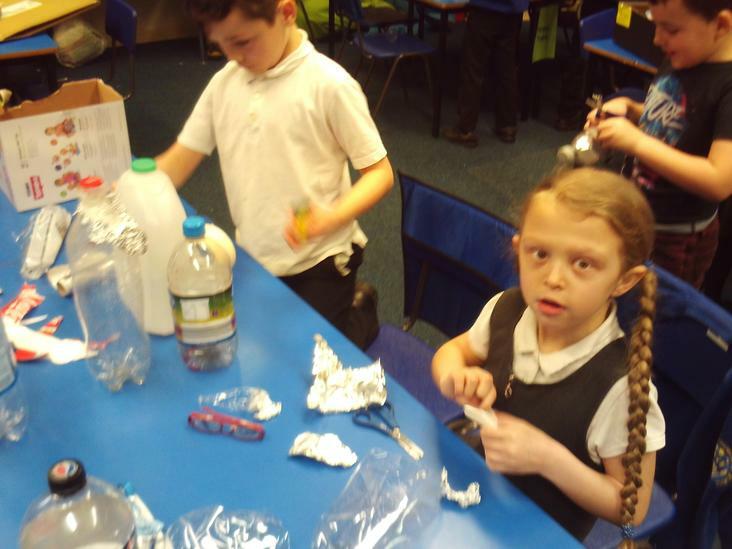 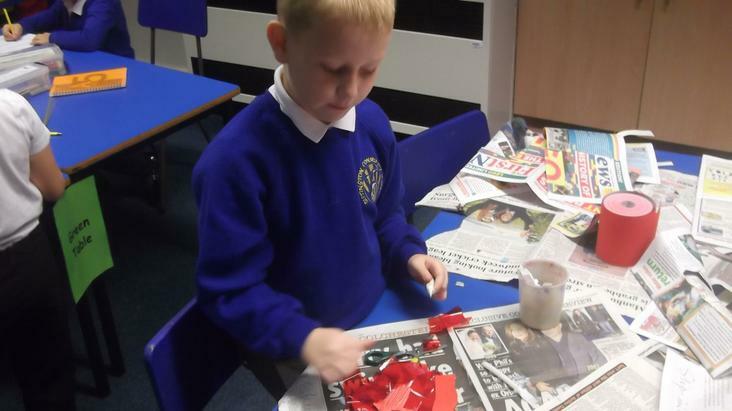 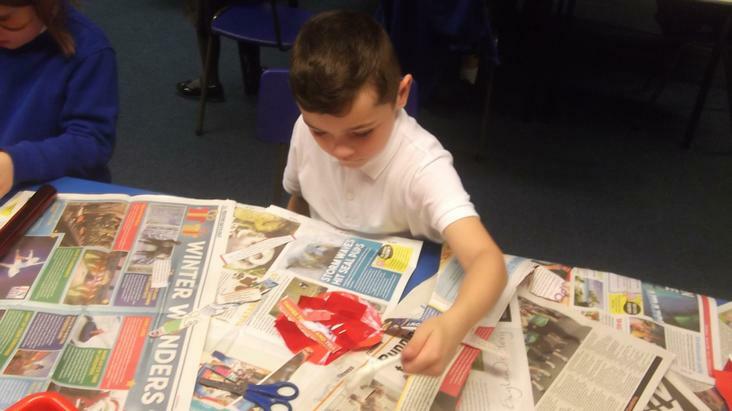 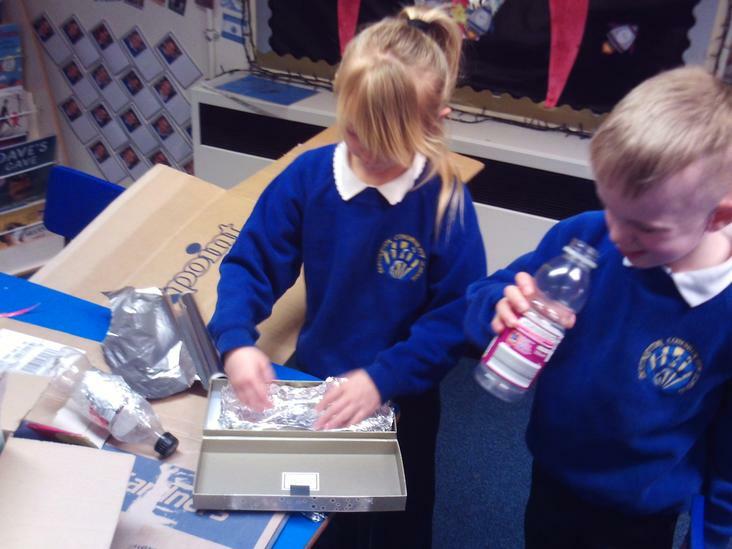 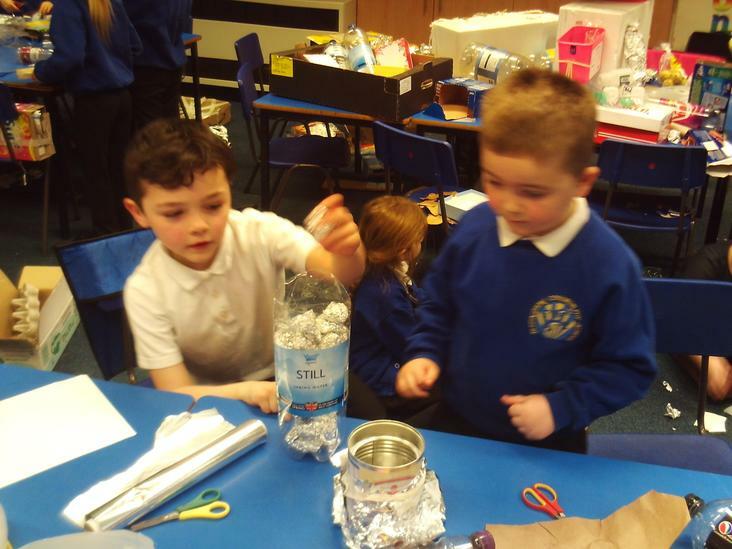 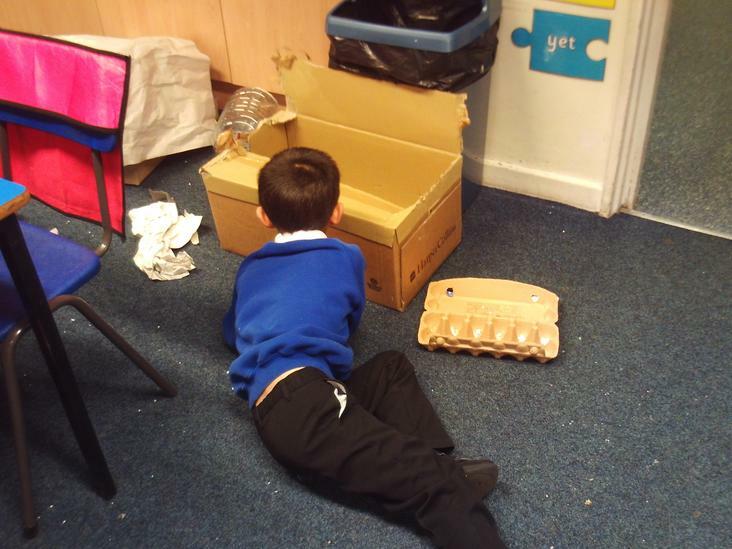 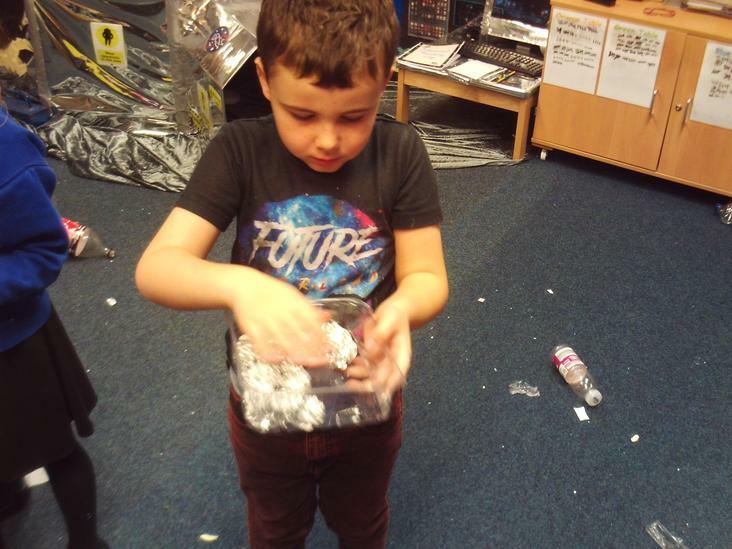 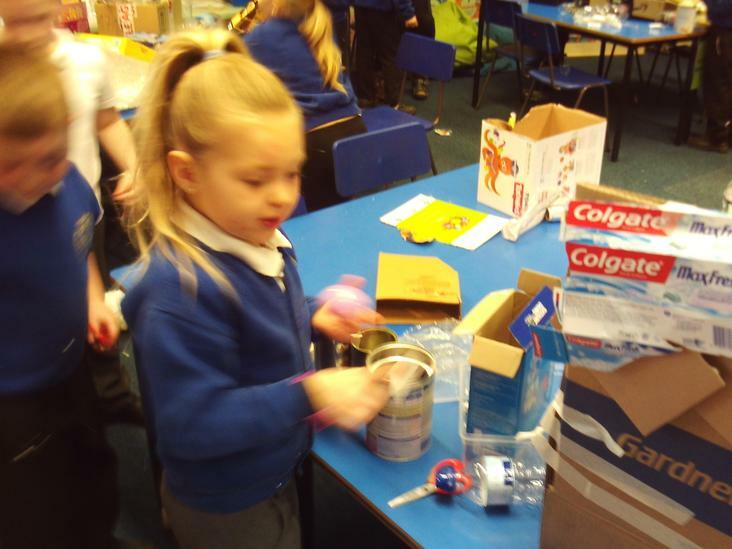 As part of this topic through our science work we are learning all about different materials and their uses. 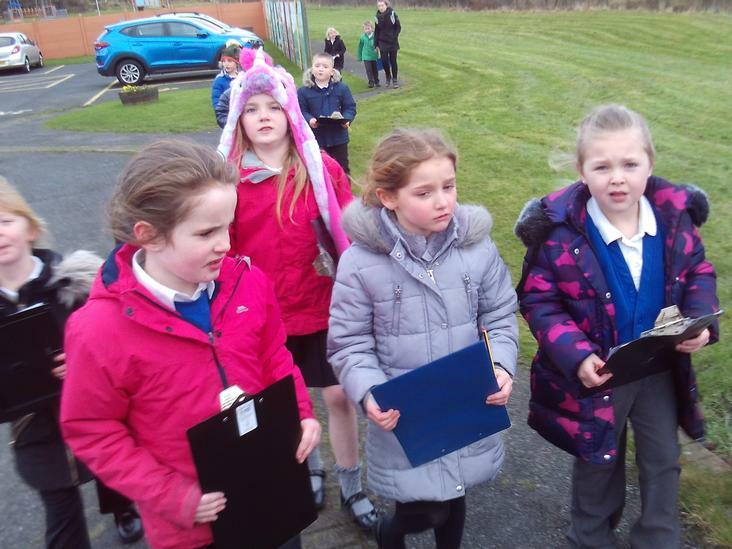 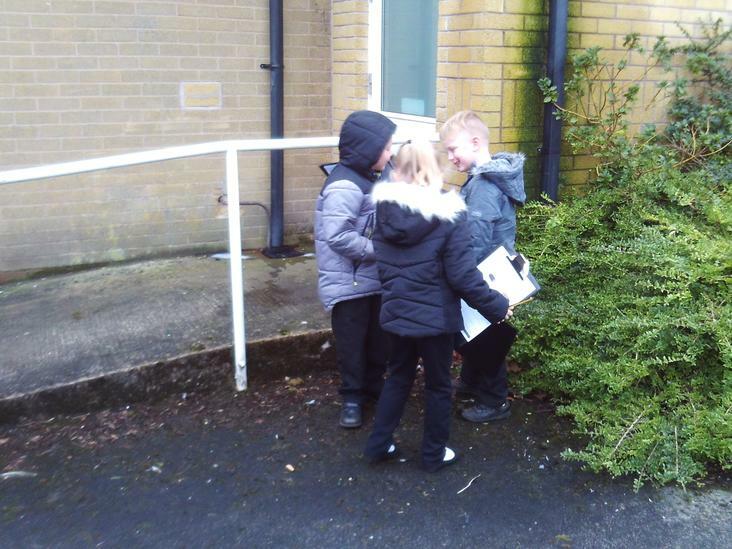 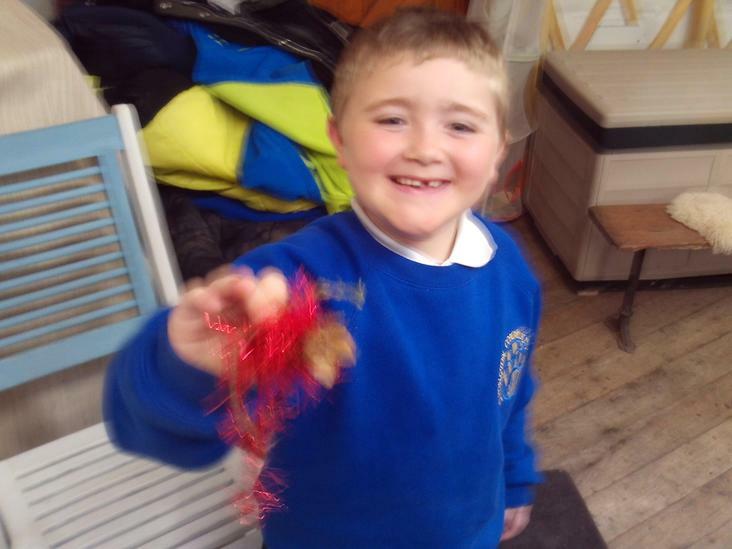 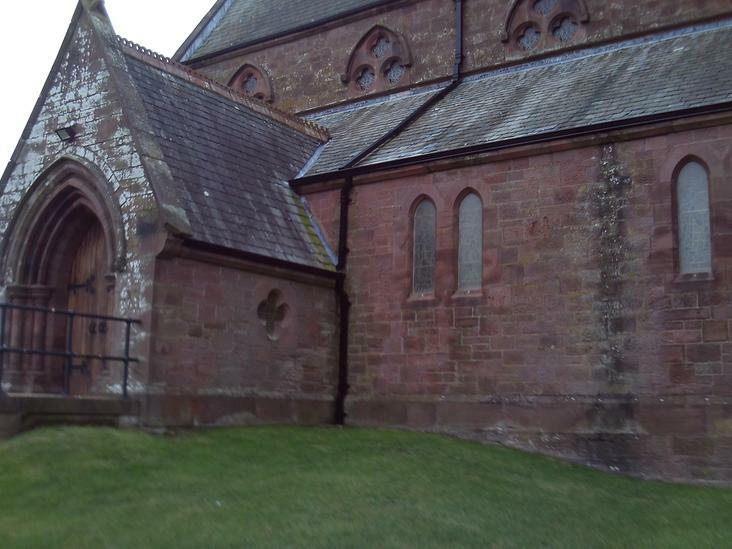 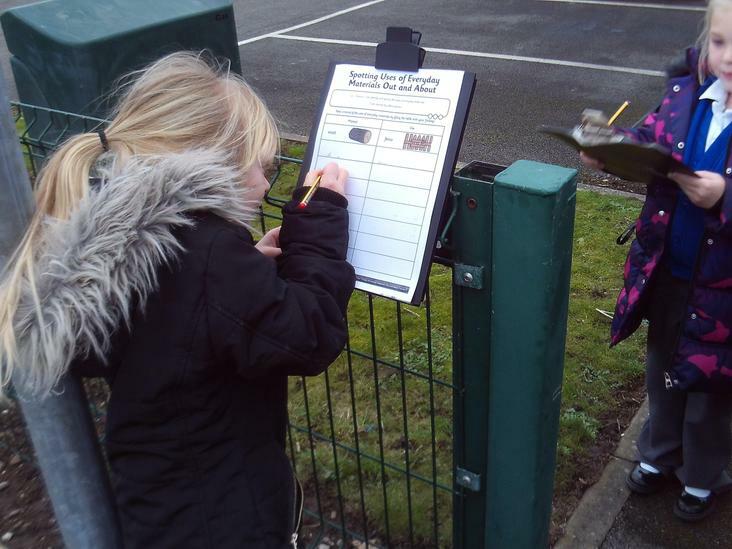 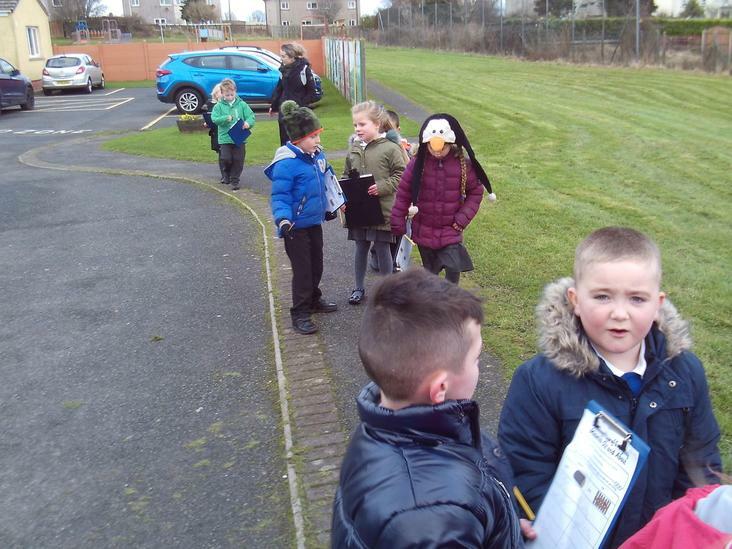 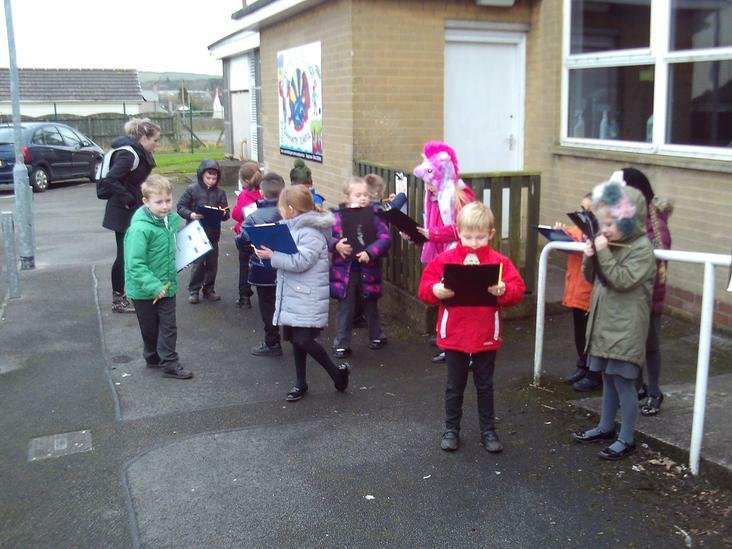 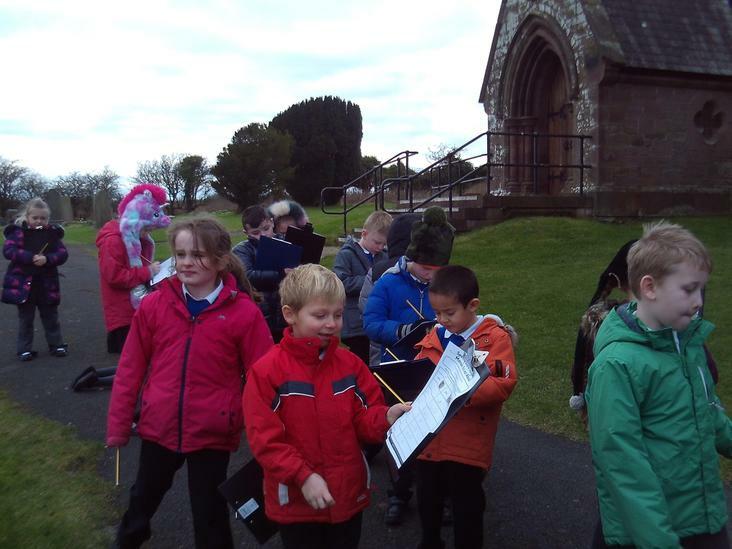 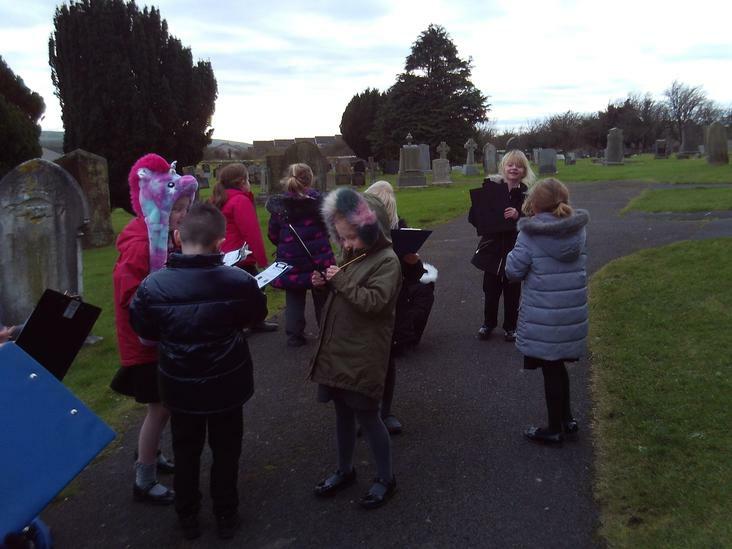 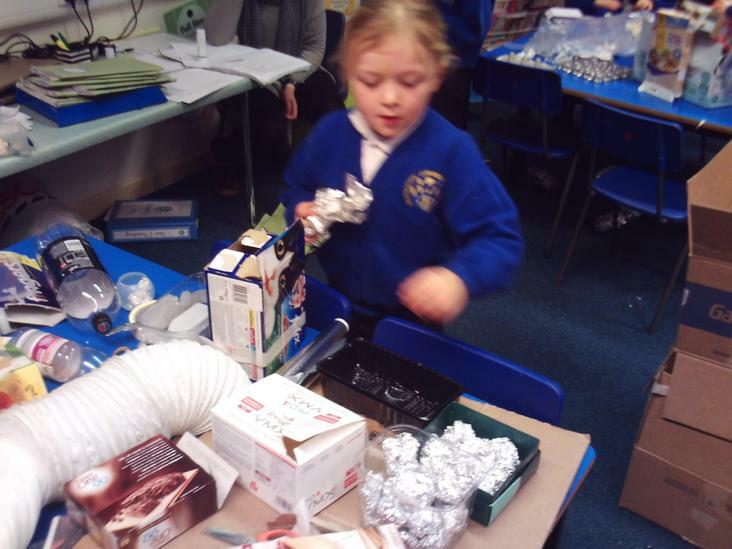 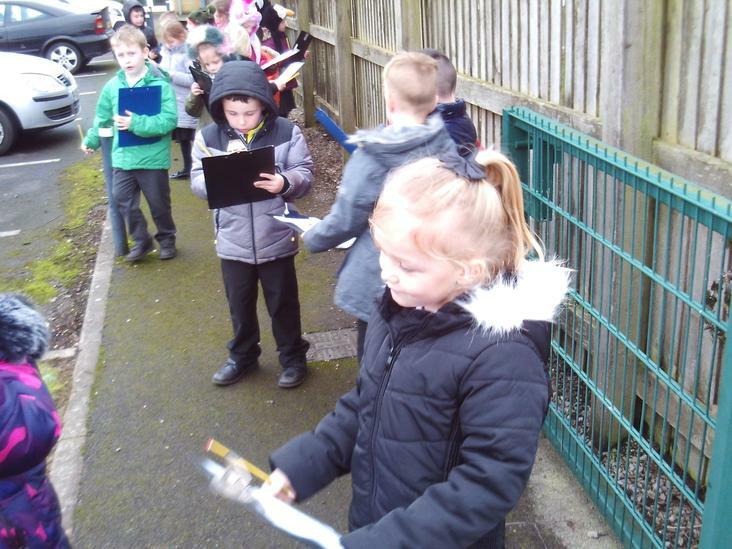 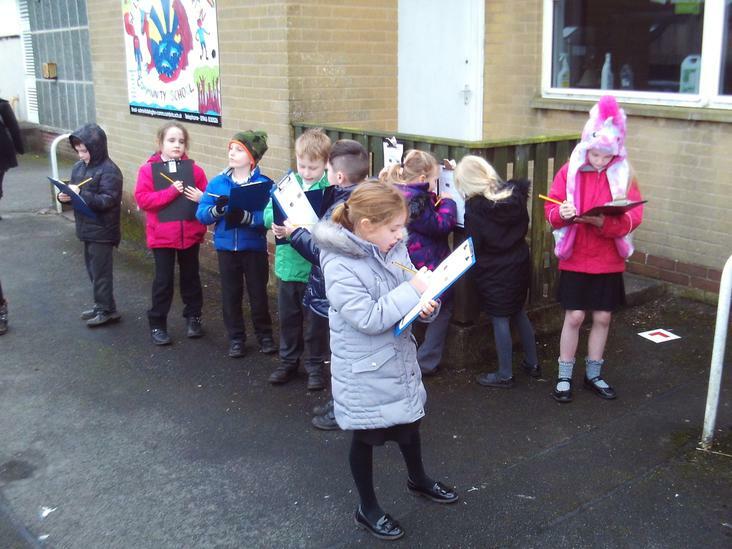 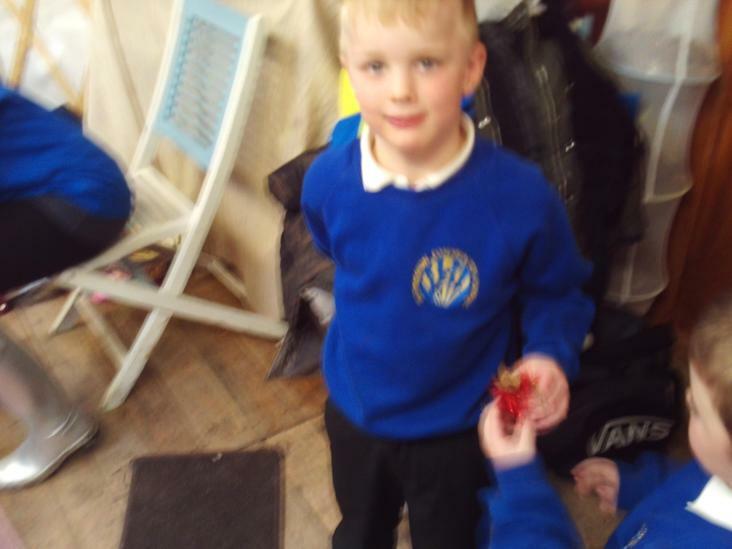 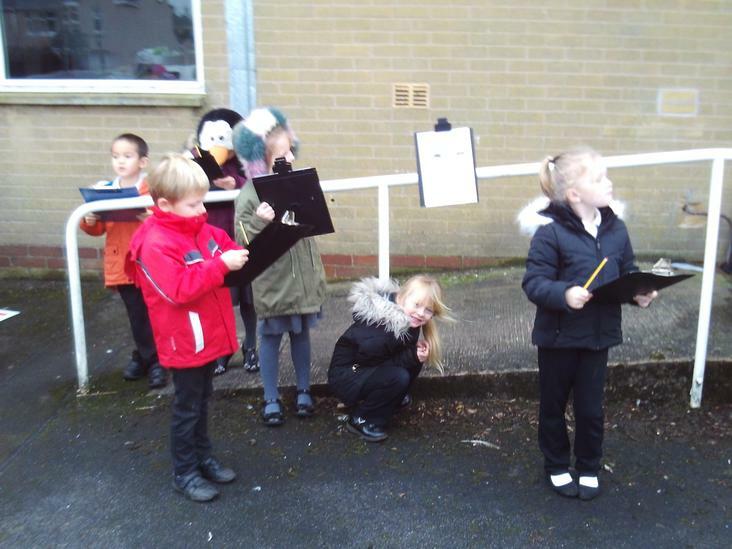 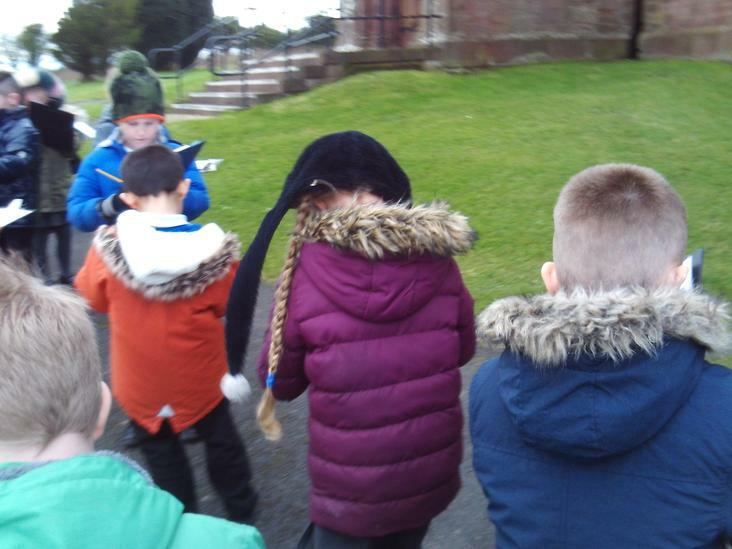 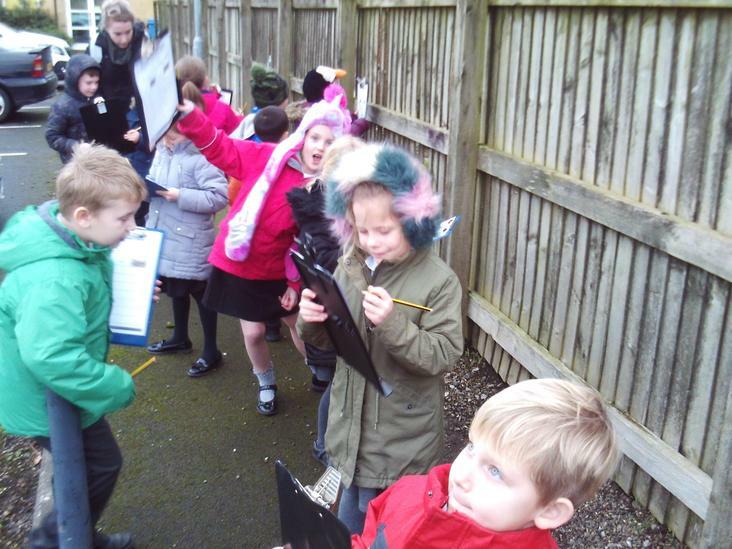 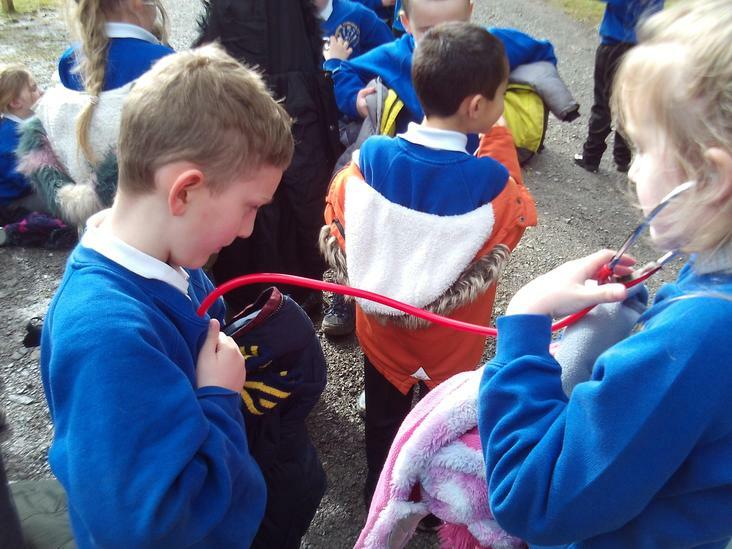 We explored the local area to find different materials in Distington. 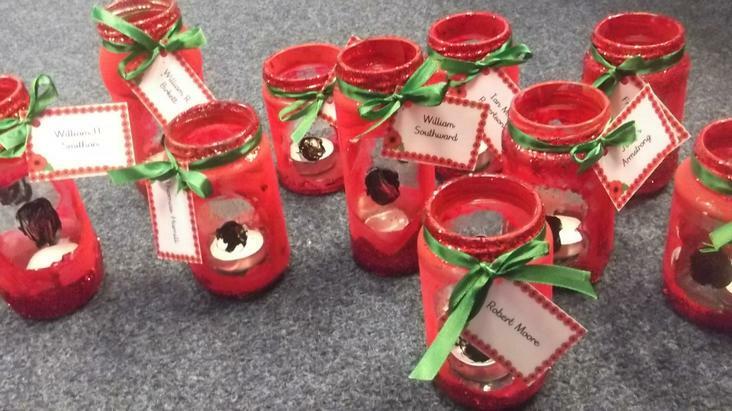 As part of our celebrations to mark the end of World War One we have created these commemorative poppy jars in honour of soldiers who died during the war. 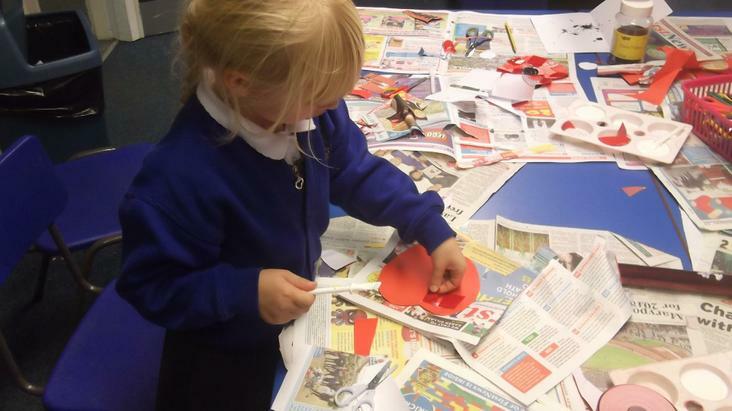 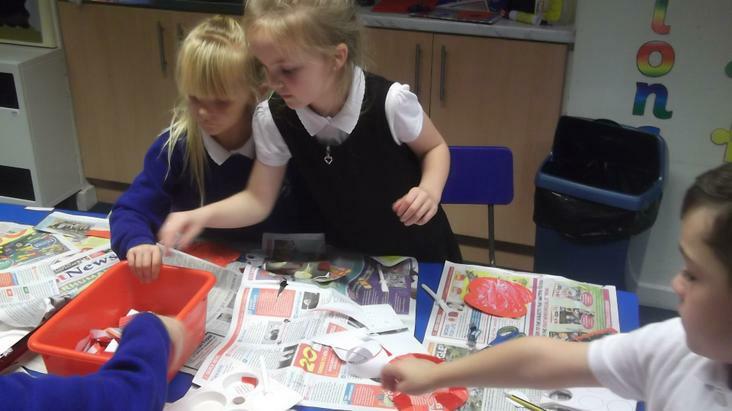 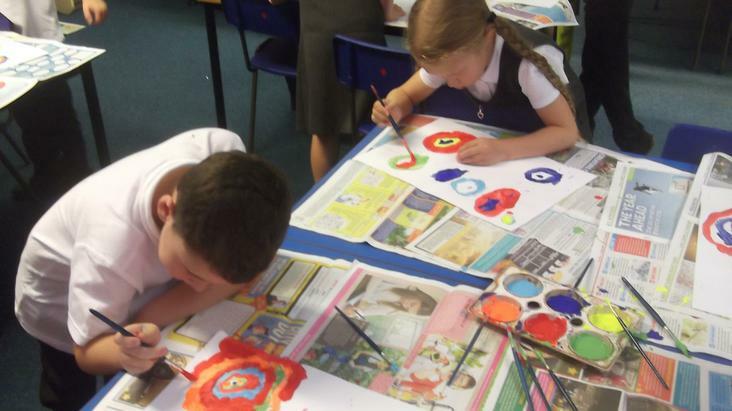 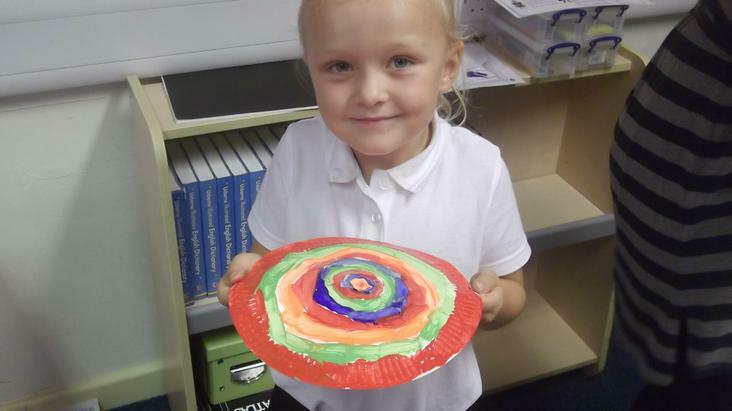 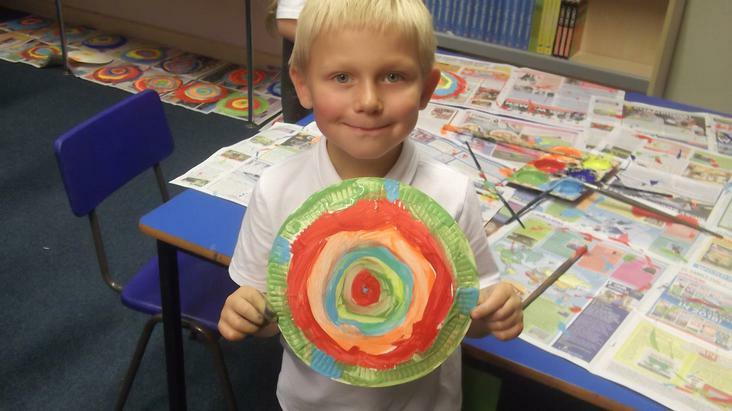 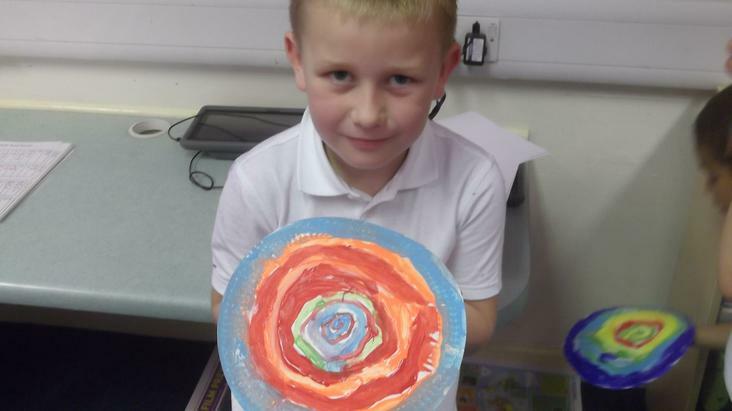 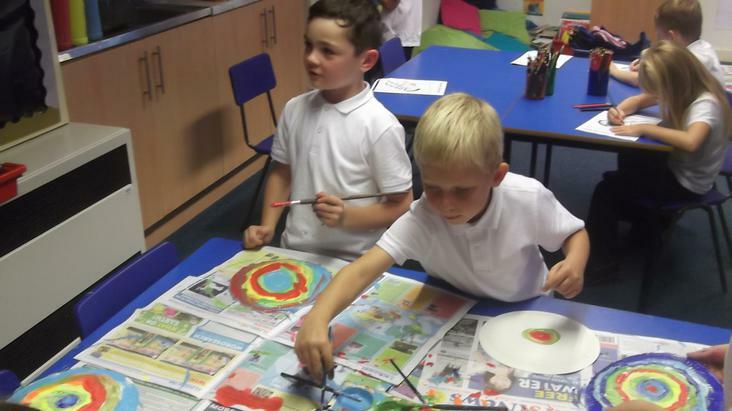 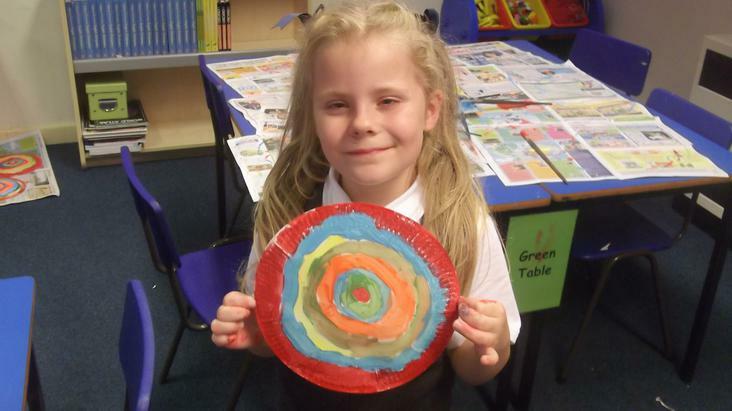 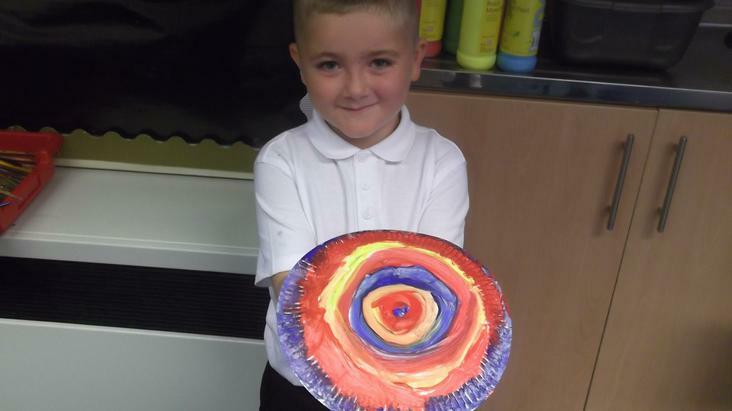 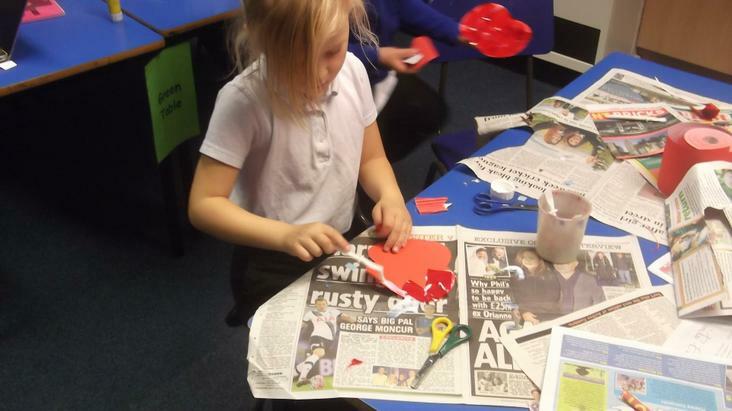 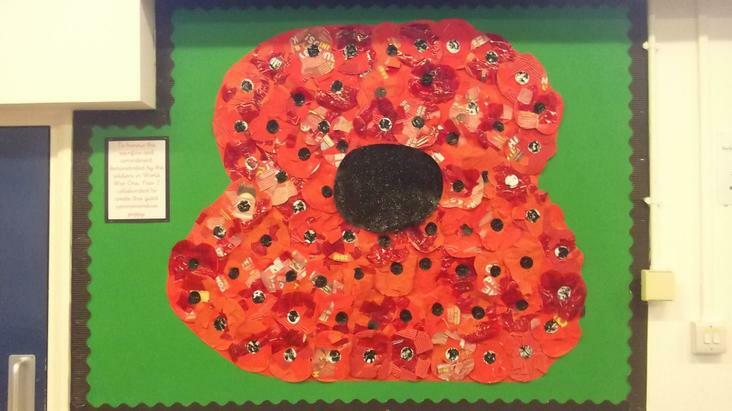 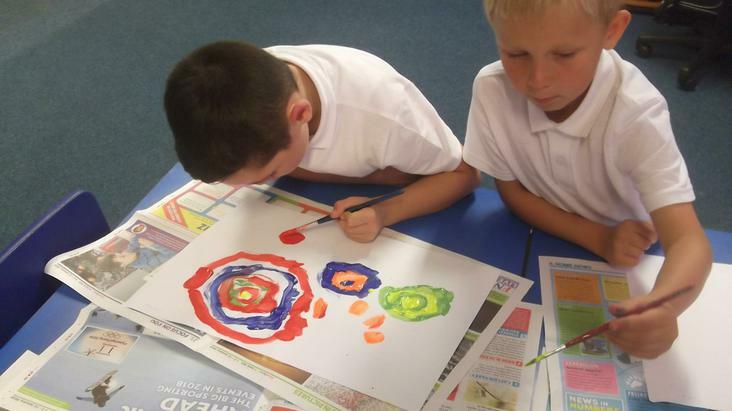 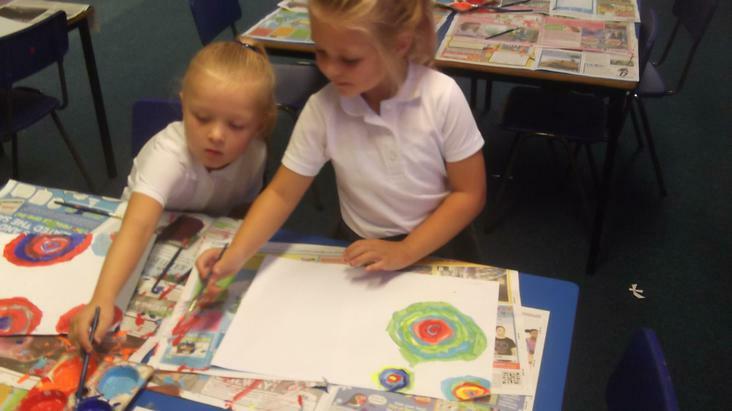 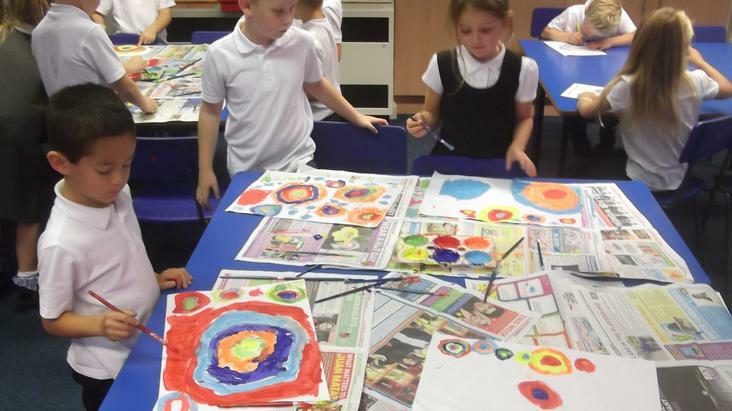 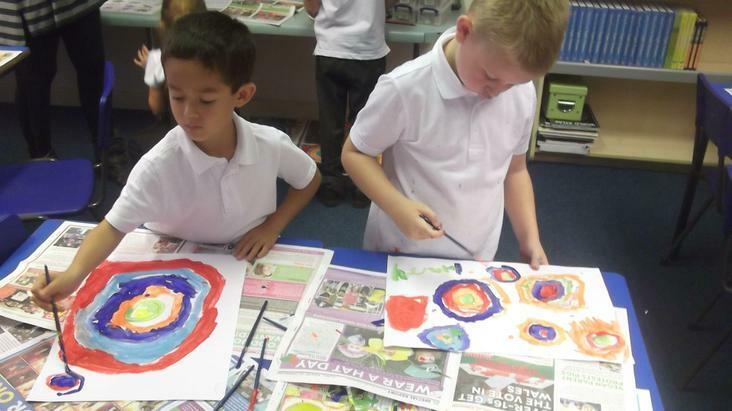 We also worked together to create a large poppy collage. 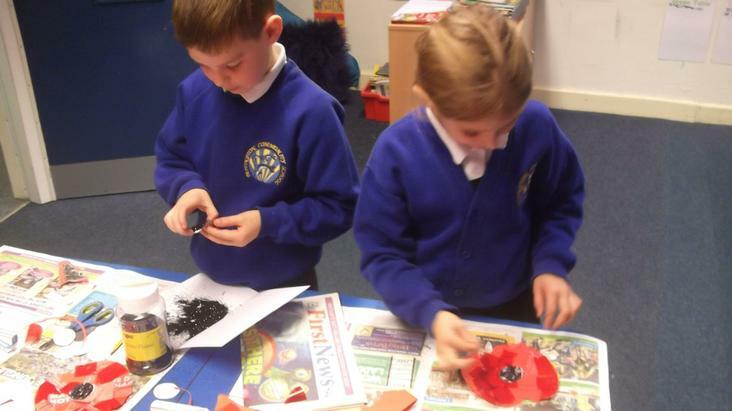 We have been learning all about the history related to the war and why it is a significant event in our history. 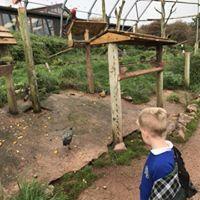 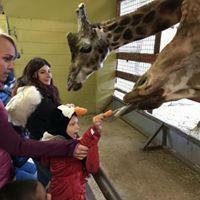 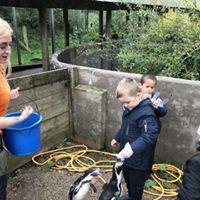 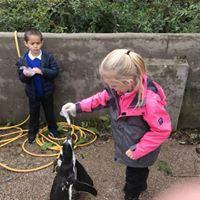 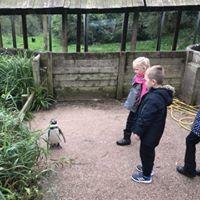 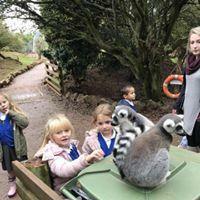 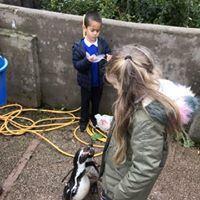 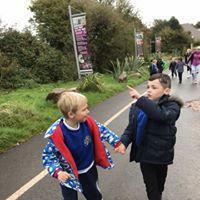 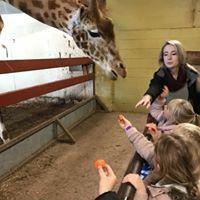 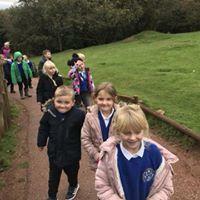 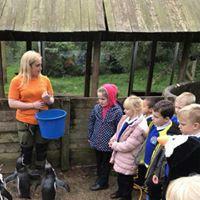 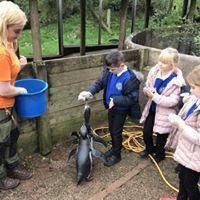 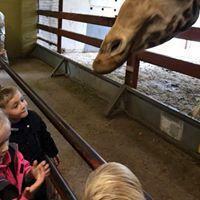 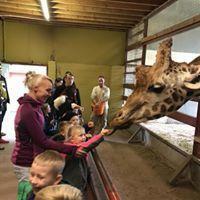 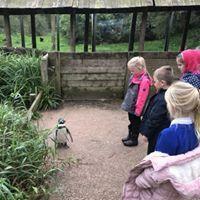 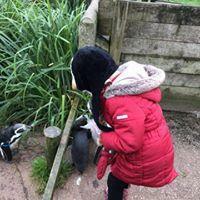 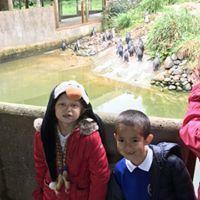 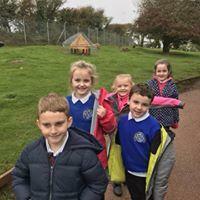 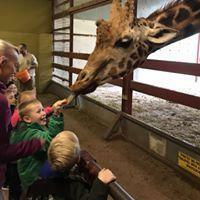 As part of our topic we visited South Lakes Safari Zoo. 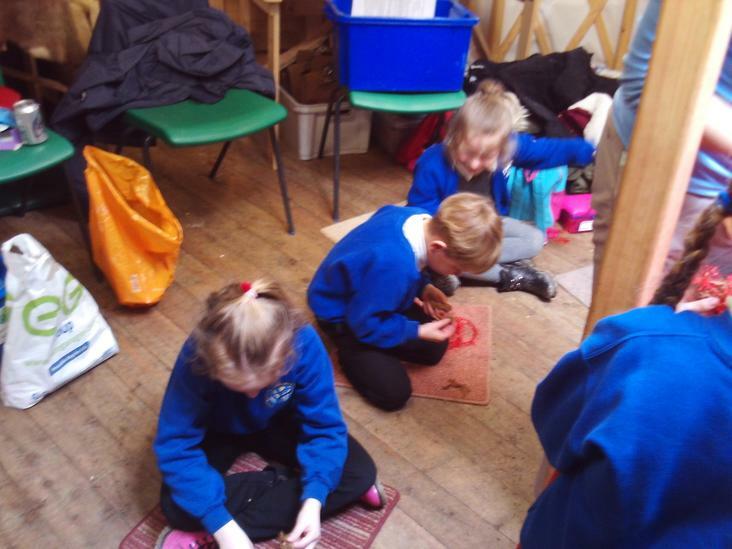 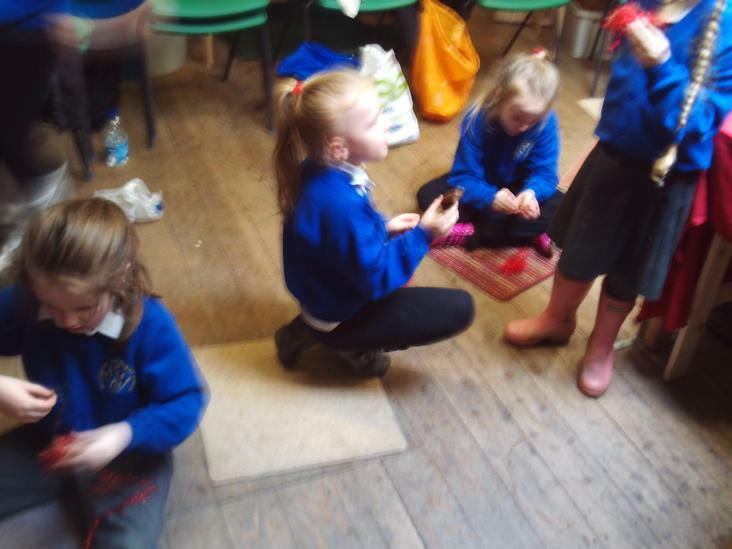 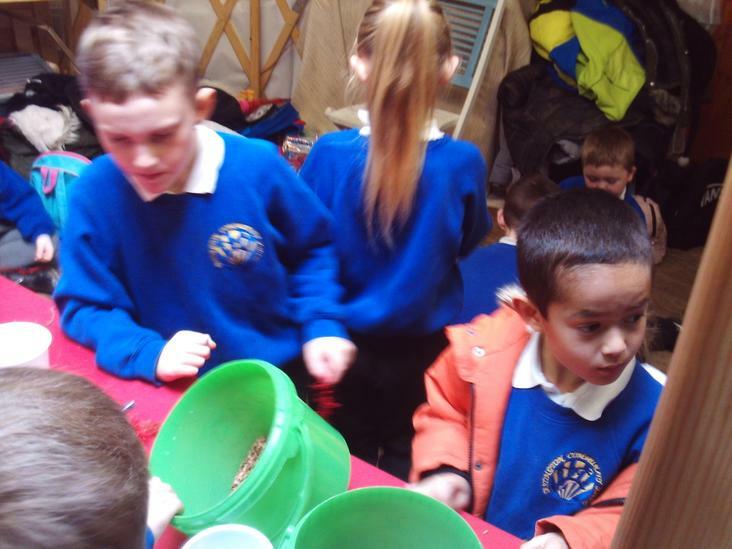 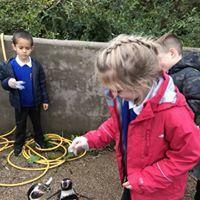 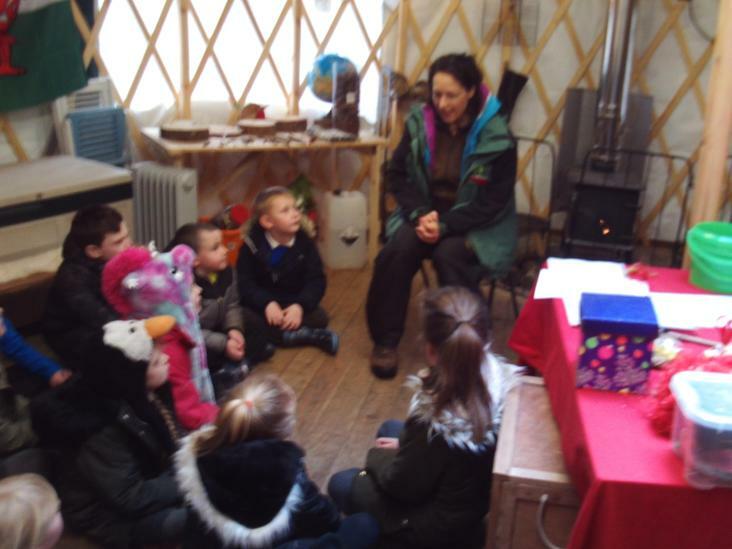 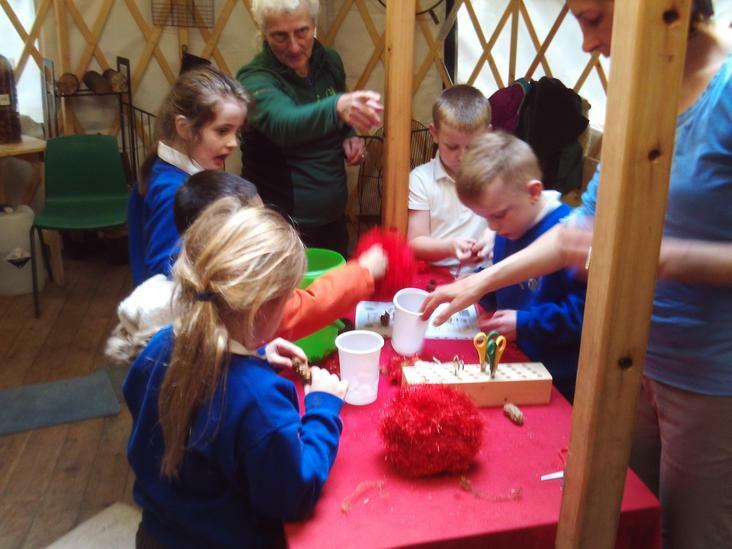 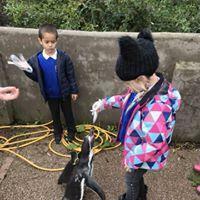 All of the children had a fantastic time and were able to develop their knowledge and understanding of different animals. 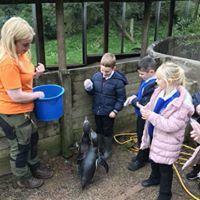 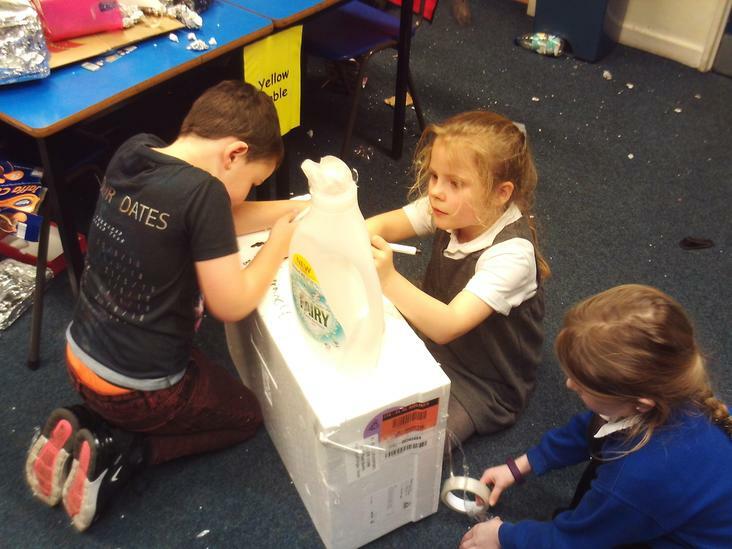 This half term we have been getting ready for our trip to the zoo. 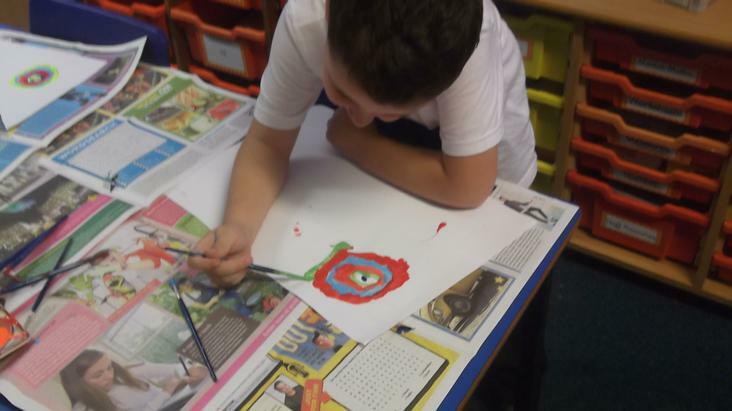 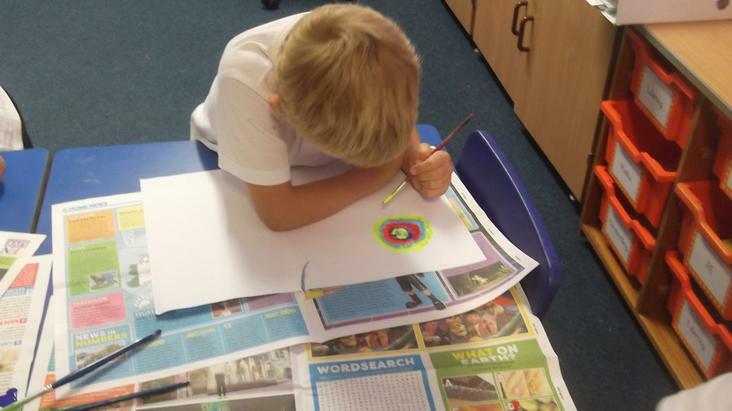 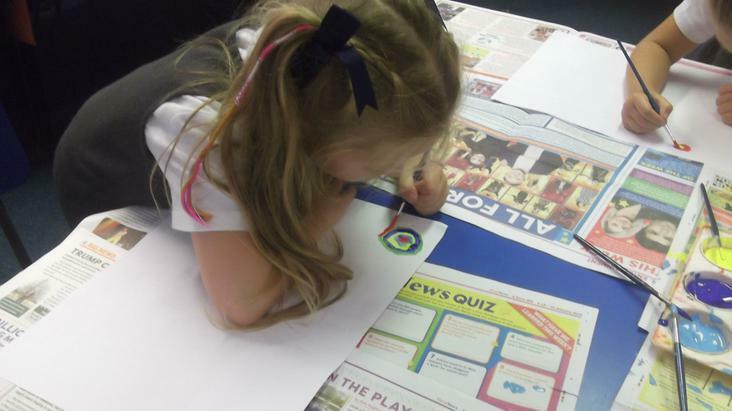 The children each completed a design plan for their chosen animal. 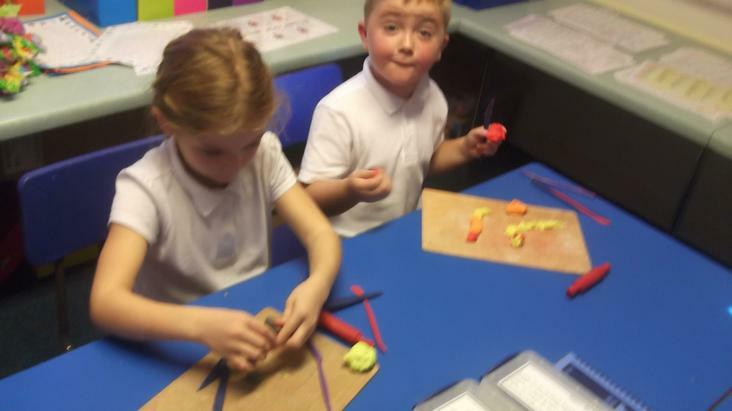 They planned out their design, their aim, what they may need to make their clay animal. 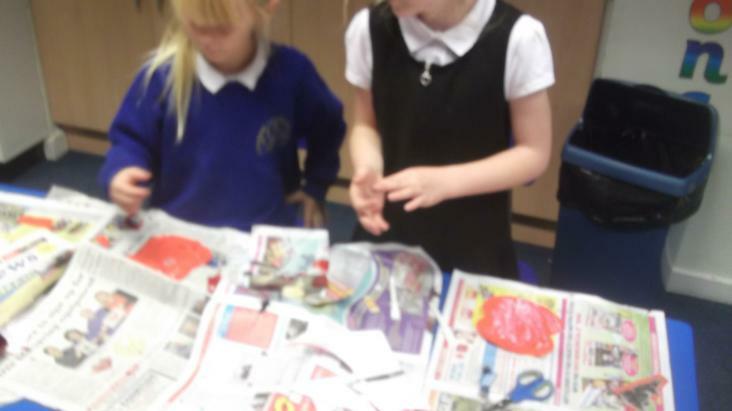 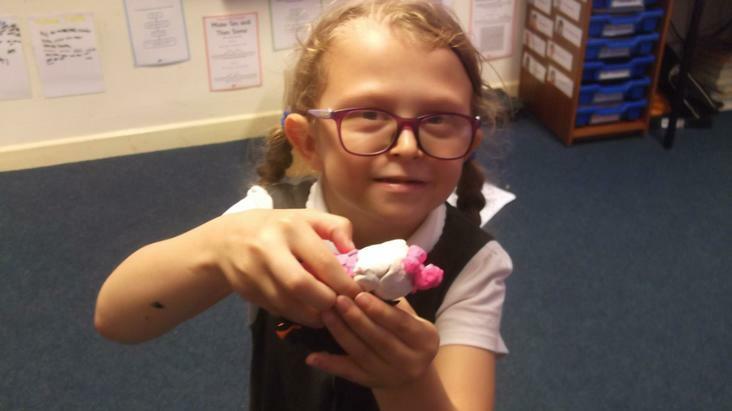 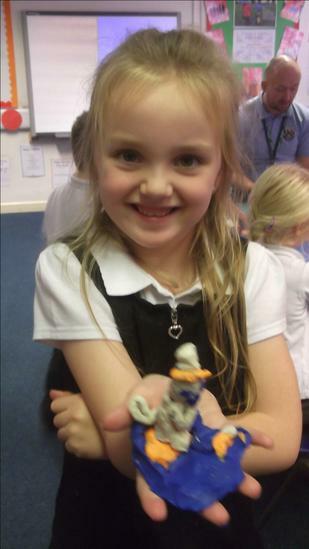 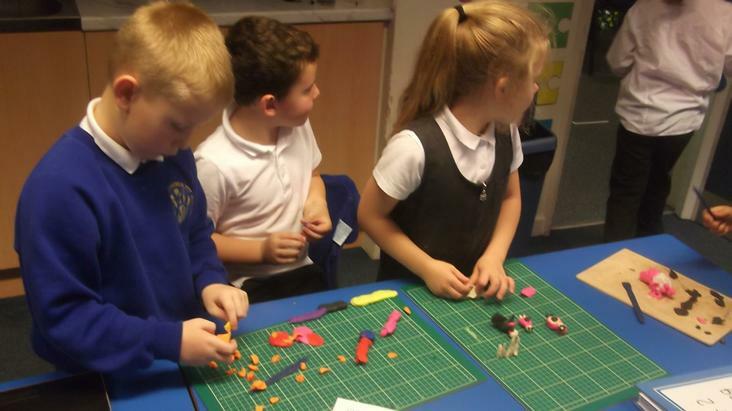 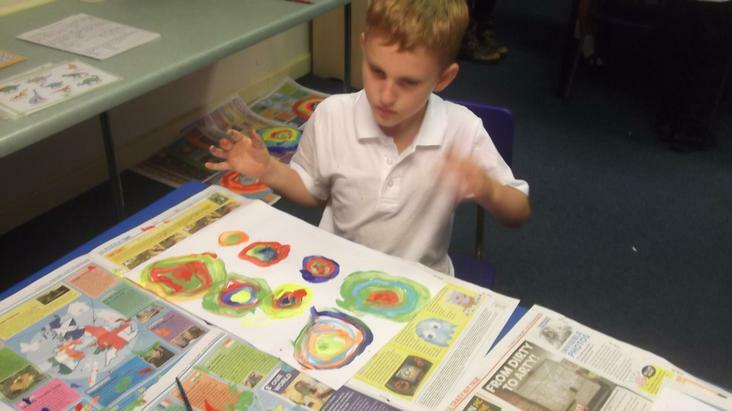 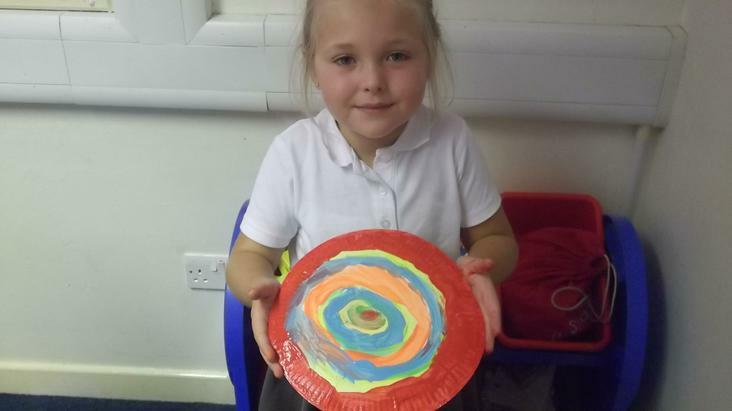 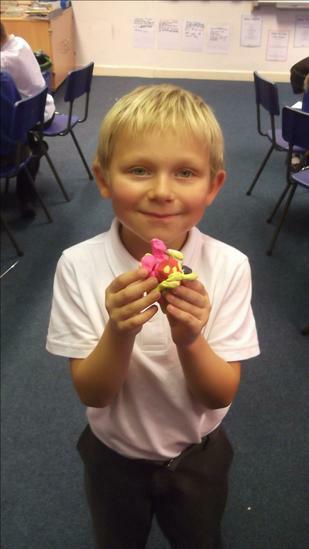 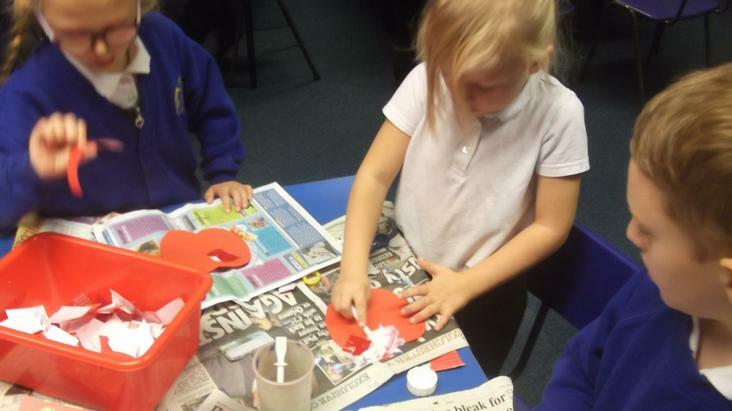 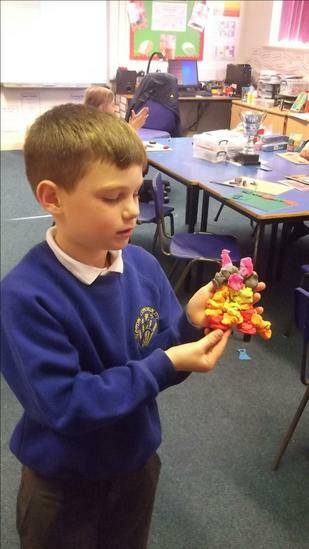 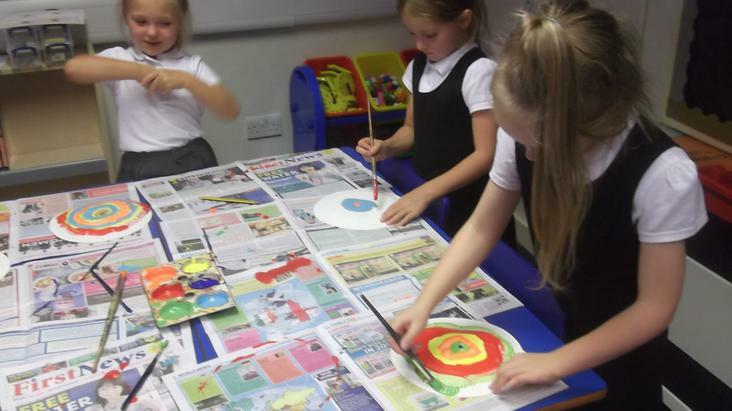 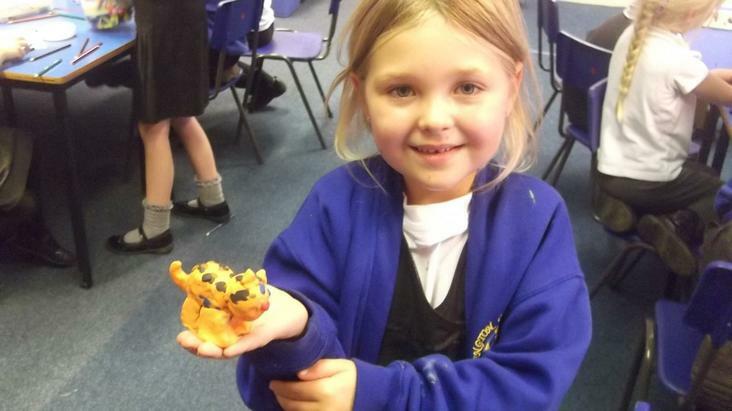 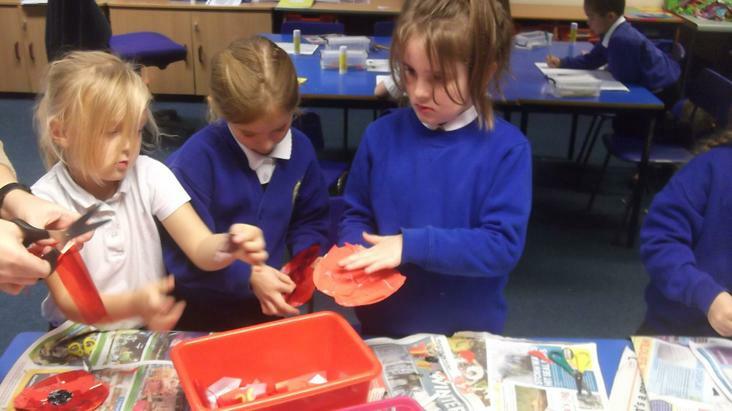 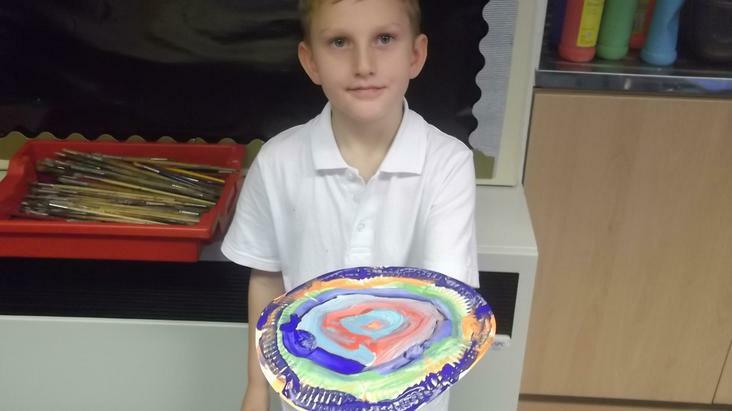 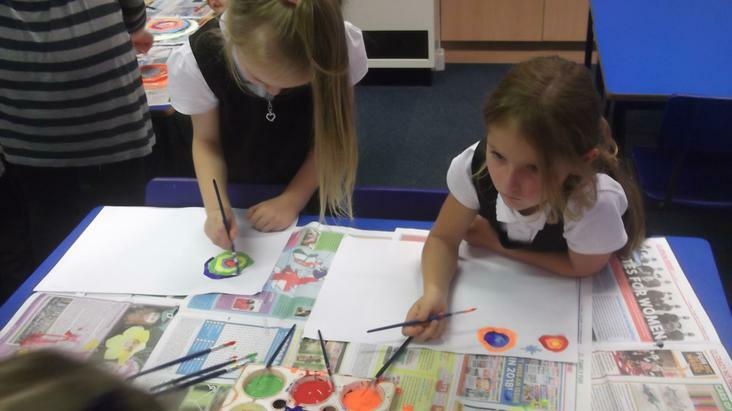 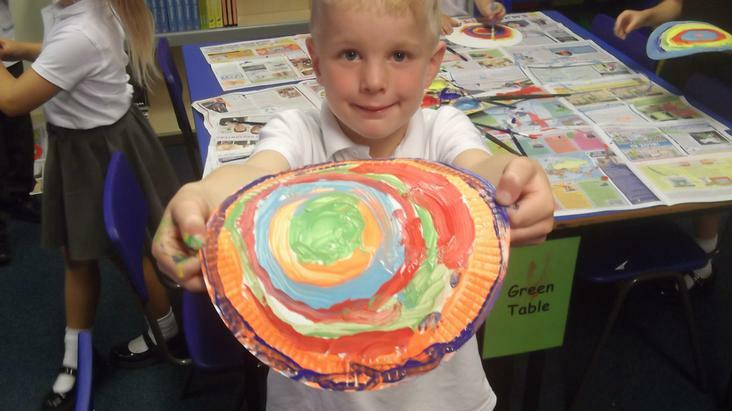 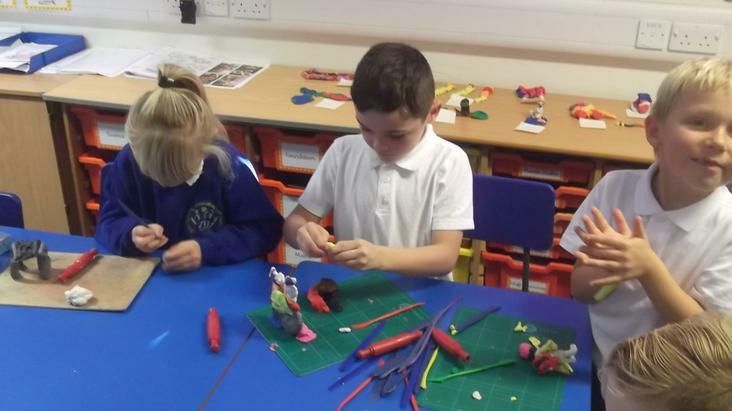 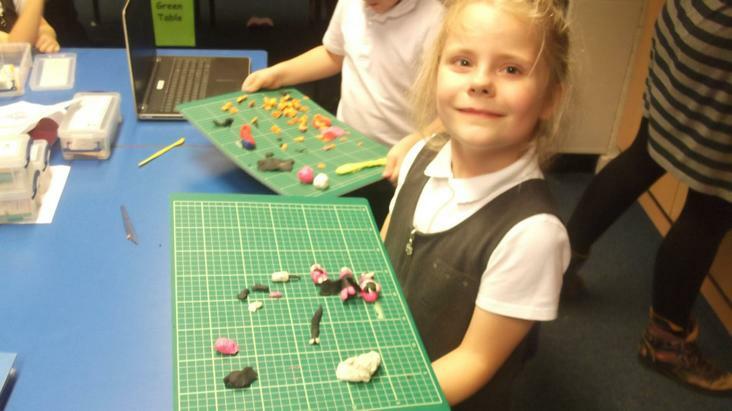 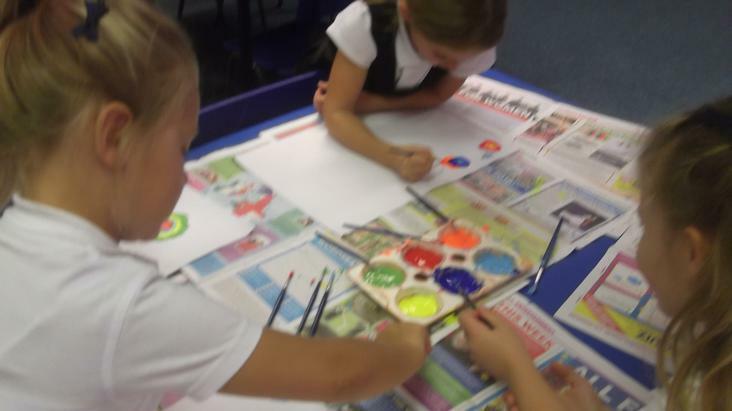 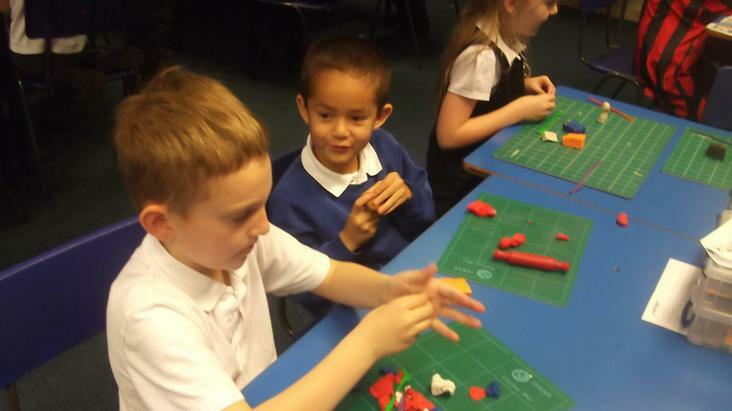 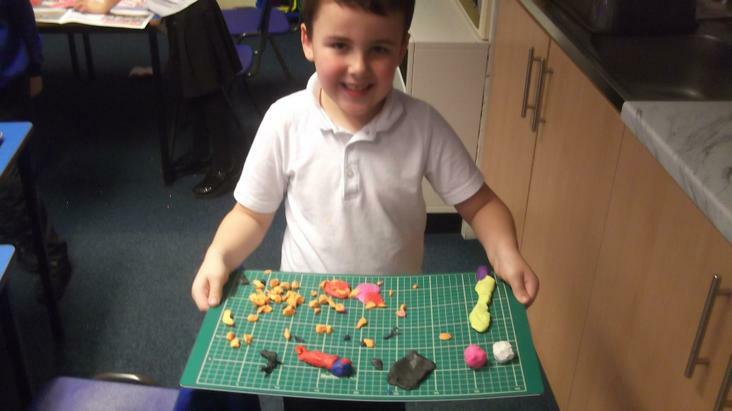 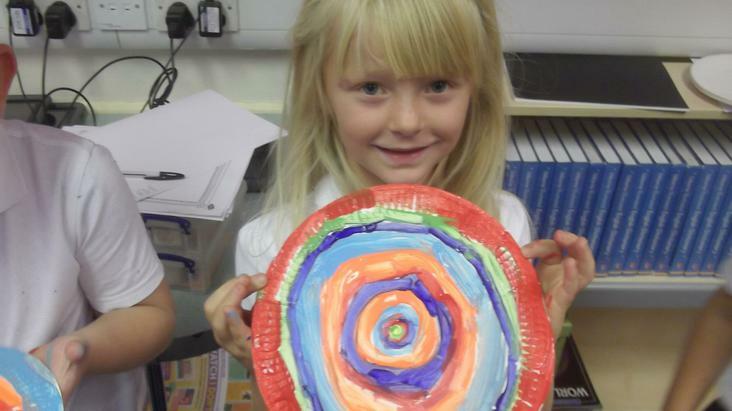 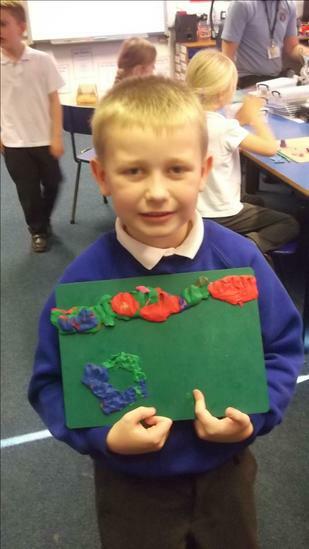 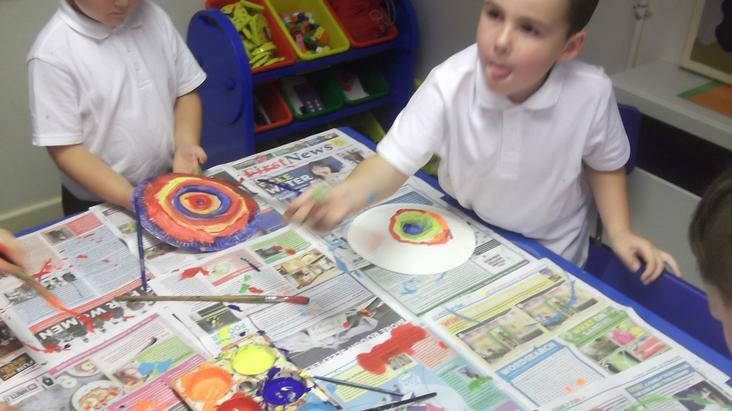 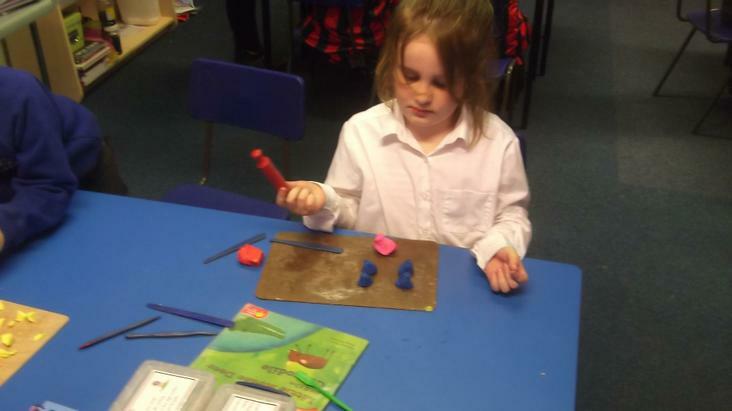 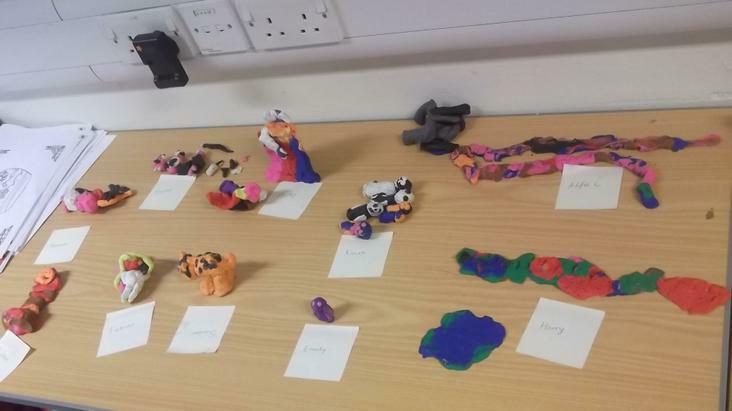 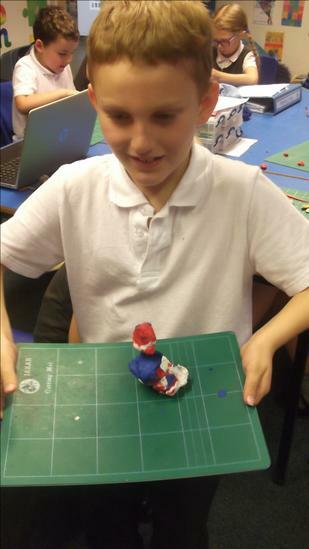 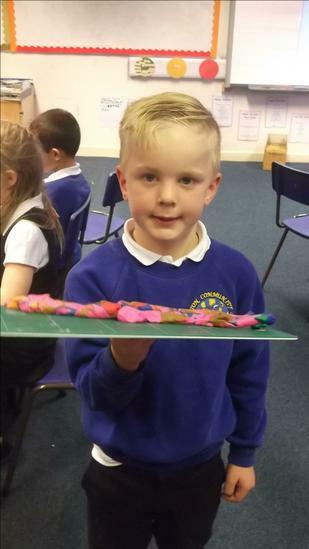 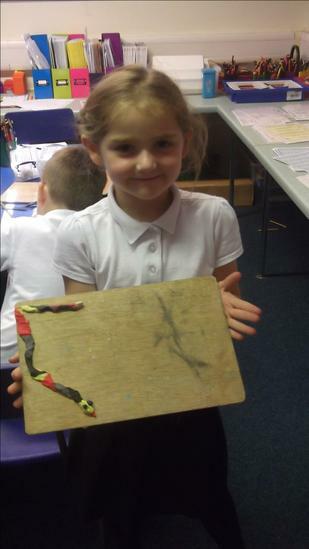 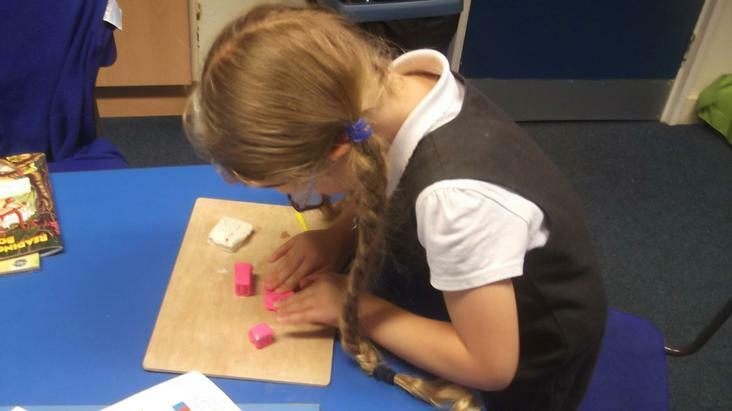 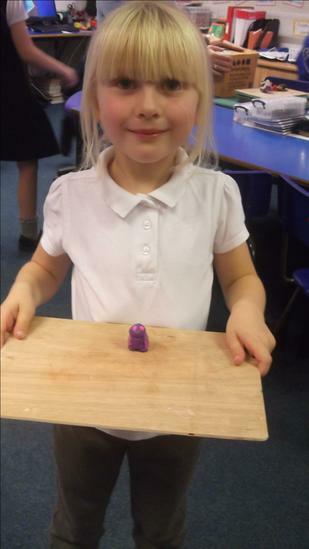 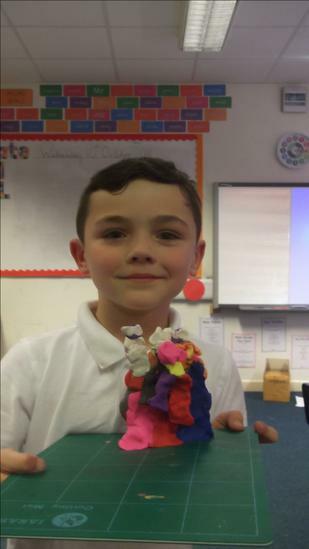 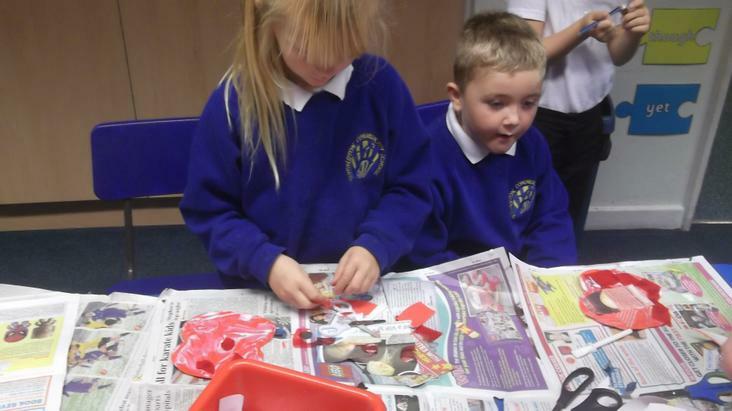 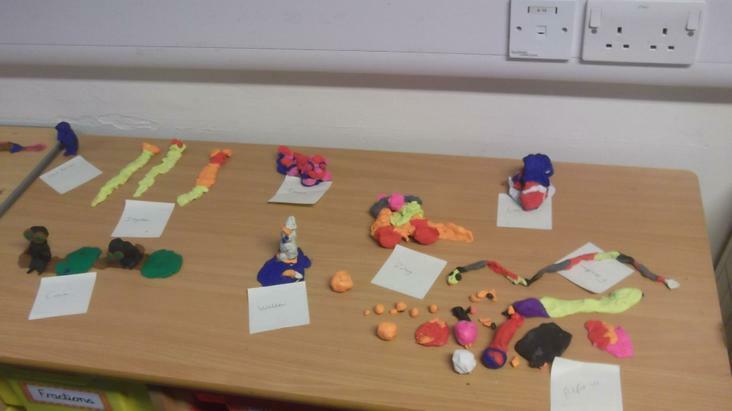 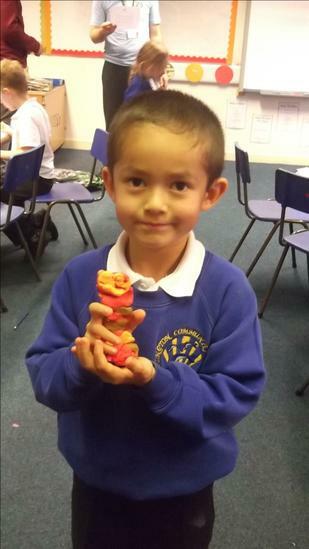 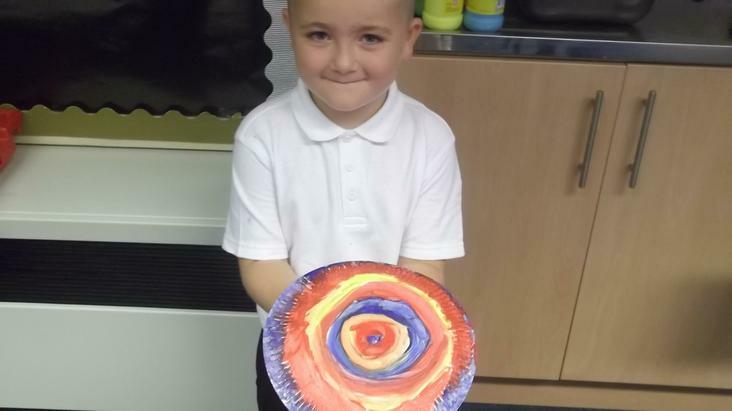 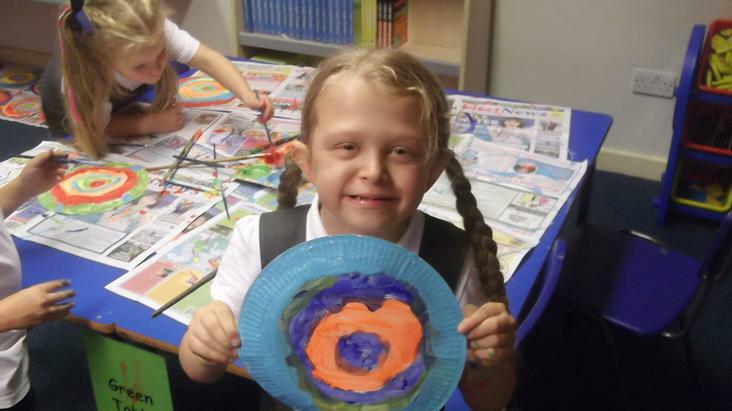 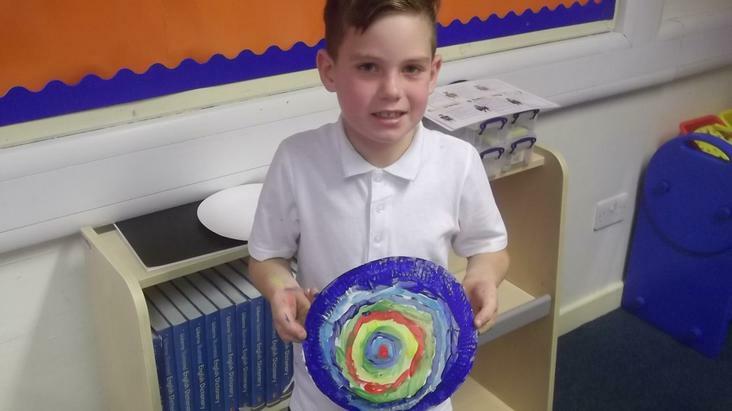 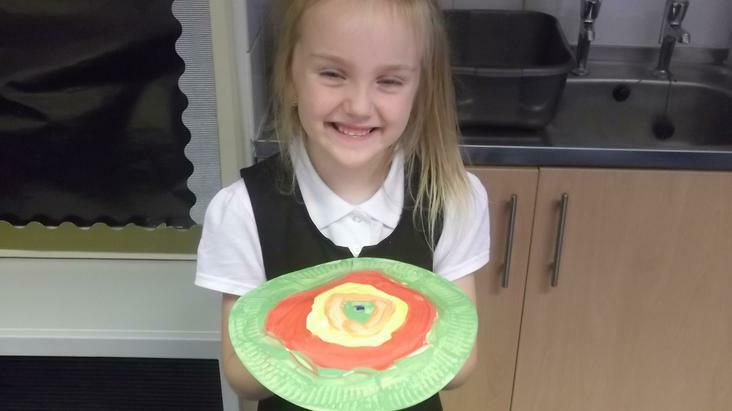 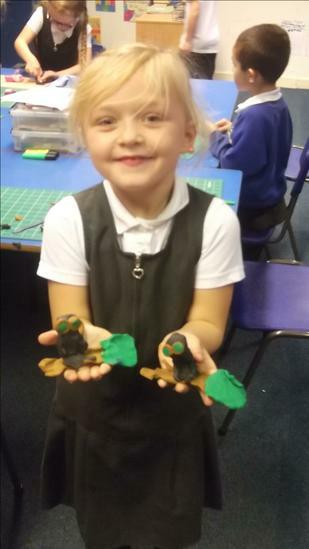 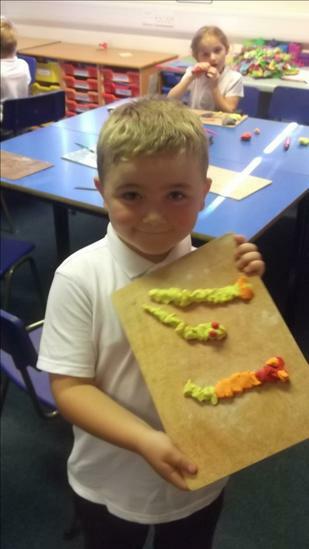 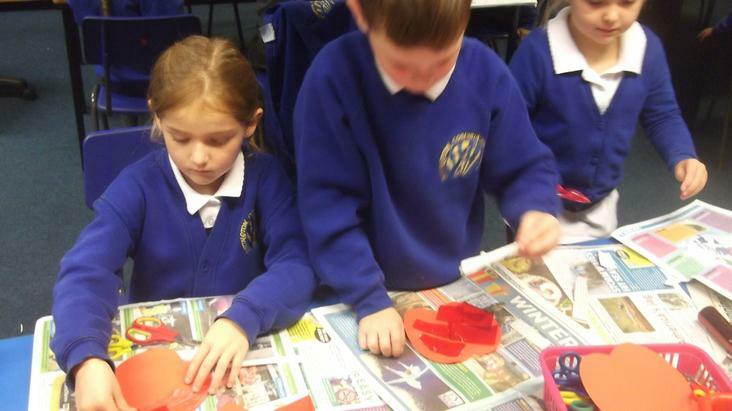 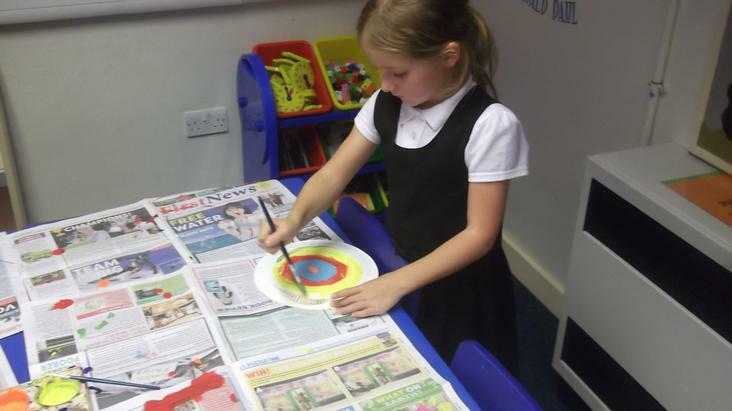 Then using different coloured modelling clay the children created their individual designs. 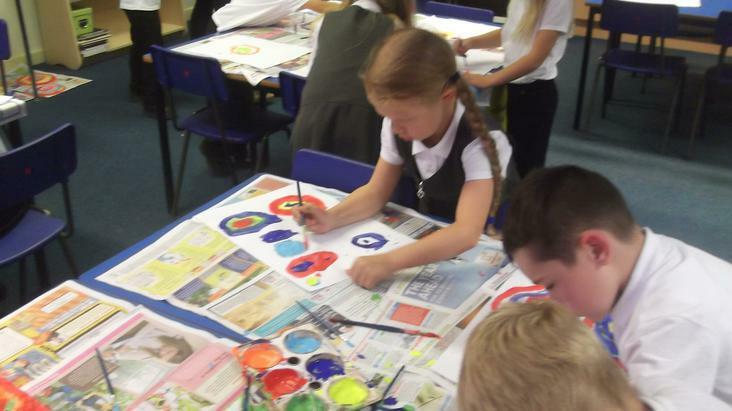 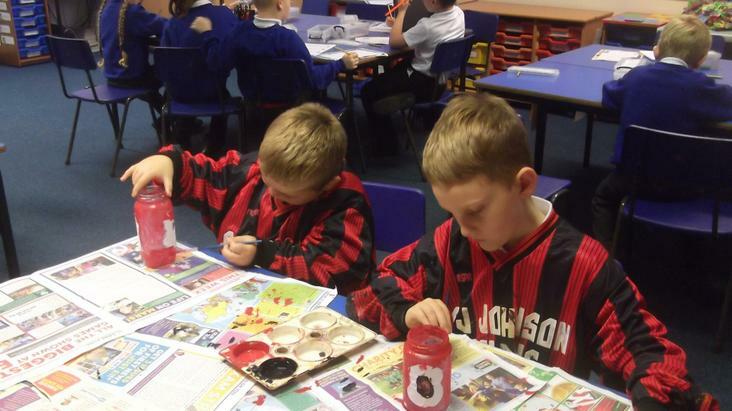 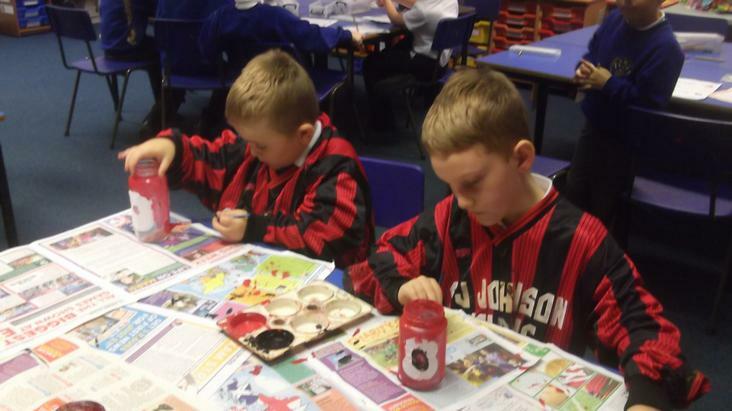 As part of our Art work this half term we are learning all about famous artists. 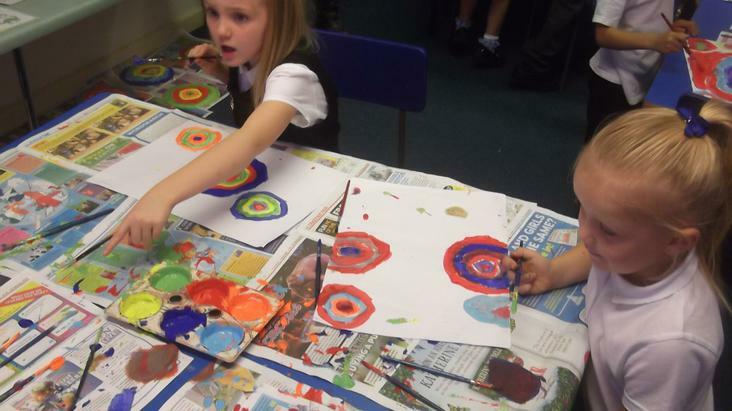 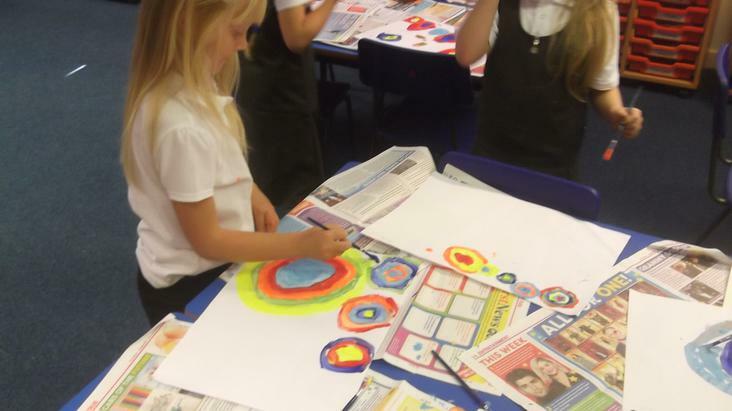 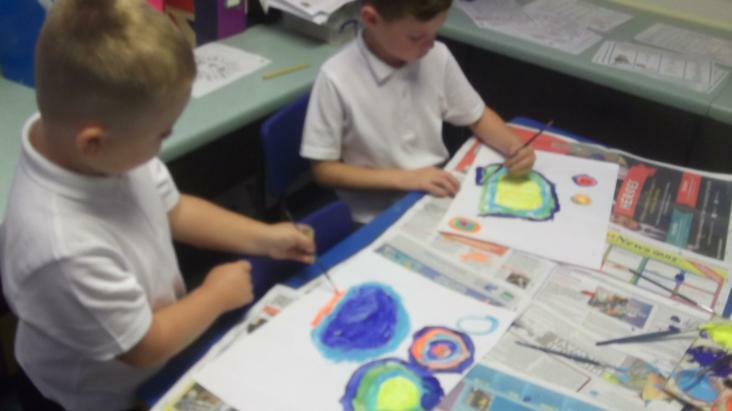 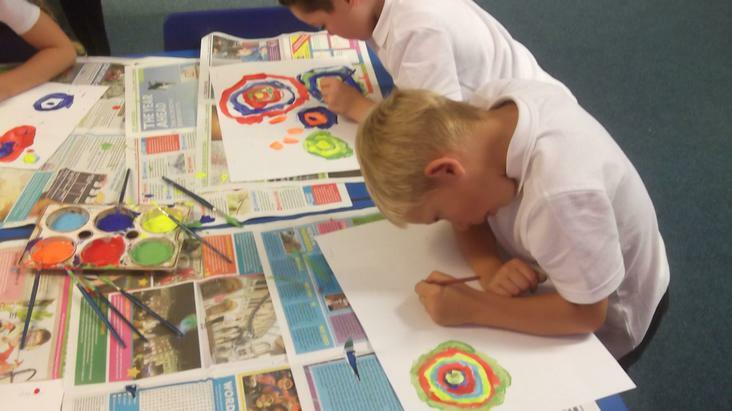 Today we were learning about the famous Russian painter Wassilly Kandinsky. 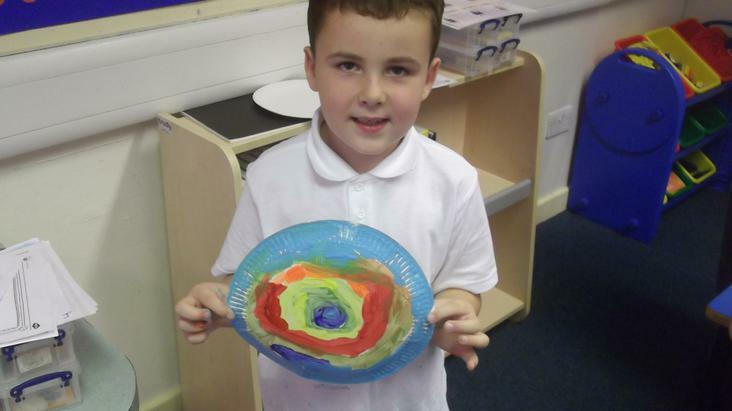 His most famous painting was of concentric circles. 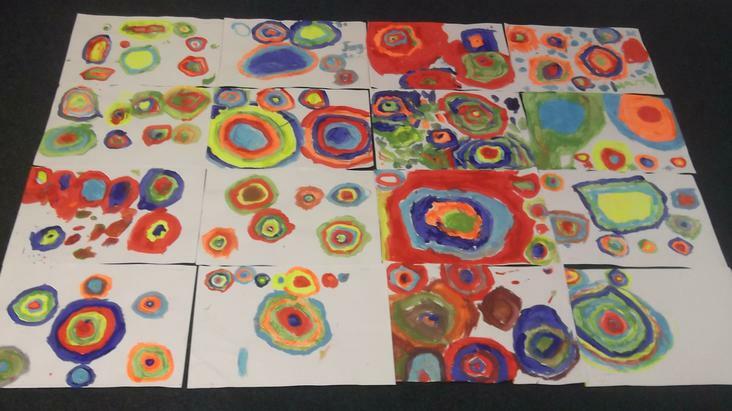 Therefore, we decided to create some of our own, all of which were extremely colourful and fabulous! 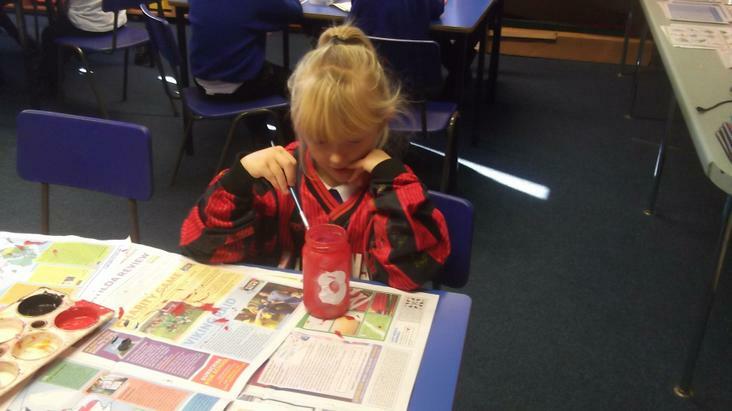 Year 2 children will be taking the national curriculum tests (commonly called SATs) in May 2019. 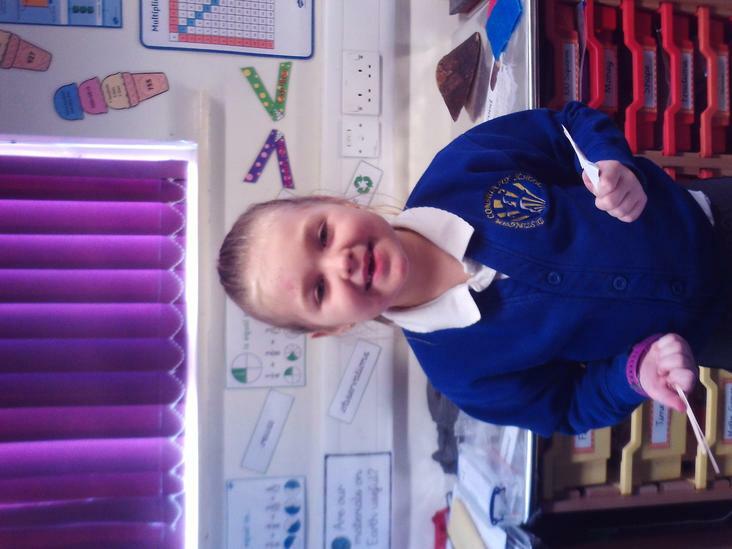 These tests can be done on any date in May. 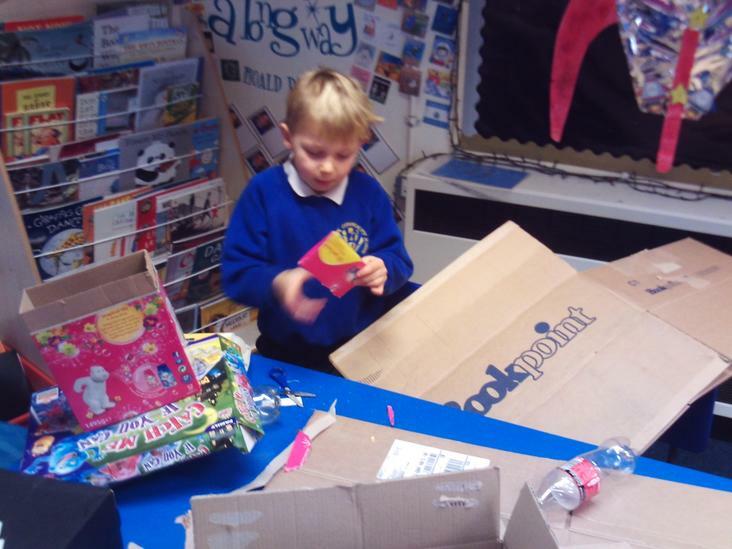 and make progress. 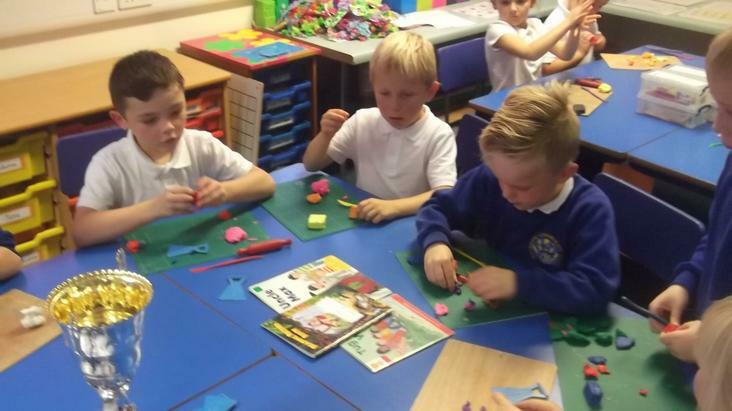 They are also an important tool to help teachers identify pupils who may need additional support, and make sure this is put in place as early as possible.